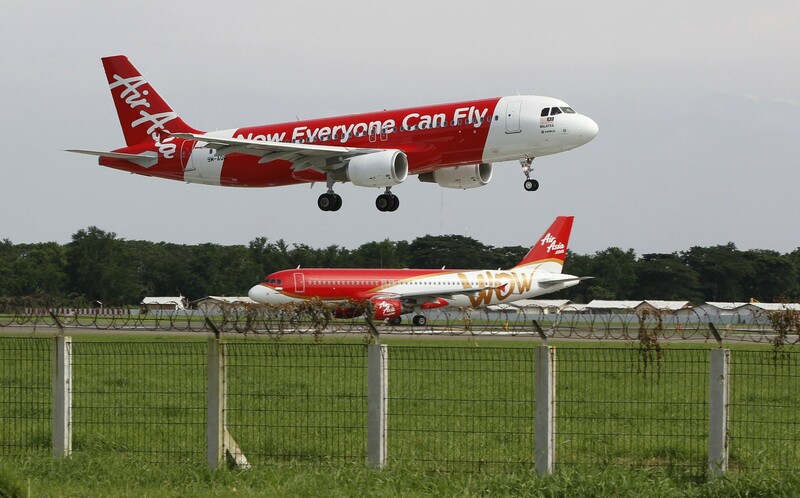 KUALA LUMPUR - If you weren't already nervous about flying, that may have changed in 2014, a year that stirred our deepest fears about modern jet travel despite shaping up as one of the safest in aviation history. 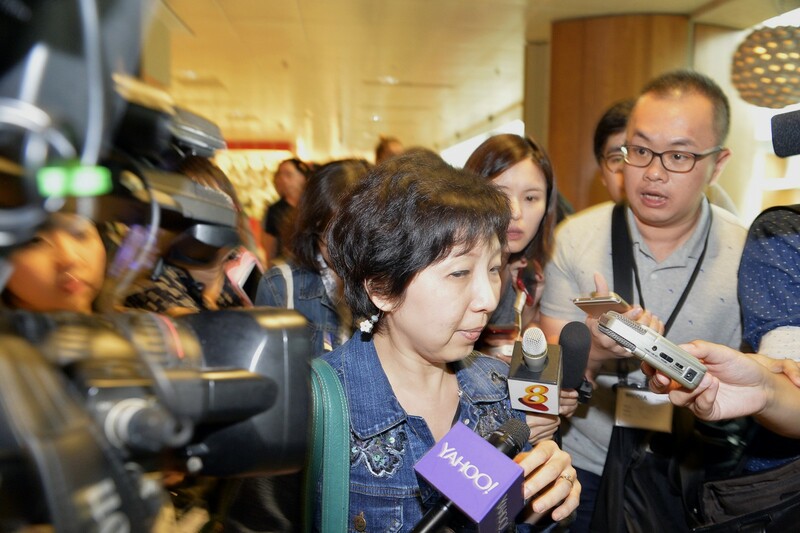 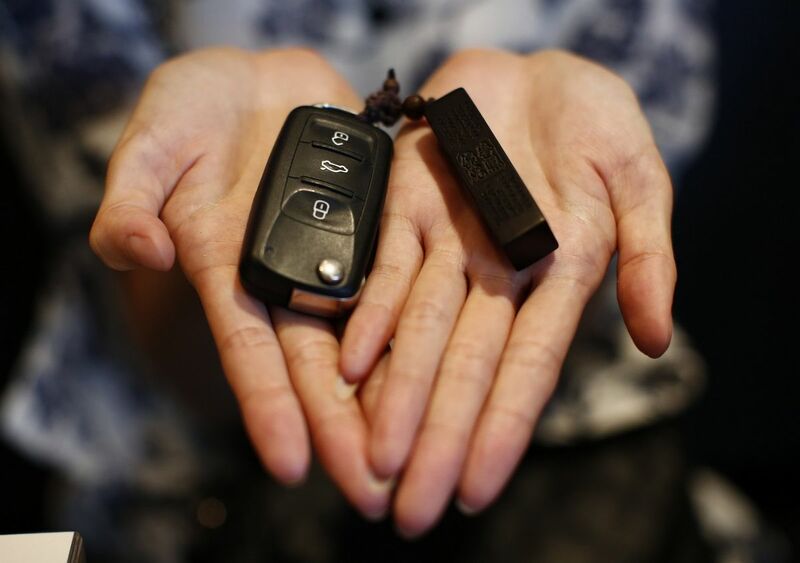 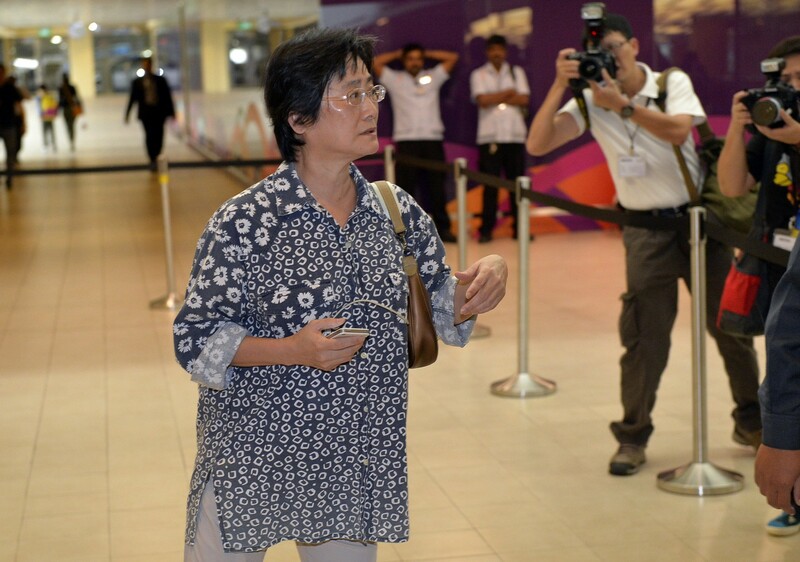 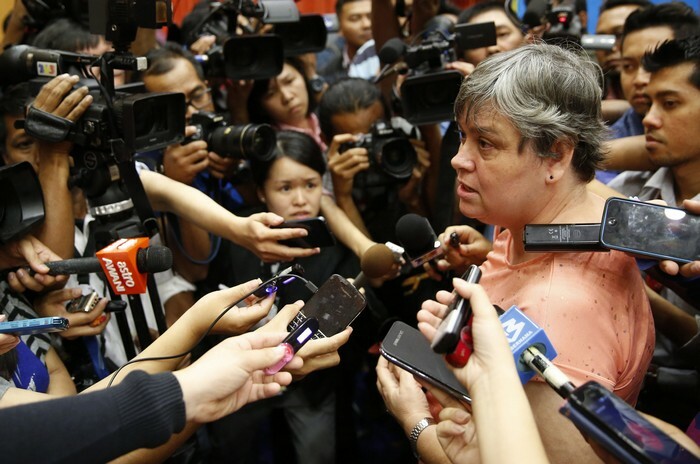 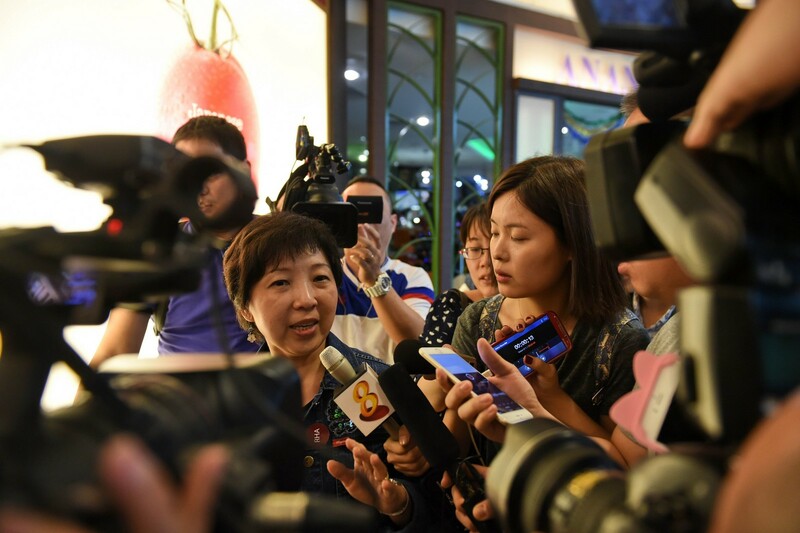 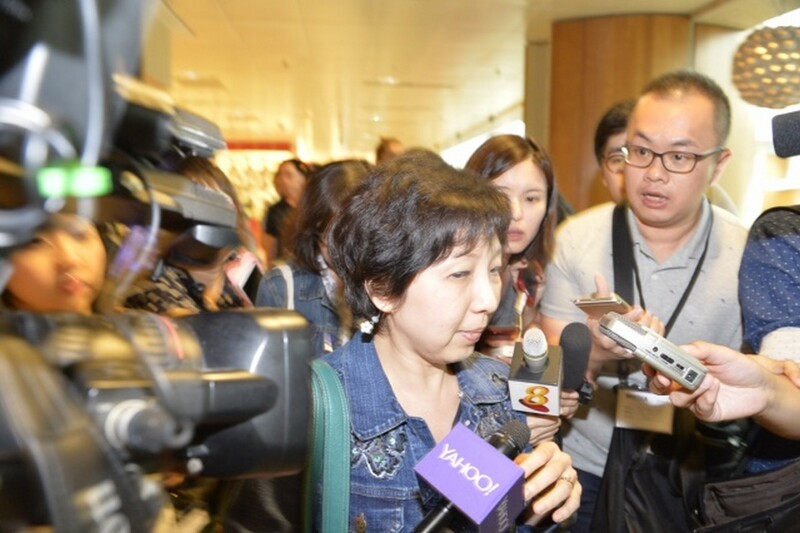 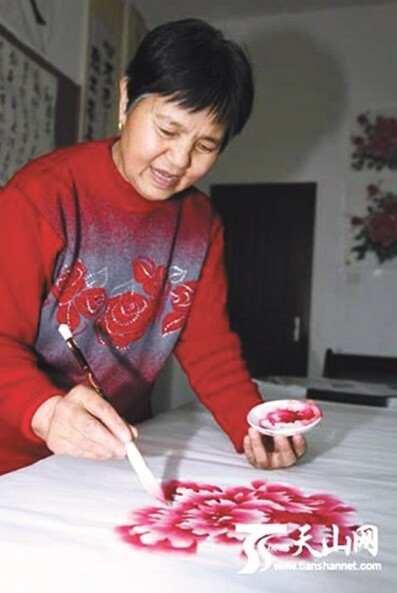 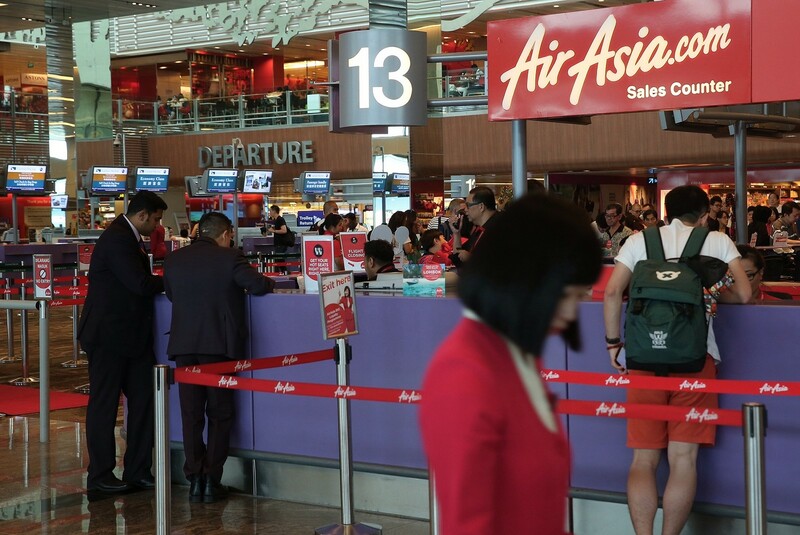 "I always disliked flying but now it's a real ordeal," said Marie Lefebvre, a Bangkok-based Canadian businesswoman who has curtailed her frequent business travel. 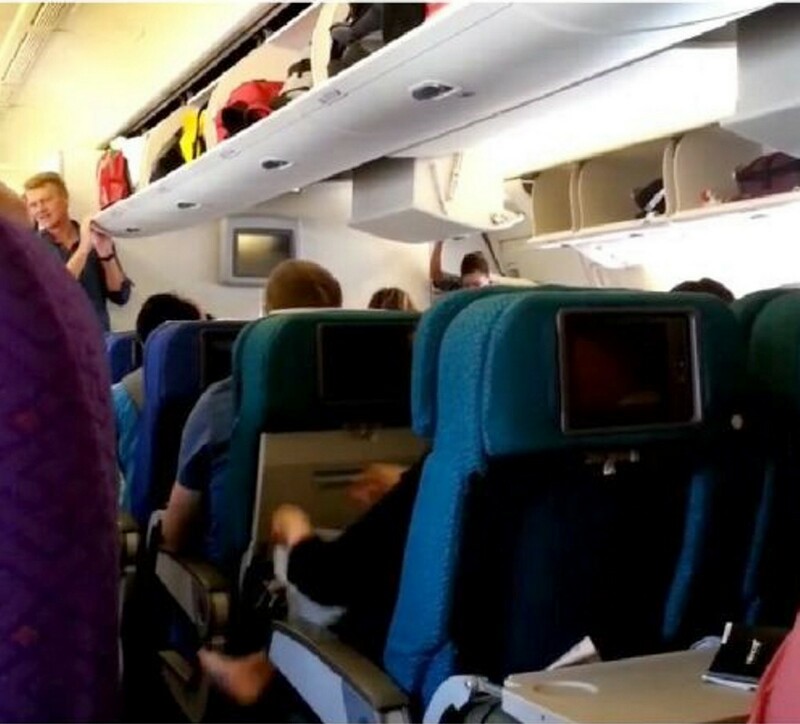 She now occasionally takes sedatives before take-off. 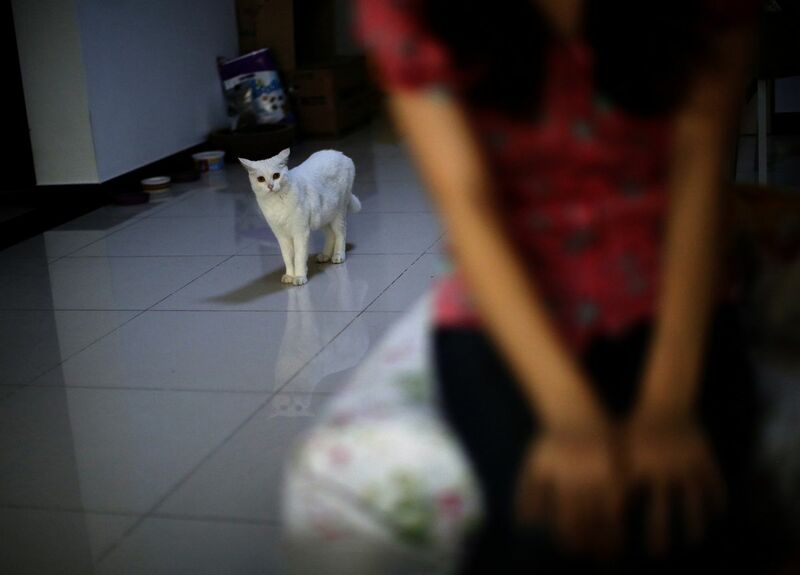 "It's that feeling of helplessness. 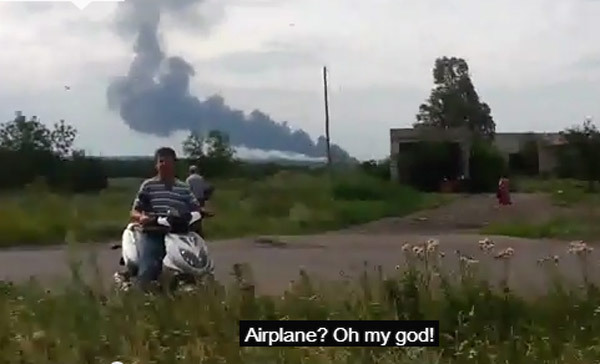 Some of the things this year were terrifying." 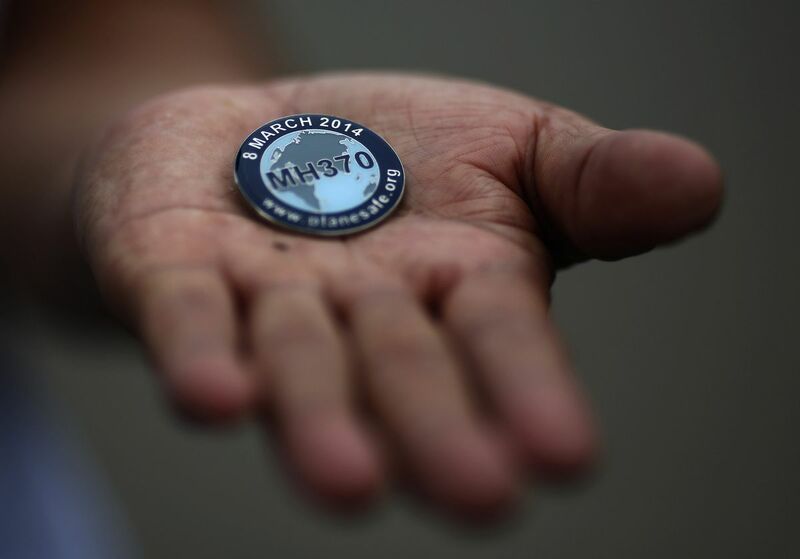 Exhibit A was MH370, which took its place alongside Amelia Earhart's vanishing as one of aviation's great mysteries, a buzzword for the terror of vanishing without a trace. 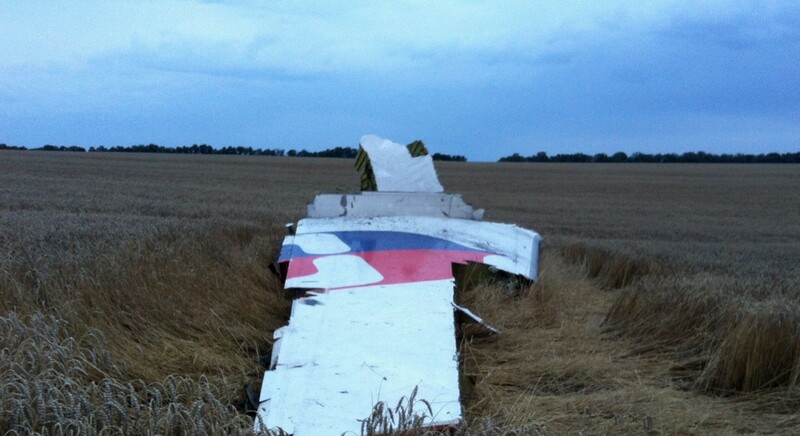 A piece of the wreckage from Malaysian Airlines flight MH17, pictured on a field near the village of Grabove, in the region of Donetsk, Ukraine. 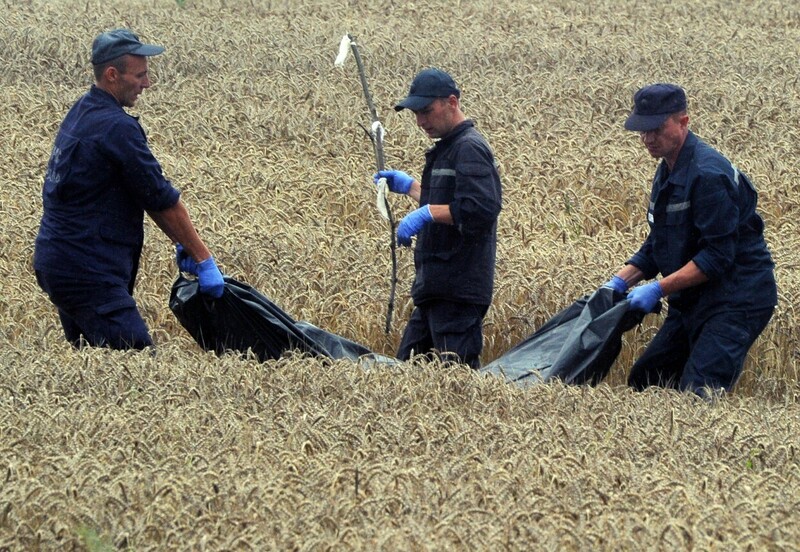 Rescue workers sifting through the debris at the crash site of MH17. 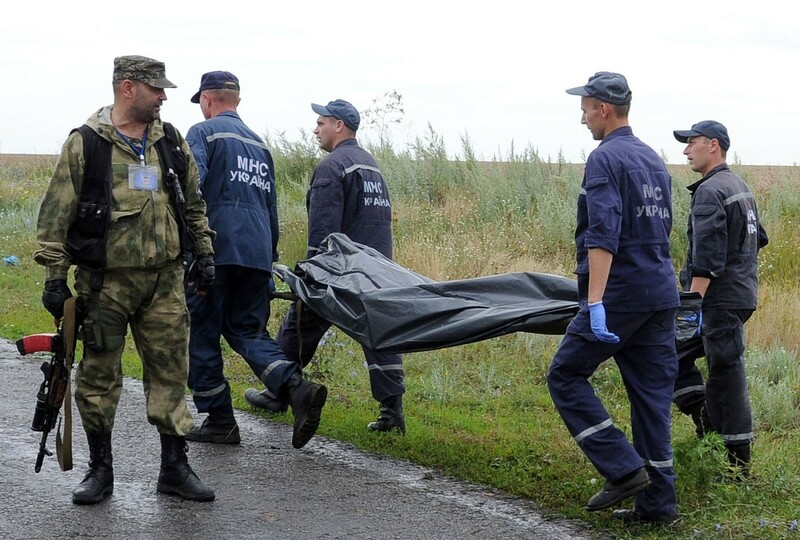 Rescue workers collecting the bodies of the victims of MH17. 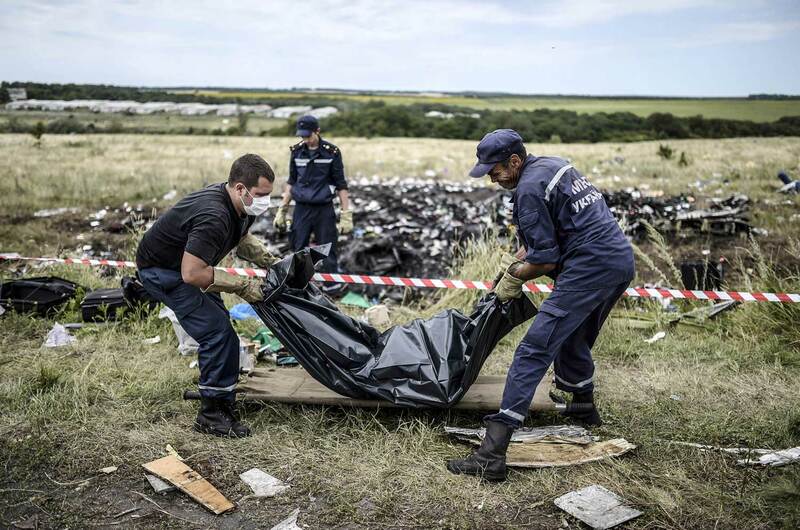 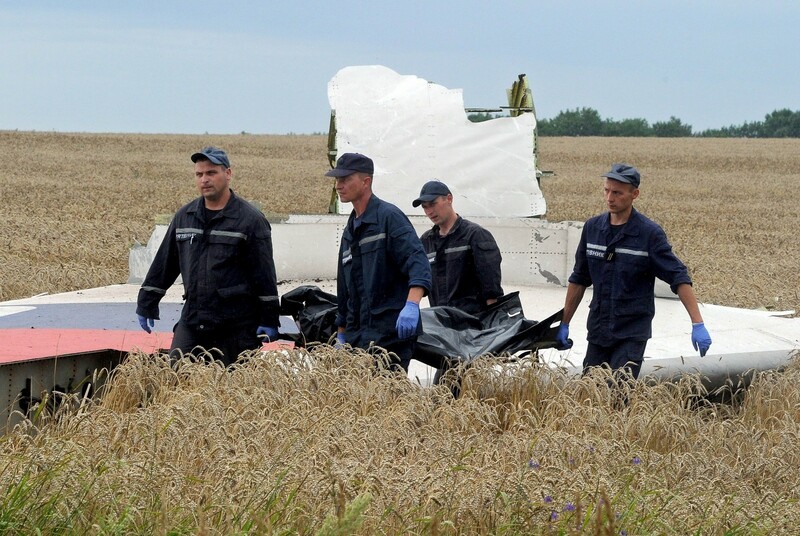 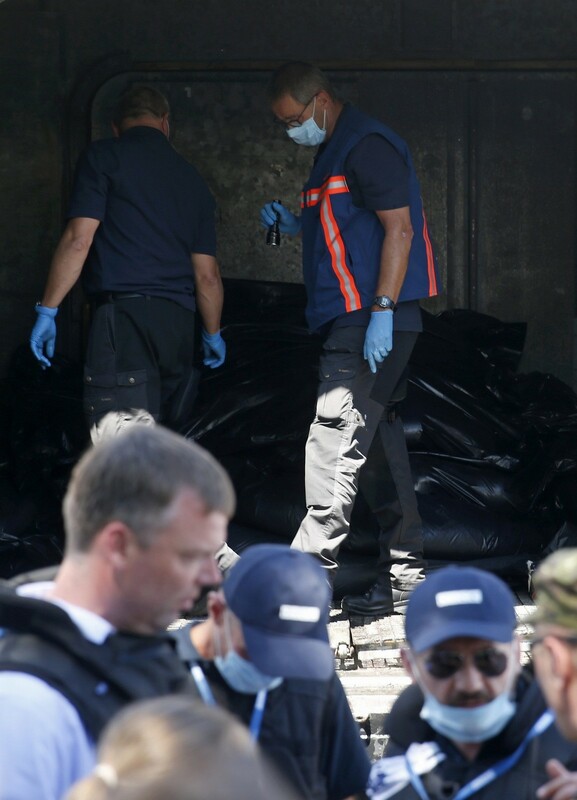 Monitors from OSCE and members of a forensic team inspect a refrigerator wagon containing the remains of victims from the downed Malaysia Airlines Flight MH17. 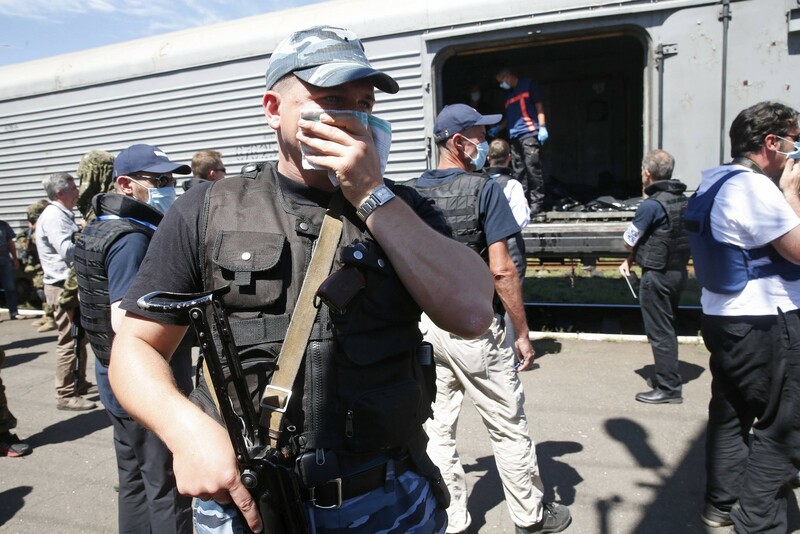 As each of the train wagons carrying a total of more than 200 corpses was opened and examined by two men wearing masks and headlights, an overpowering stench emanated. 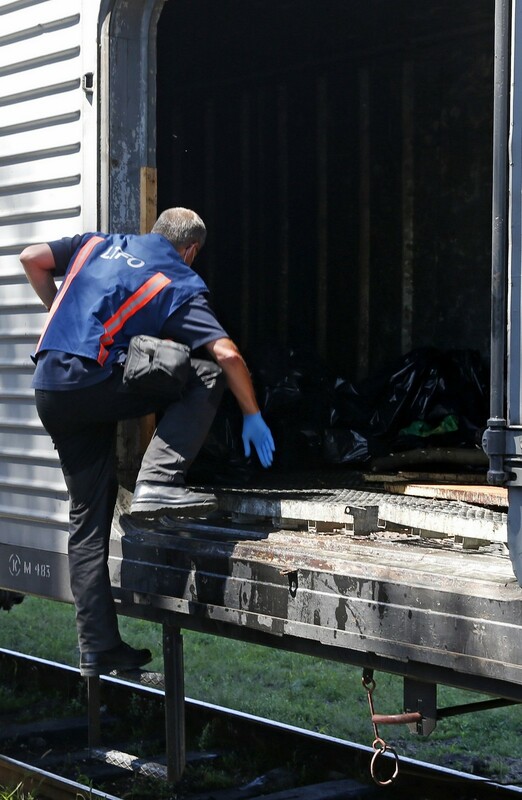 The head of a Dutch forensic team said that the train should set off later on Monday to a place where "we can do our work". 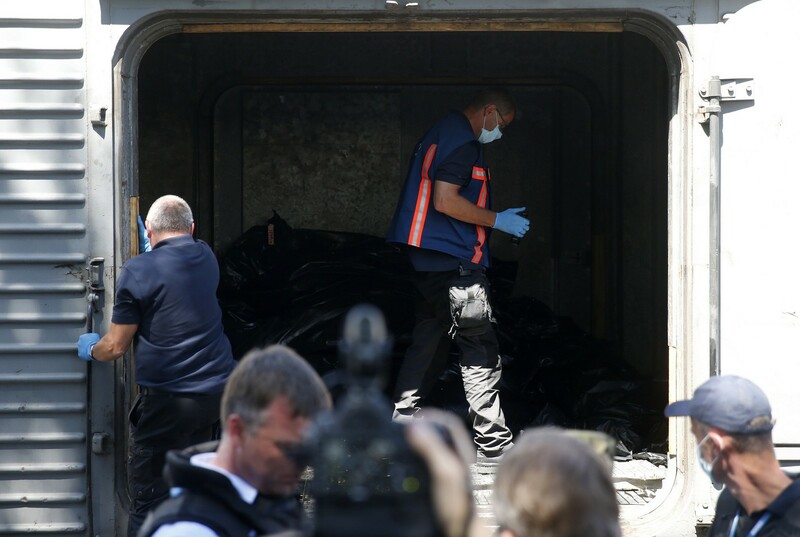 "I think the storage of the bodies is (of) good quality," Peter Van Vliet, the forensic expert leading the Dutch team, said after examining the corpses. 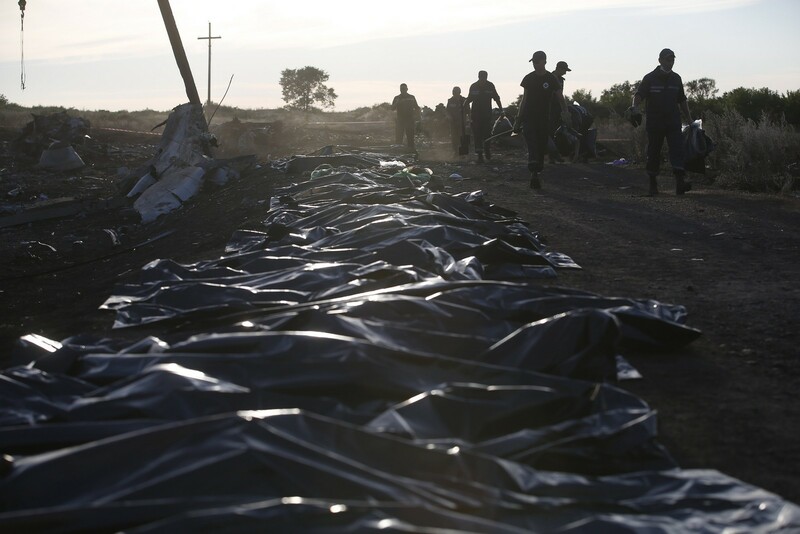 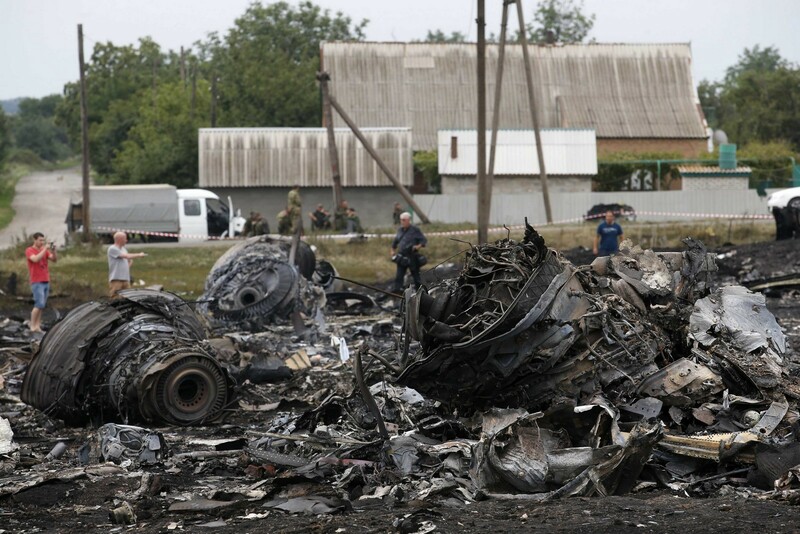 Dutch Prime Minister Mark Rutte said the priority is to move the bodies to Kiev-controlled territory. 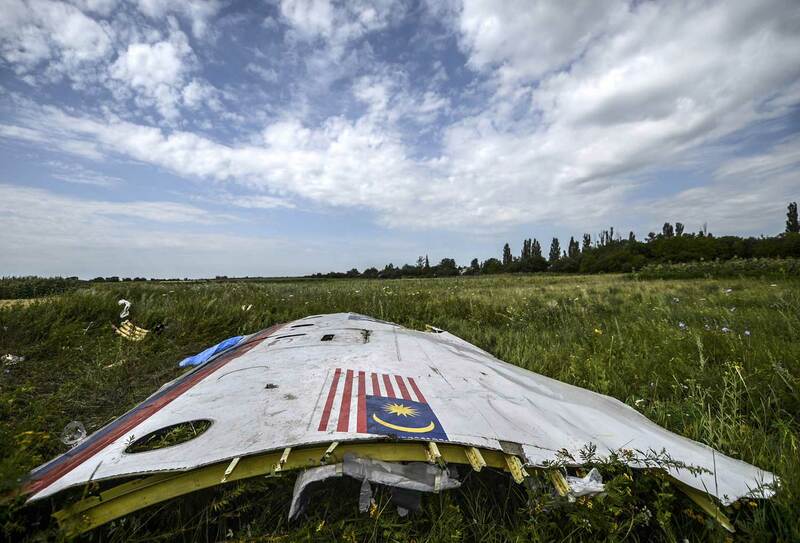 A crane moves wreckage at the crash site of Malaysia Airlines Flight MH17 near the village of Hrabove. 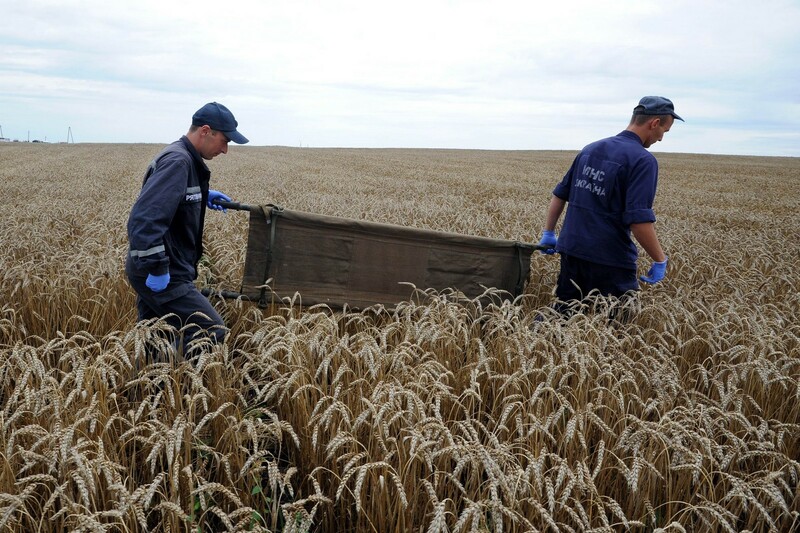 Members of the Ukrainian Emergency Ministry carry a body near the wreckage at the crash site. 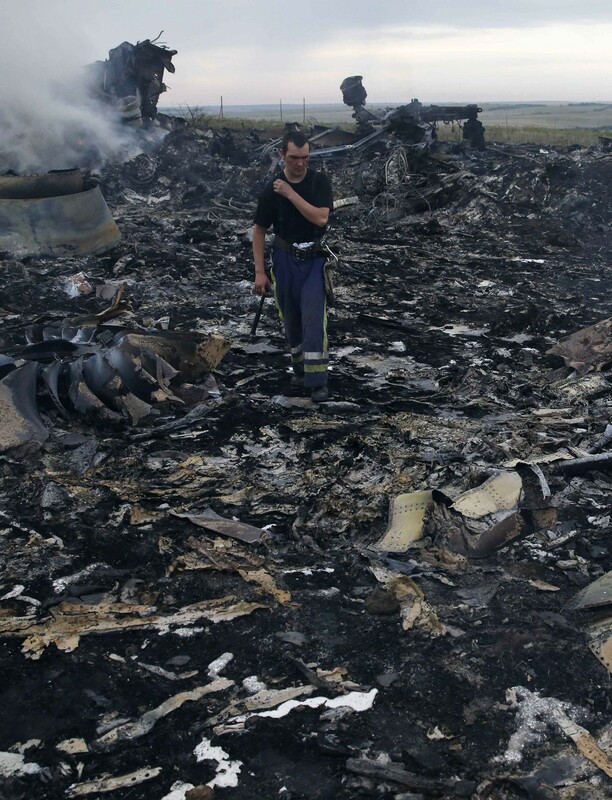 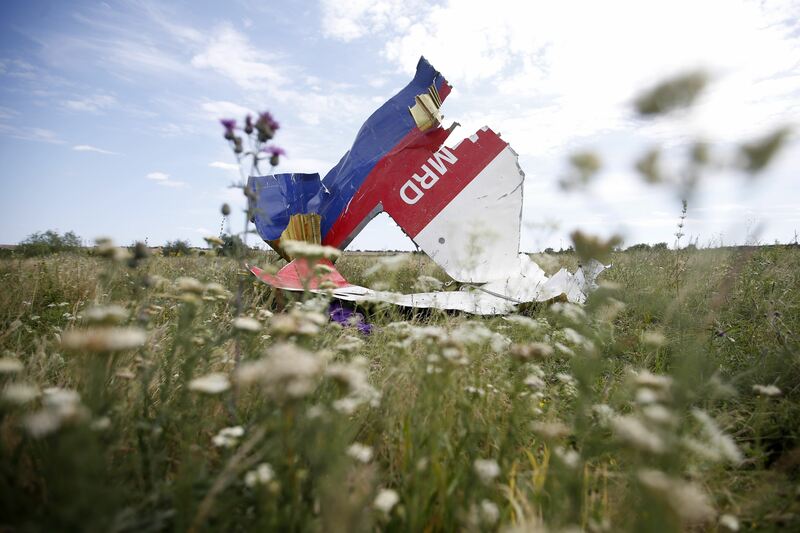 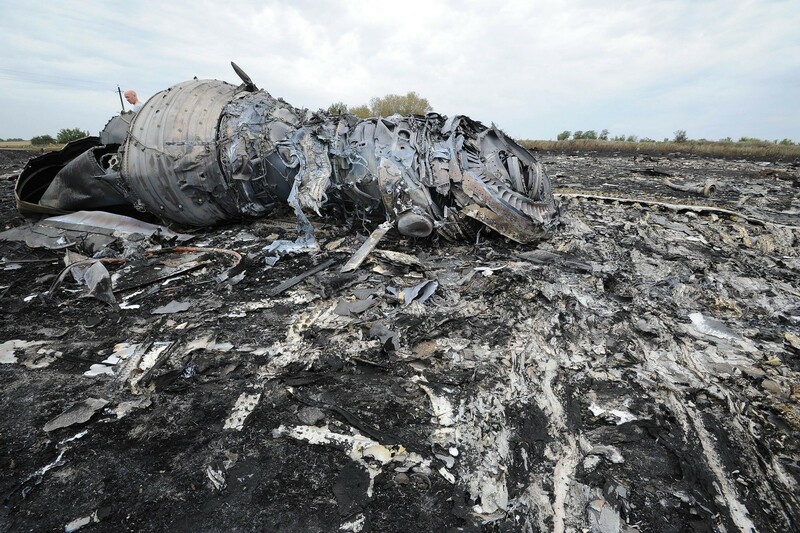 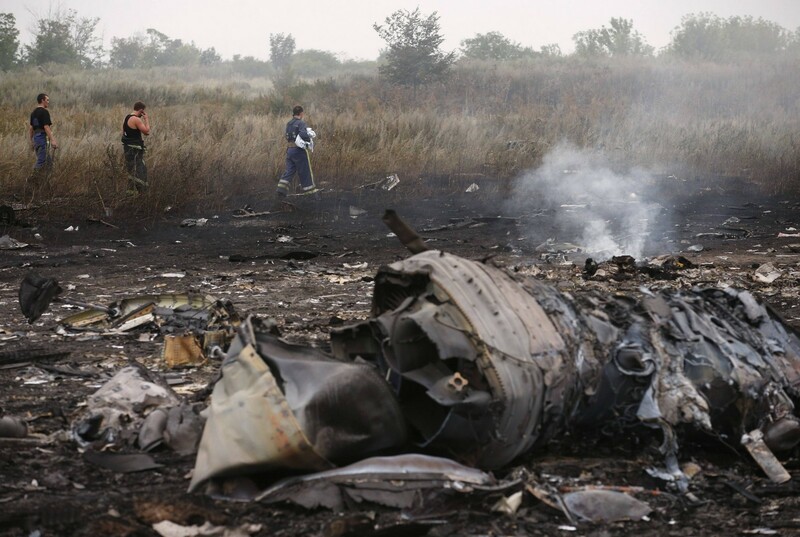 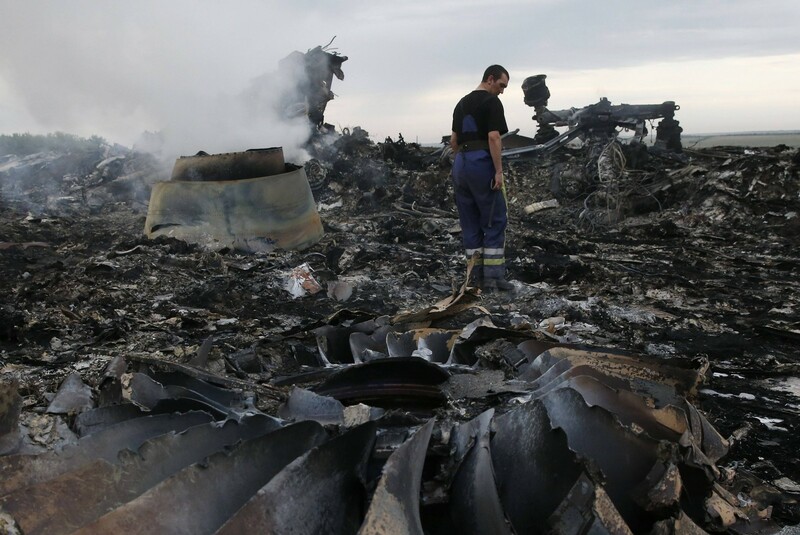 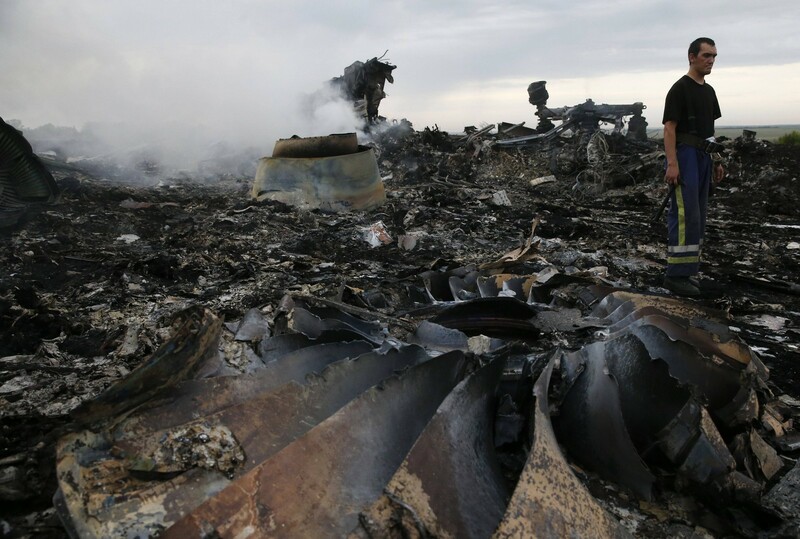 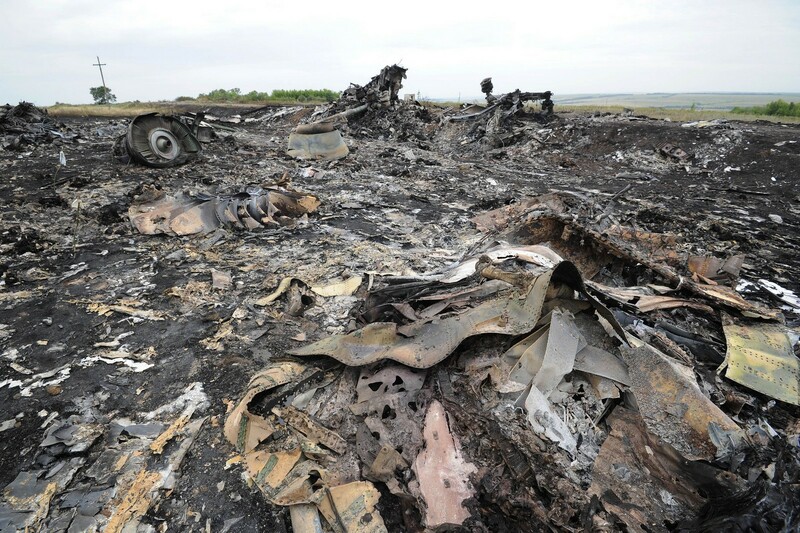 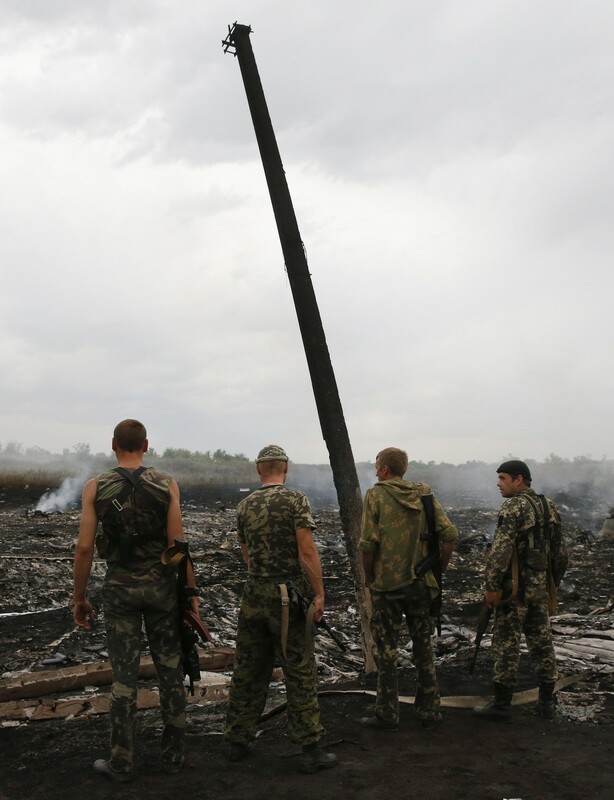 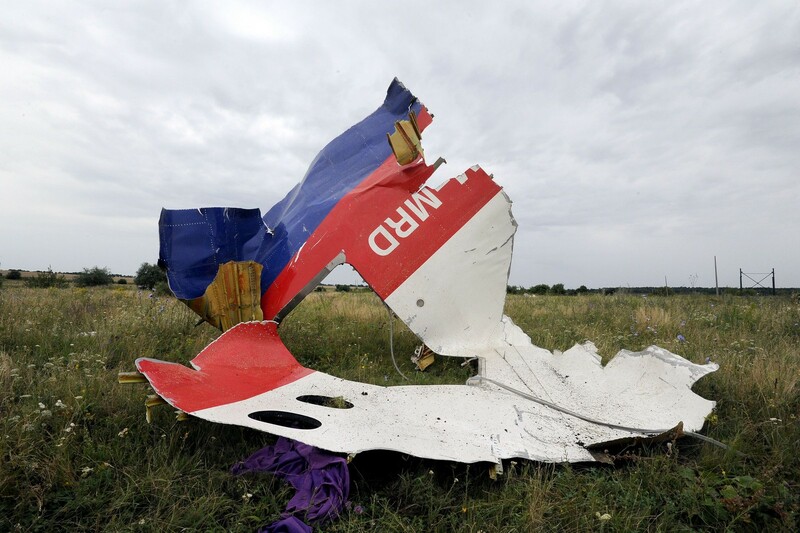 Russia called on Ukraine's authorities and rebels to give international experts access to the crash site of MH17. 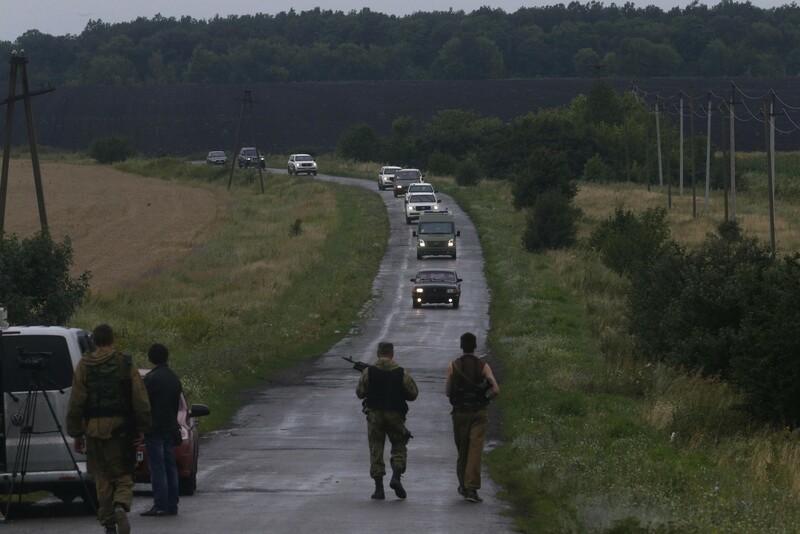 The site is near the settlement of Grabovo in the Donetsk region. 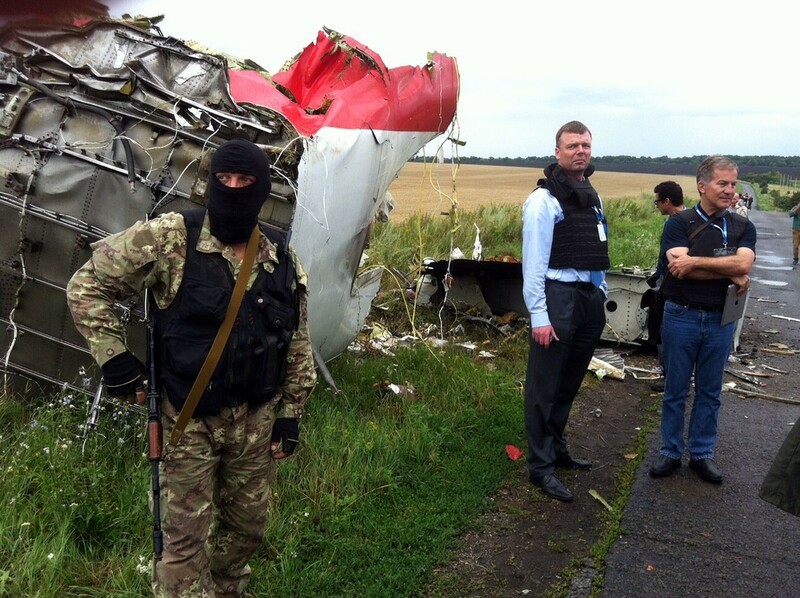 Aleksander Borodai, prime minister of the self-styled Donetsk People's Republic, said rebels had not touched the site where the plane crashed. 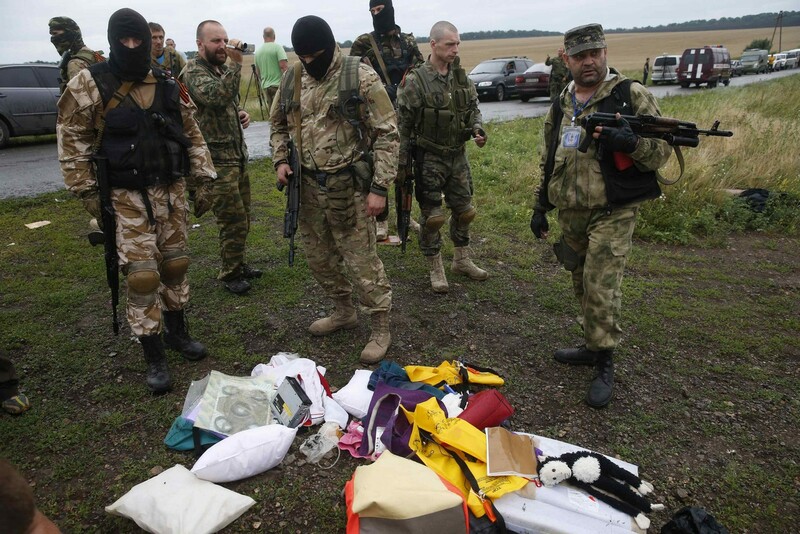 But there have been reports of looting. 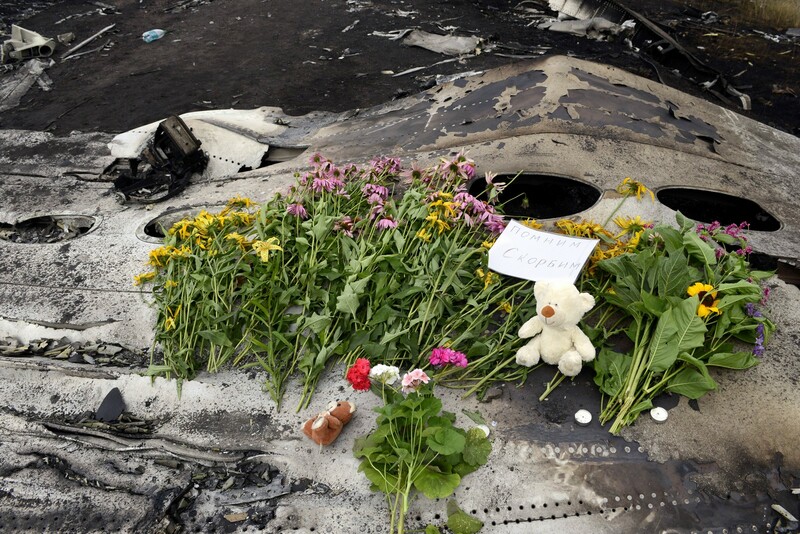 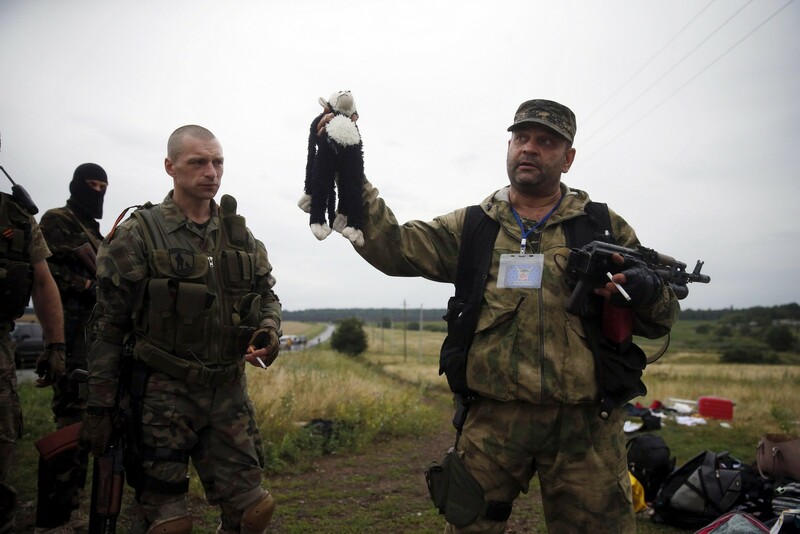 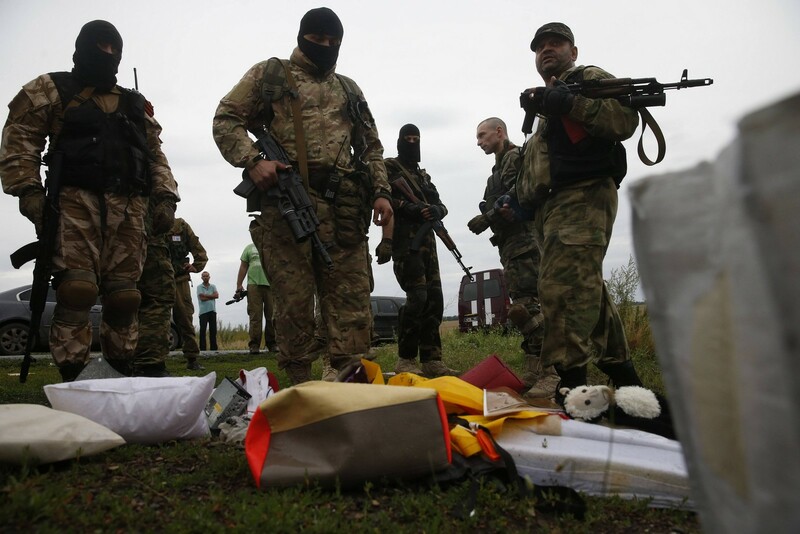 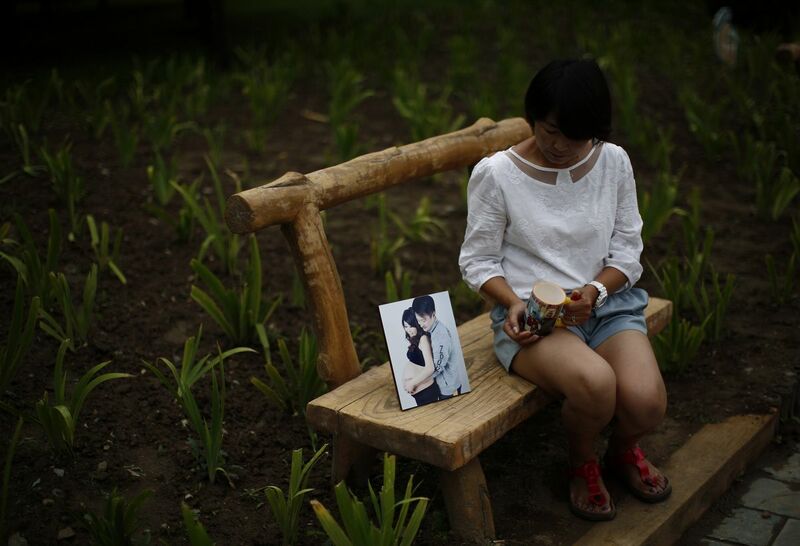 A pro-Russian separatist holds a stuffed toy found at the crash site of Malaysia Airlines flight MH17. 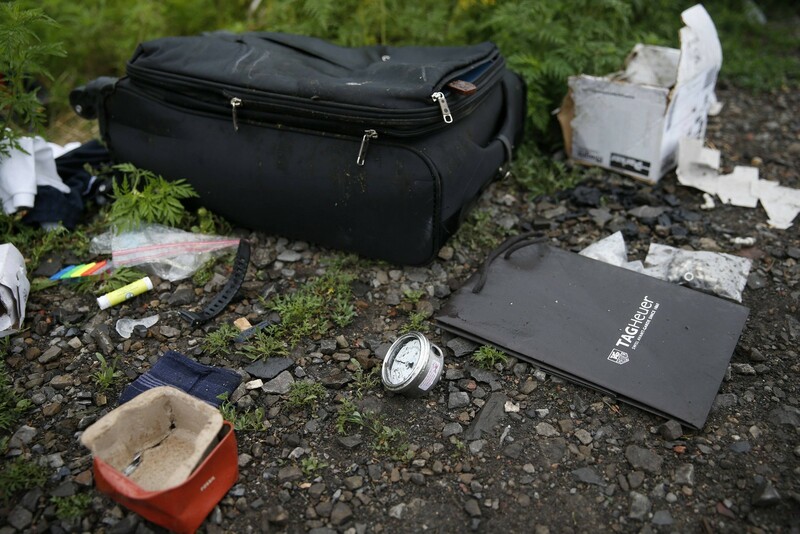 According to witnesses, many pieces of luggage that were pulled from the charred crime scene had already been opened and rifled through. 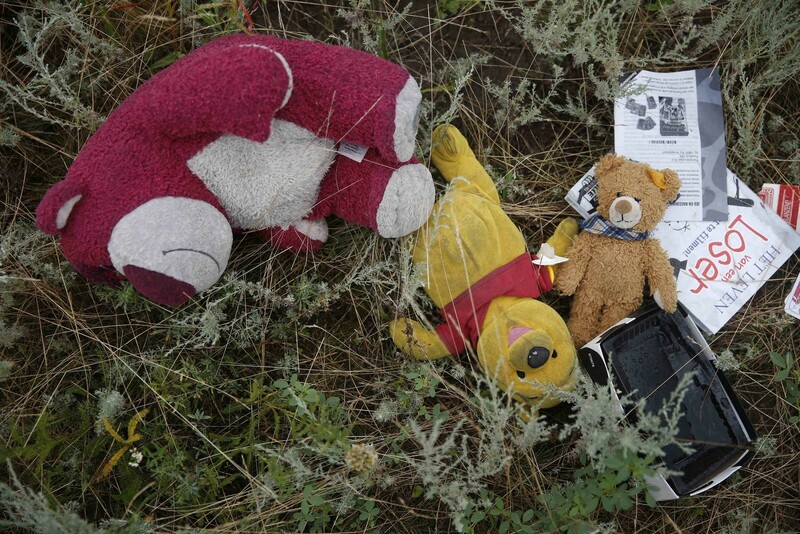 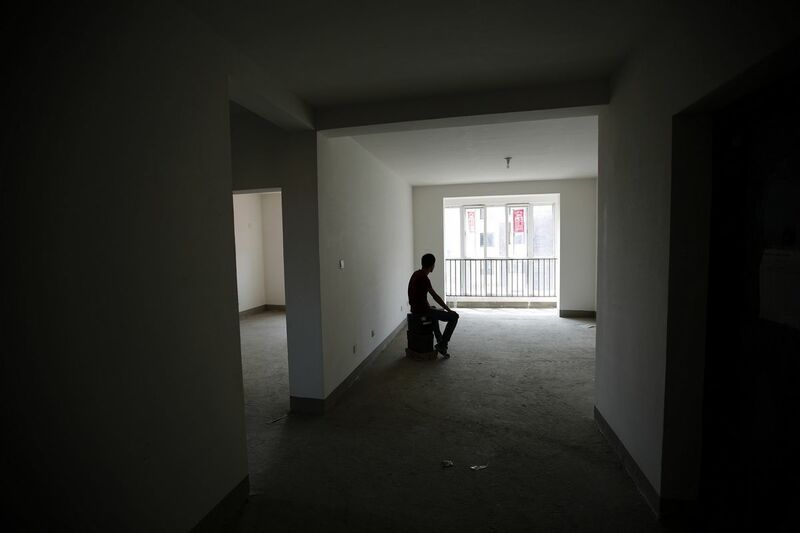 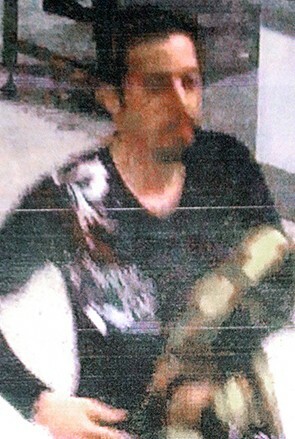 The lack of security in the area likely encouraged the "heartless" ransacking, reported USA Today. 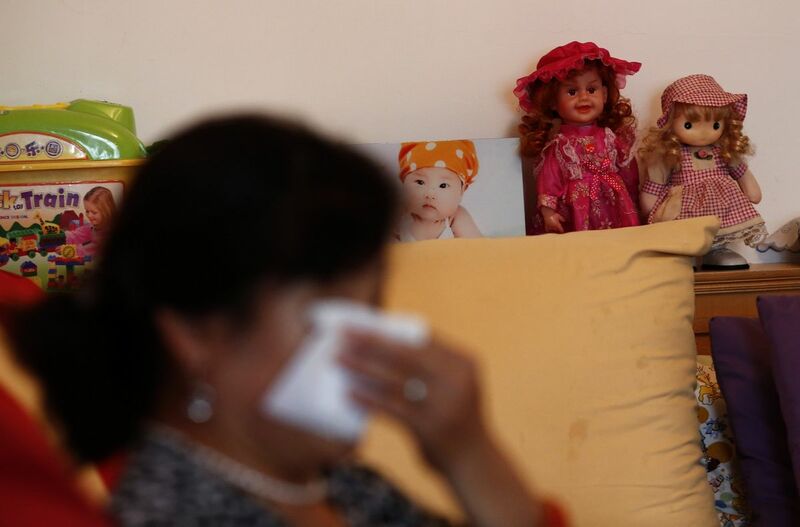 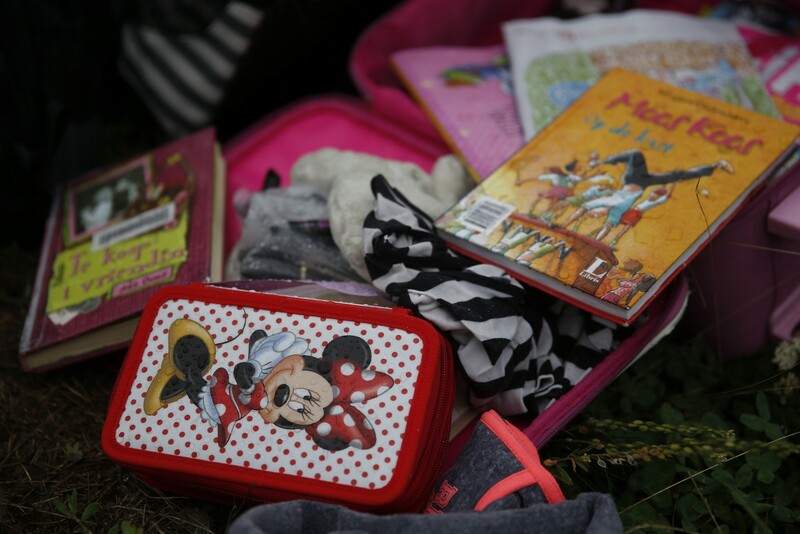 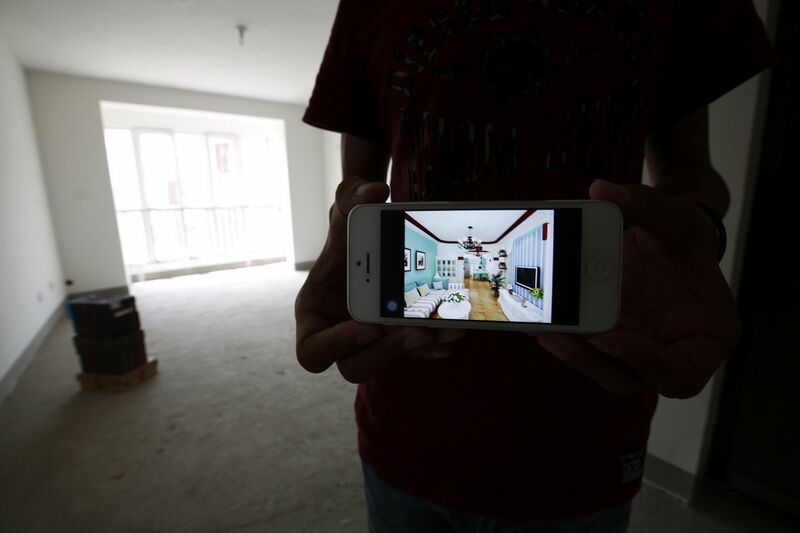 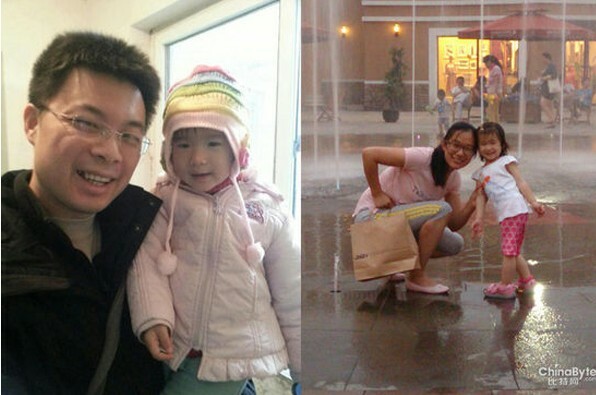 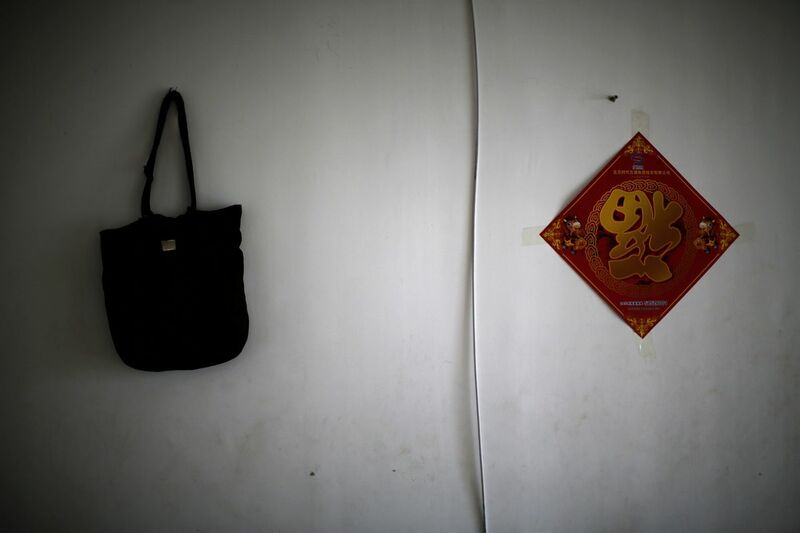 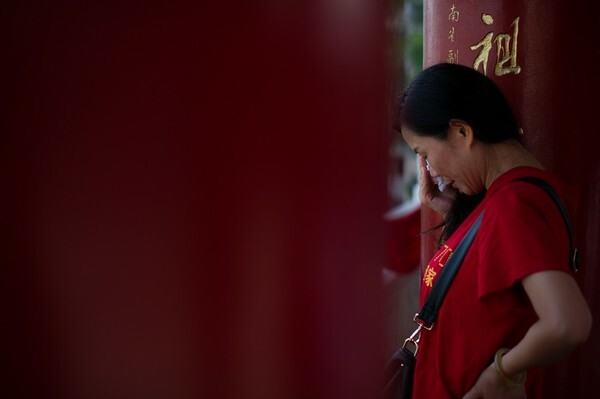 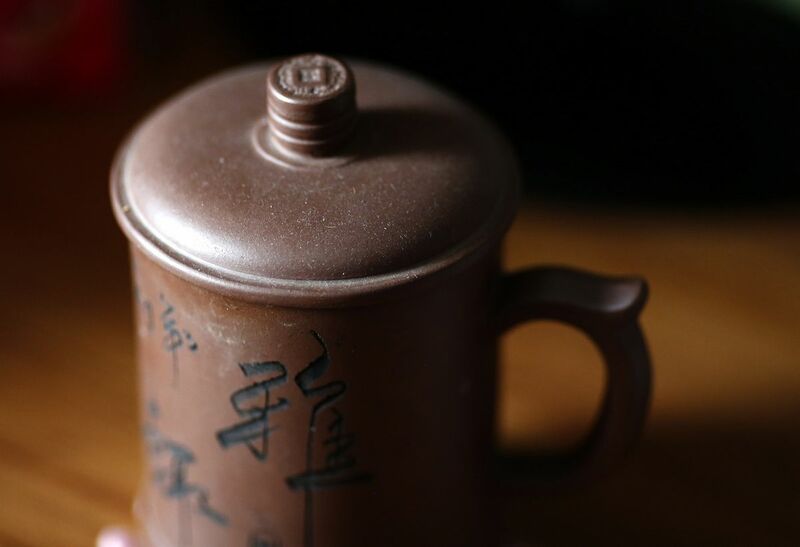 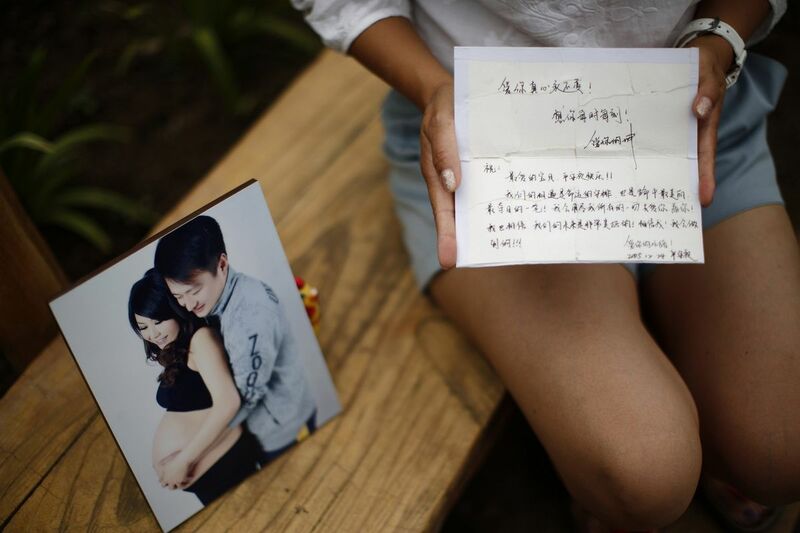 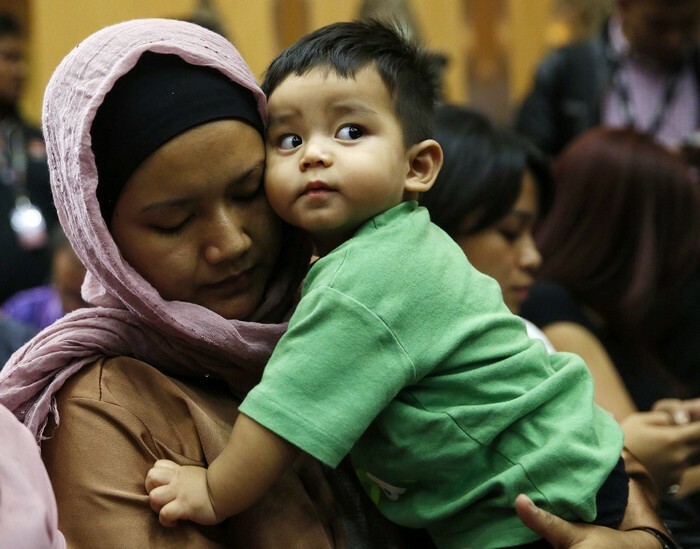 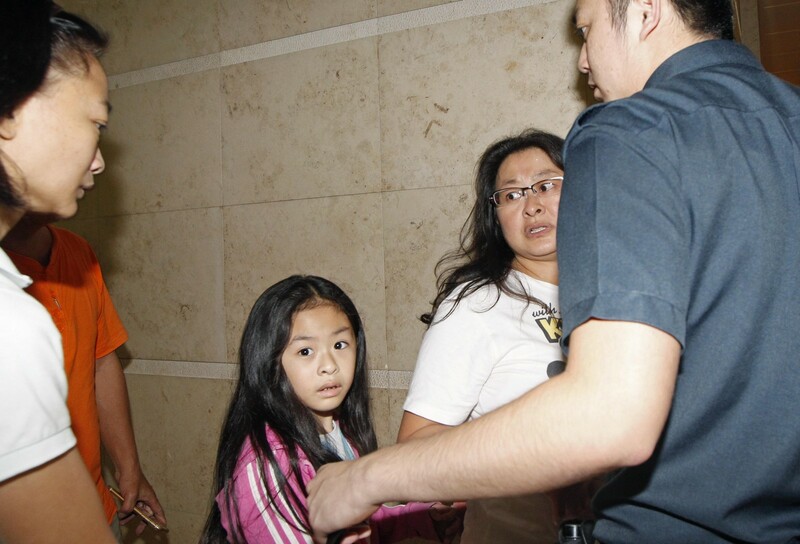 Among the items left behind were a Minnie Mouse lunchbox, a Winnie the Pooh stuffed animal, family photographs and passports that were still intact. 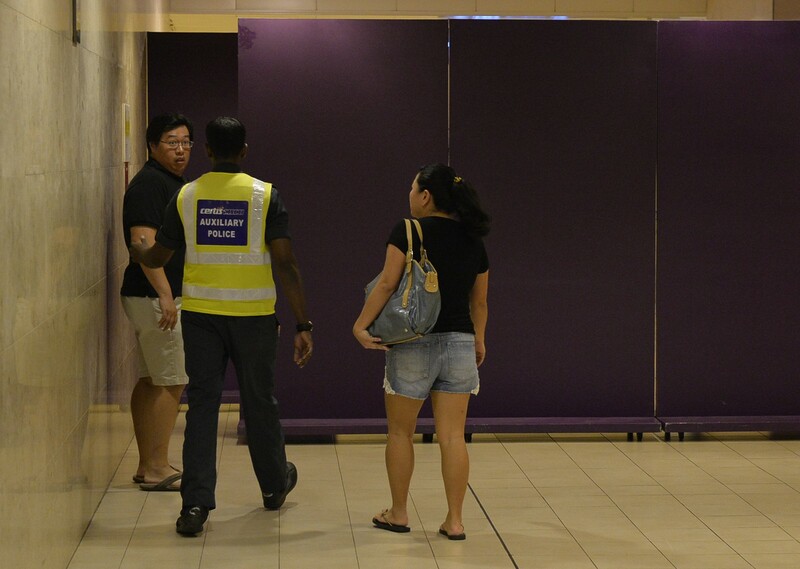 The scene has not been cordoned off and unidentified men were allowed to walk into the area. 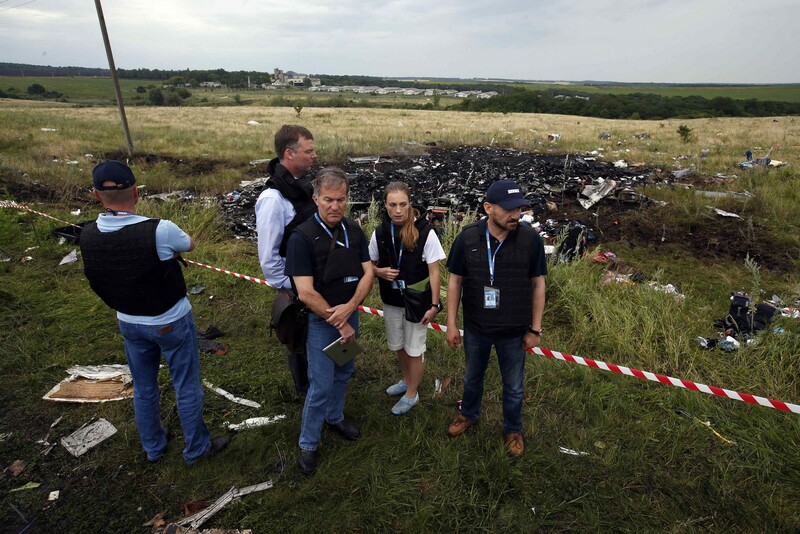 Alexander Hug (2nd L), Deputy Chief Monitor of the Organization for Cooperation and Security in Europe's (OSCE) Special Monitoring Mission to Ukraine, visits the site of the crash. 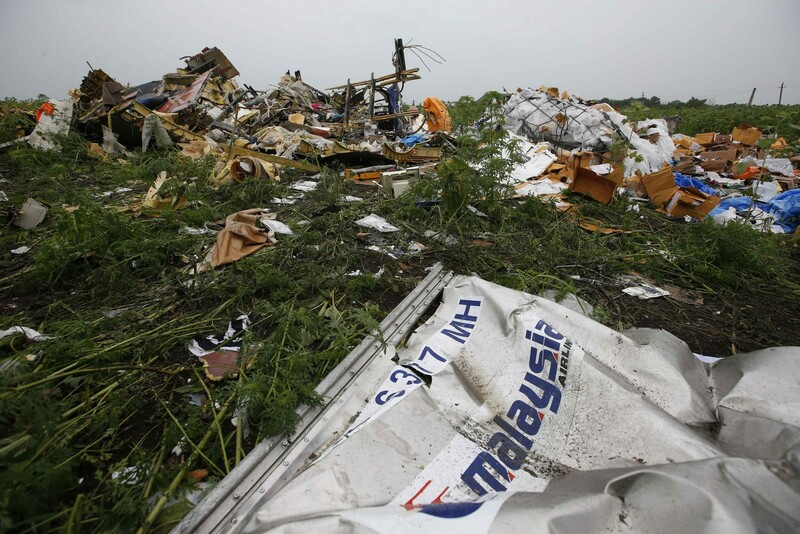 An OSCE spokesman said some gunmen in the area seemed intoxicated while others would not let the team of about 25 observers look at the wreckage of the Boeing 777. 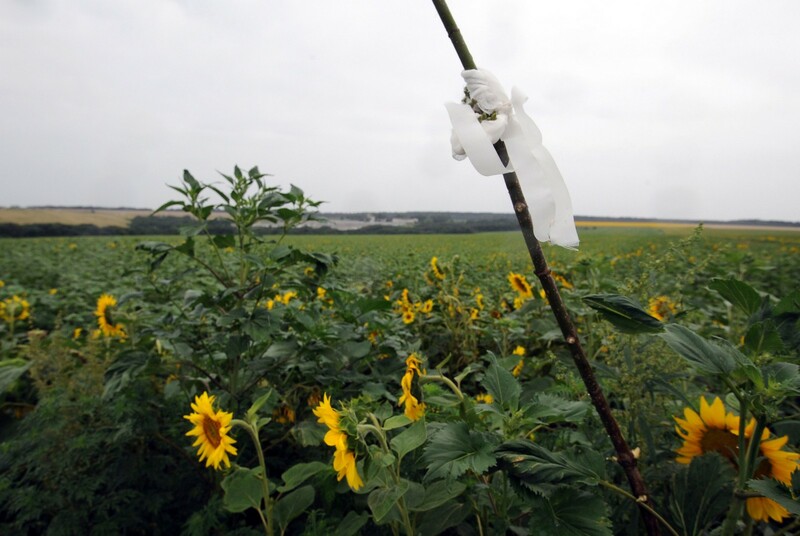 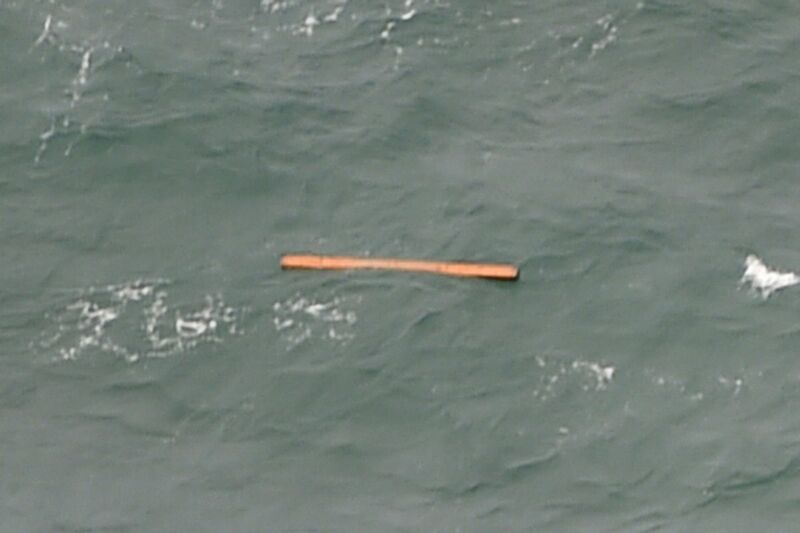 A stick with a white piece of cloth marks the spot where a body lays at the site of the crash. 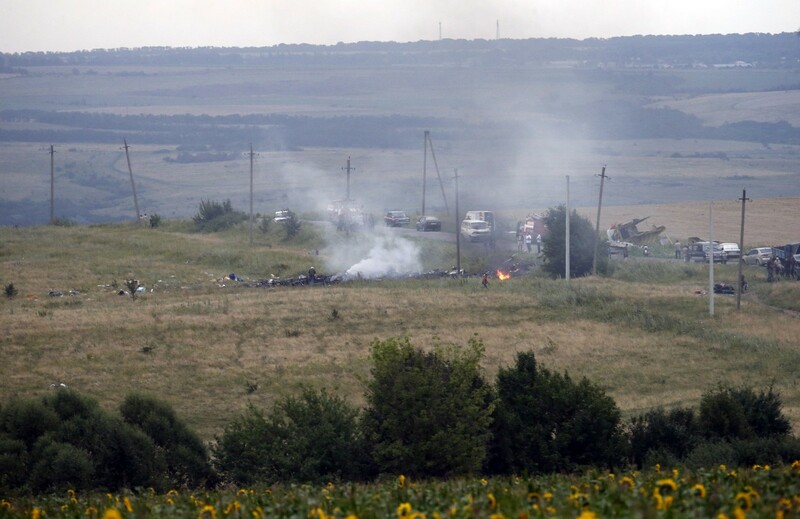 Gunmen had prevented monitors from the OSCE from observing the crash site, according to the rights and security watchdog. 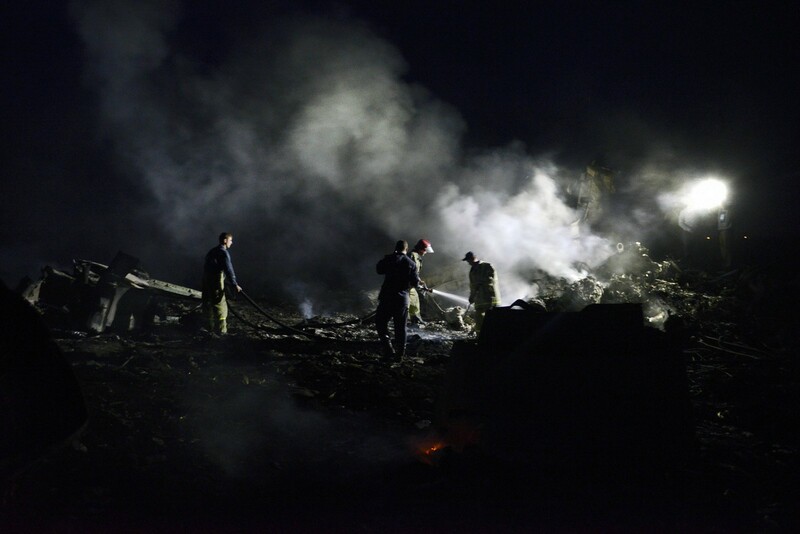 Monitors had not been able to secure an access corridor for the crash-site and investigators had stayed there for only about 75 minutes before heading back. 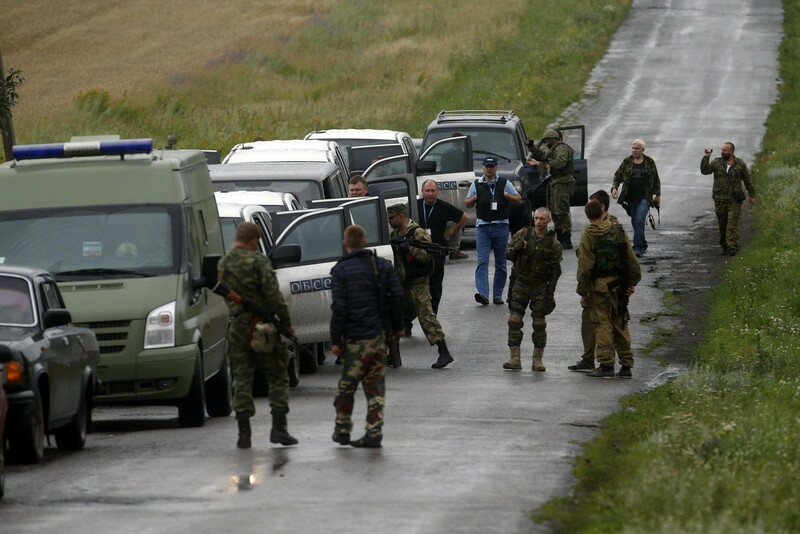 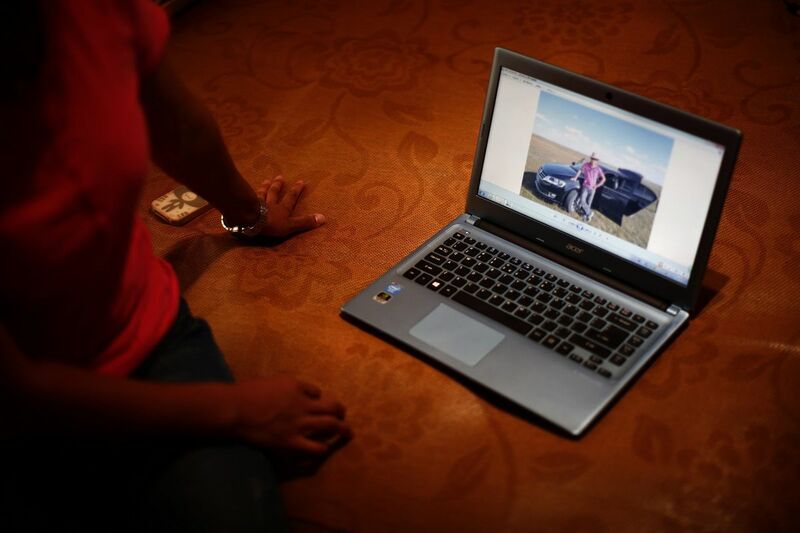 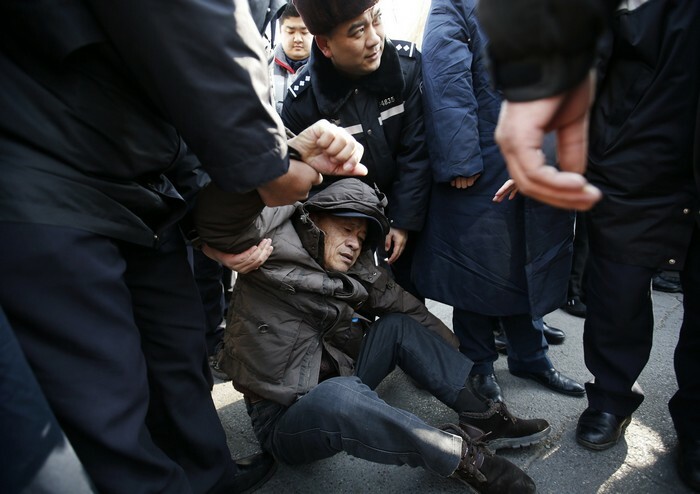 The United States said it was "very concerned" about the way the OSCE monitors had been treated. 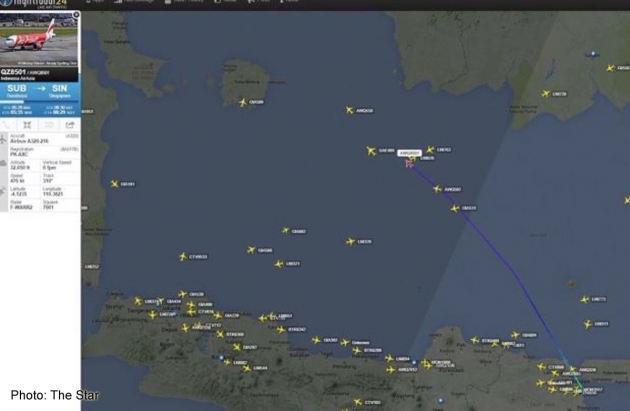 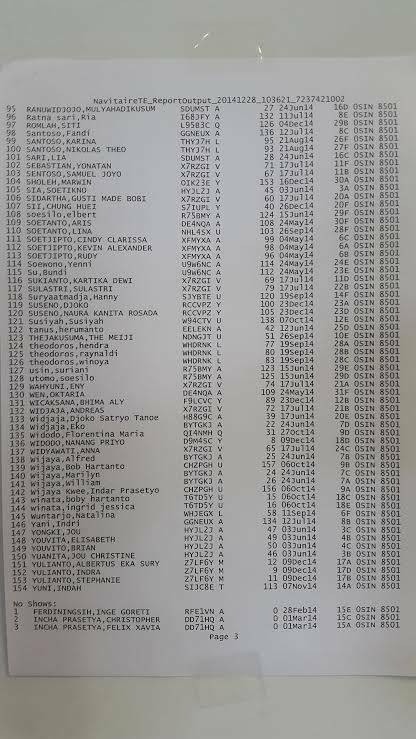 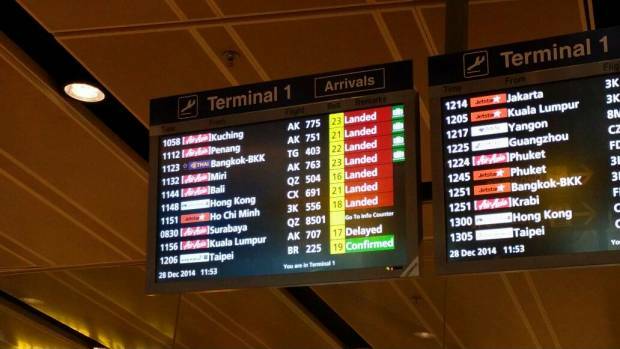 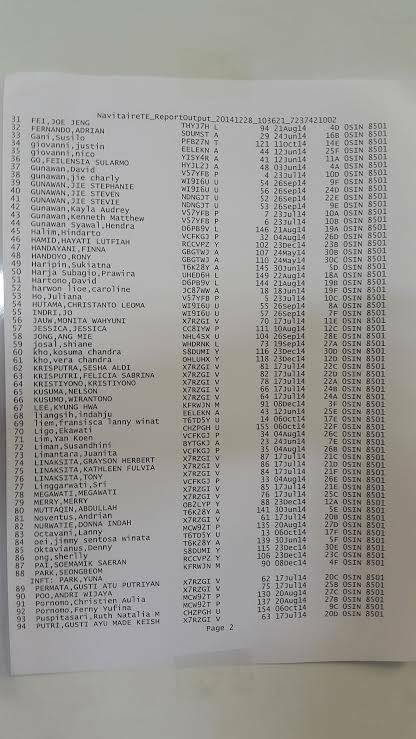 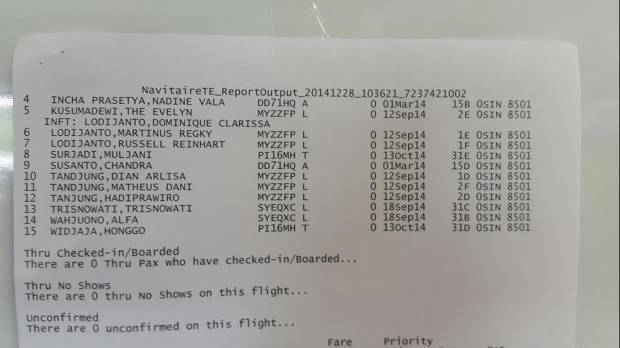 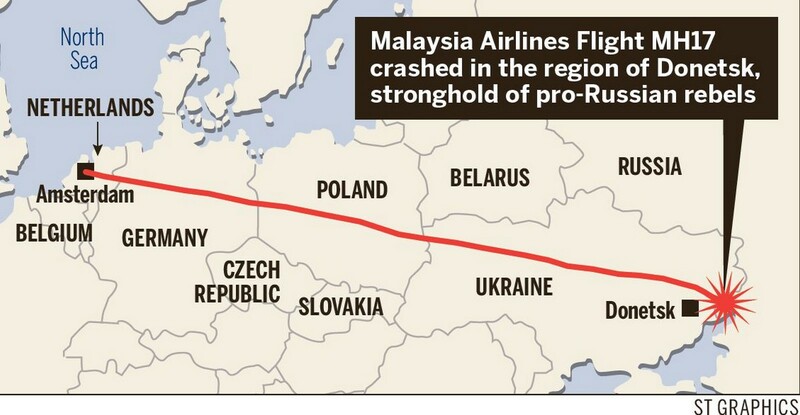 There were no survivors from the Malaysia Airlines flight MH17 from Amsterdam to Kuala Lumpur. 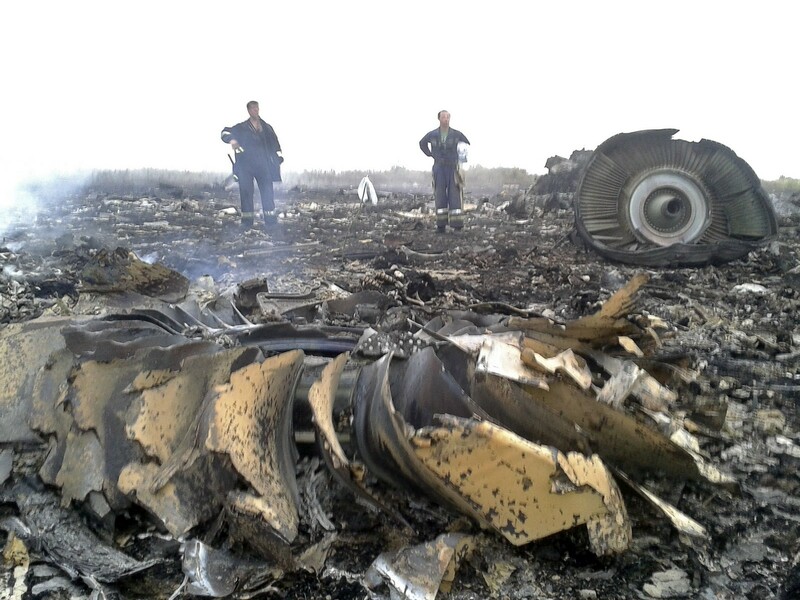 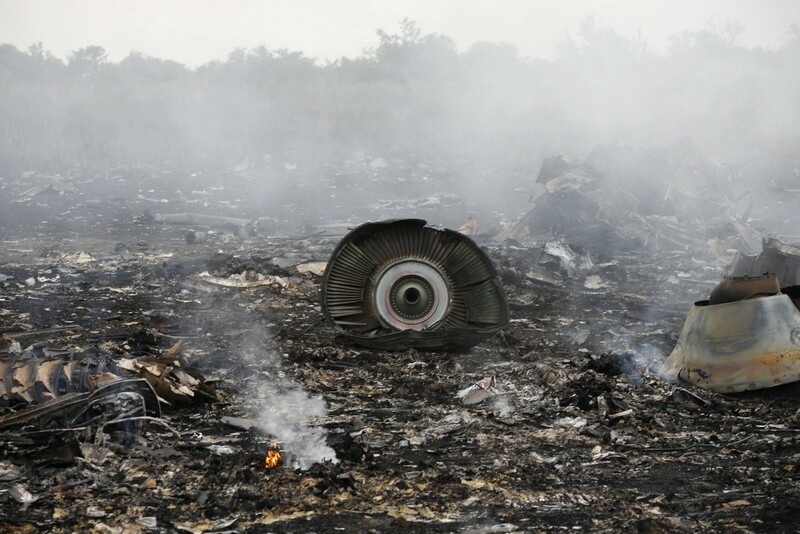 Wreckage from the nose section of the downed Malaysian Airlines plane. 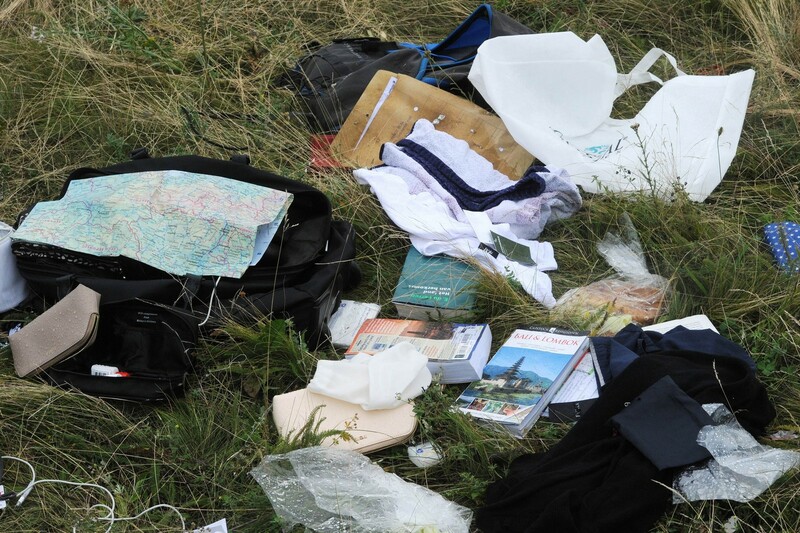 Personal belongings from the plane. 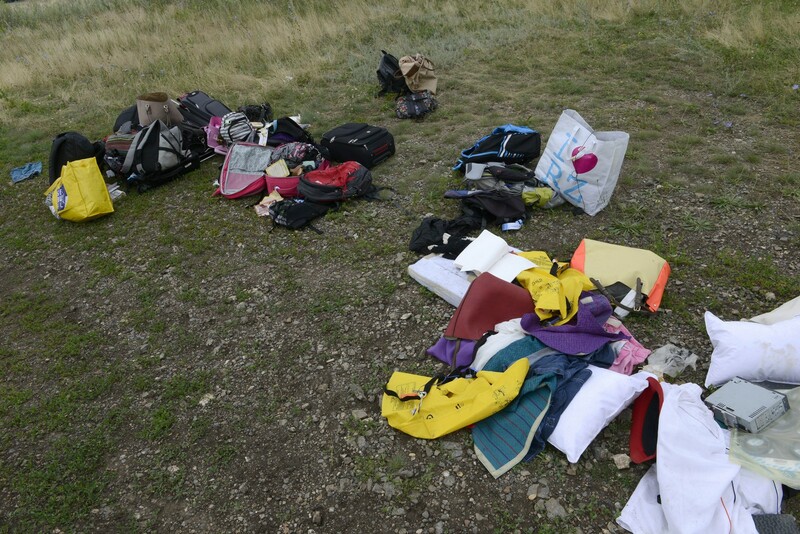 Personal belongings strewn at the site of the crash. 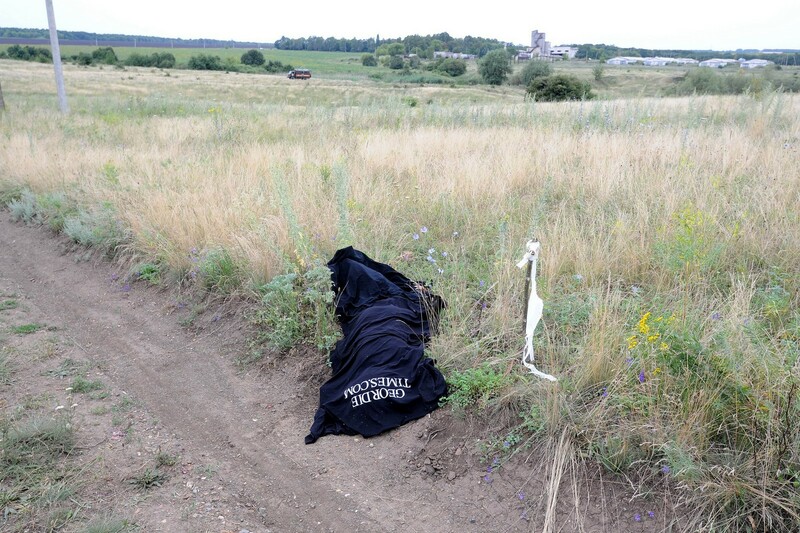 A picture taken on July 18, 2014, shows a body covered by a blanket on the site of the crash. 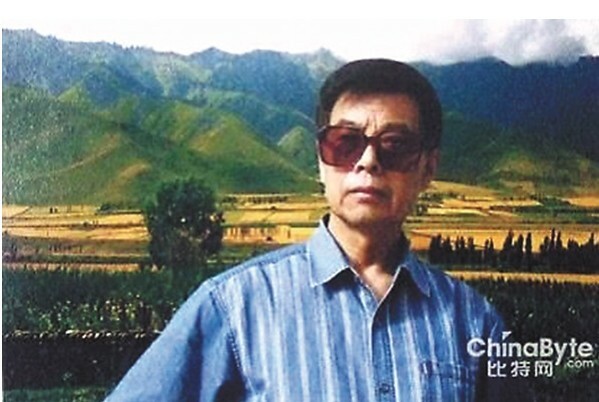 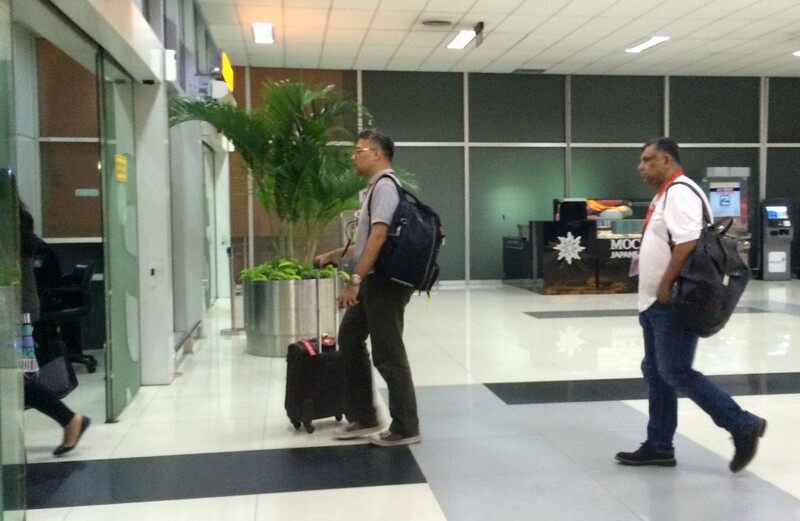 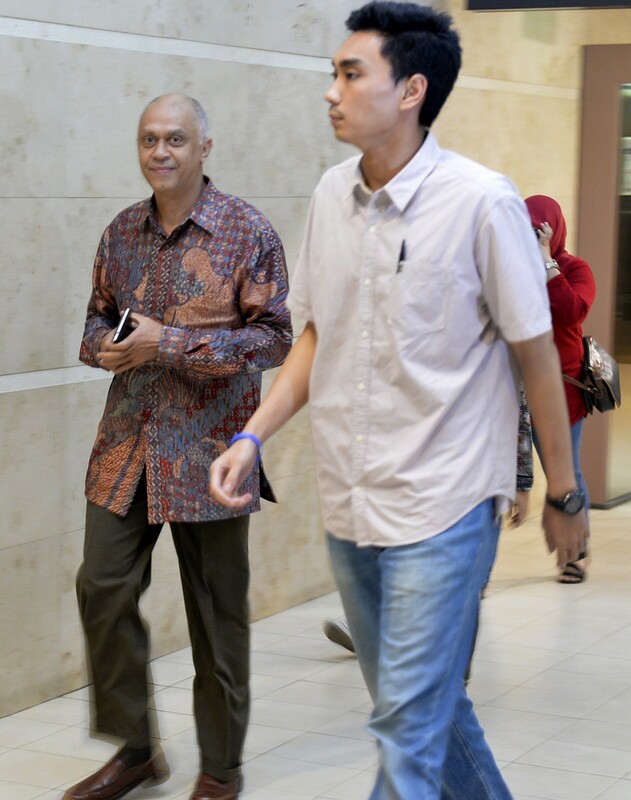 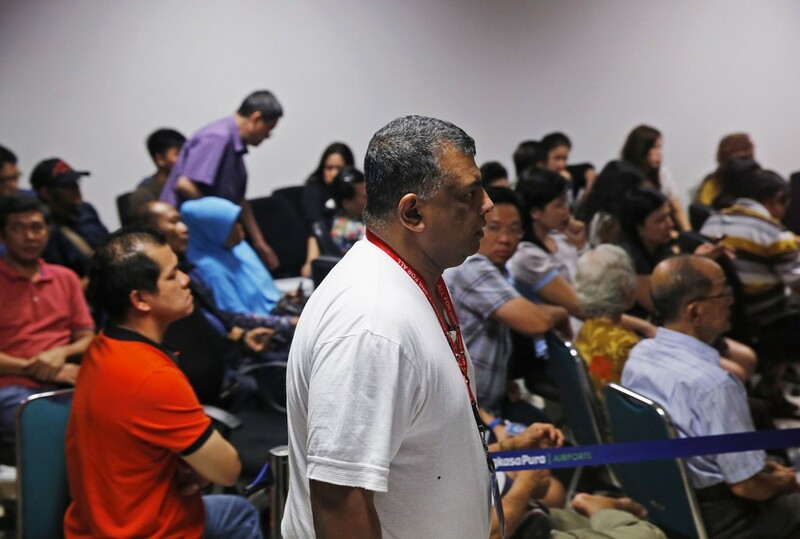 The last glimpse of the downed Malaysia Airlines Flight MH17 was captured by Malaysian passenger Md Ali Md Salim moments before departure. 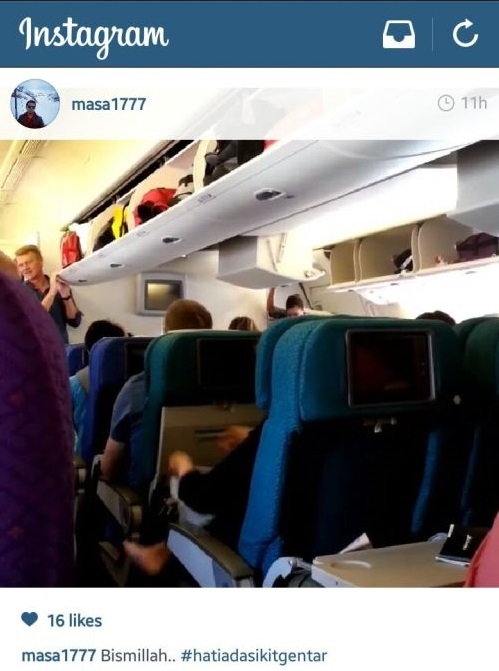 The 14-second video, which was uploaded on his Instagram account, showed other passengers stowing their luggage in the overhead compartment. 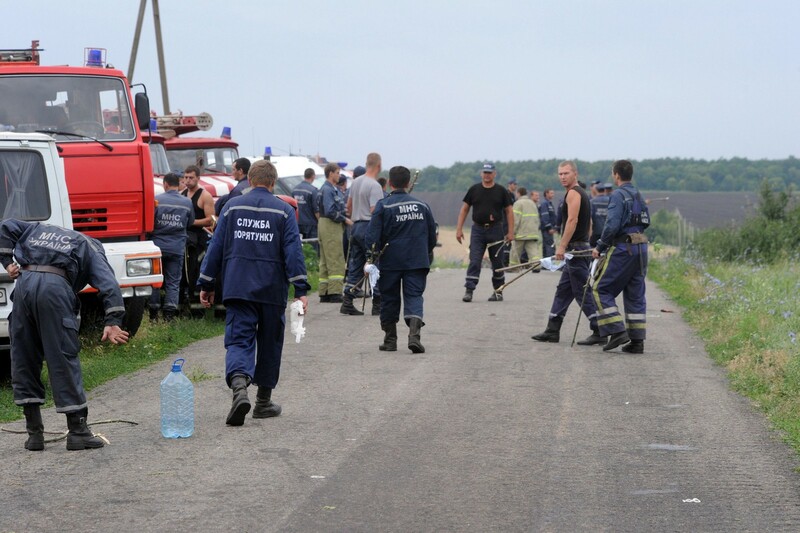 Rescuers search for bodies at the crash site. 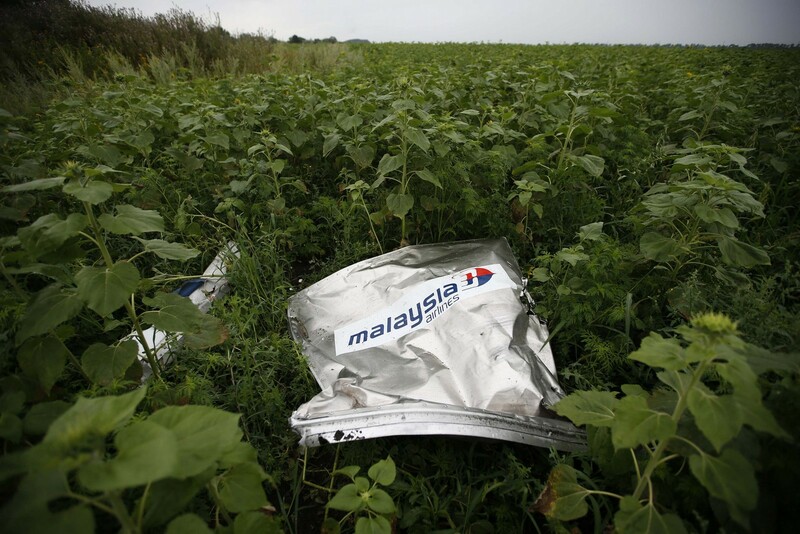 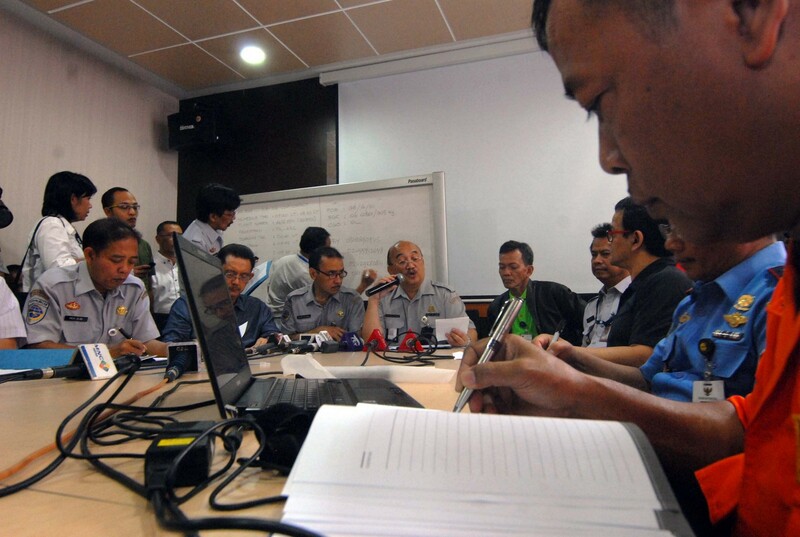 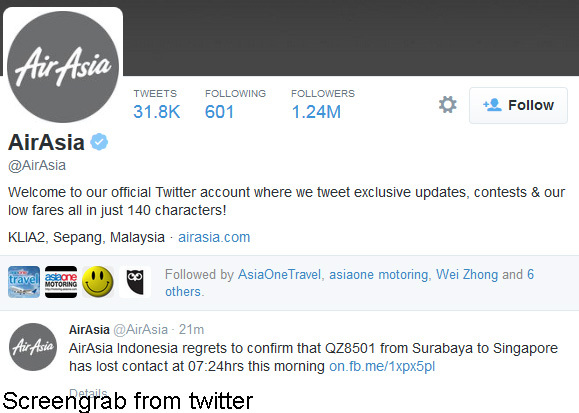 Malaysian Airlines tweeted that it has lost contact with MH17 from Amsterdam. 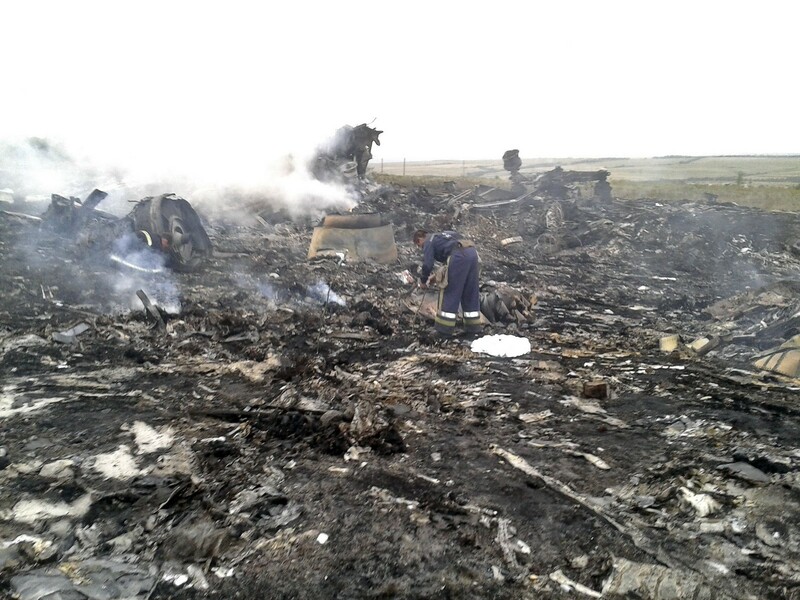 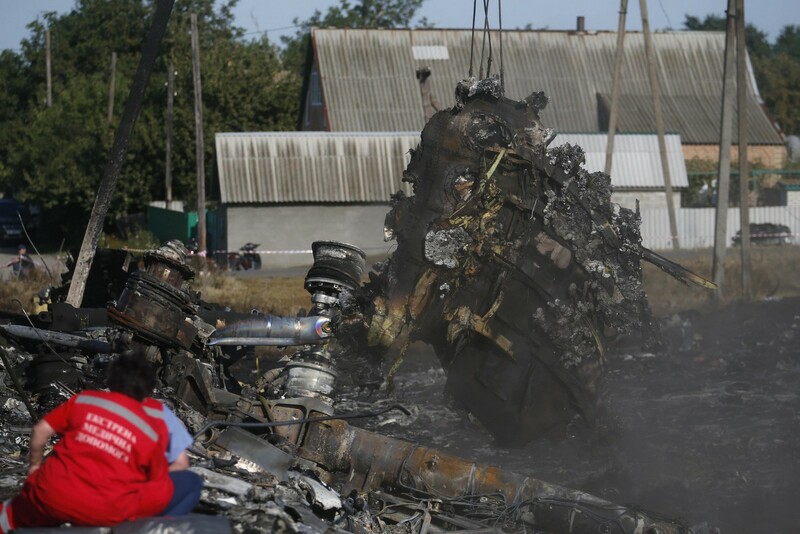 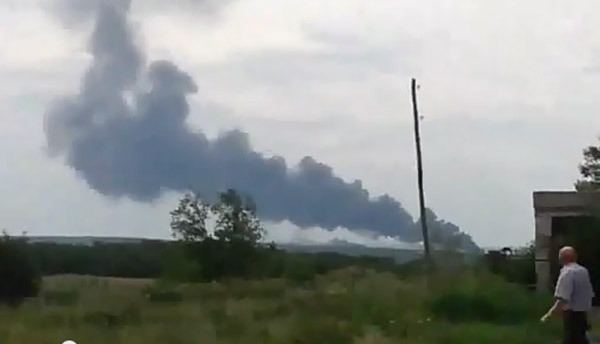 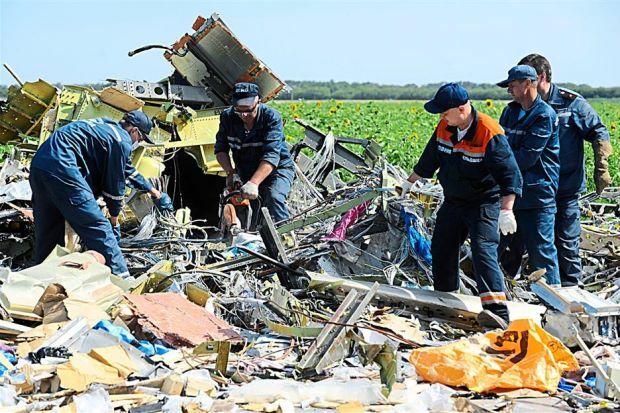 Russian and Ukrainian news agencies reported the crash, citing aviation and security sources. 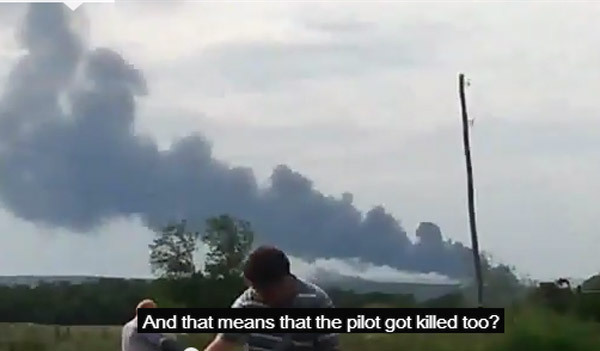 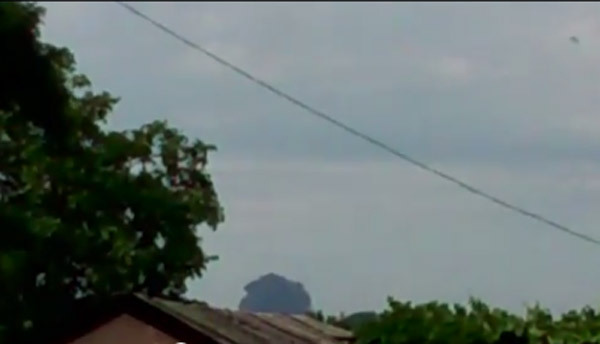 Unverified videos on YouTube showed the alleged crash site. 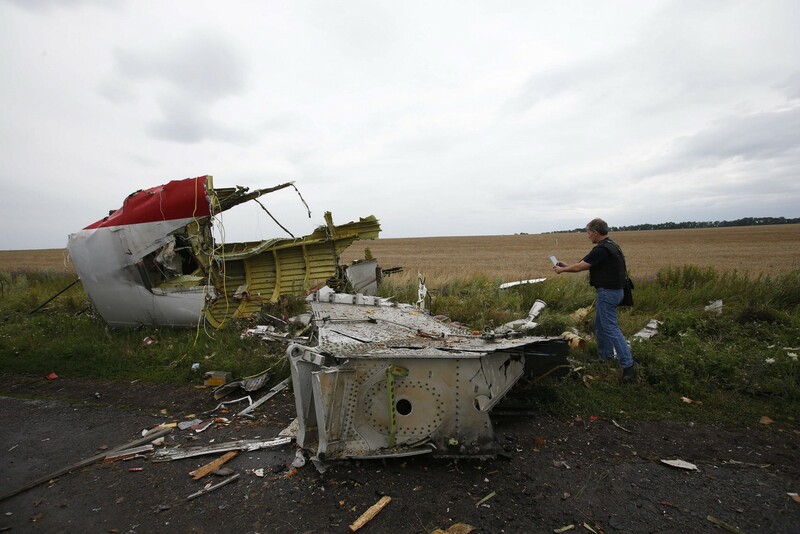 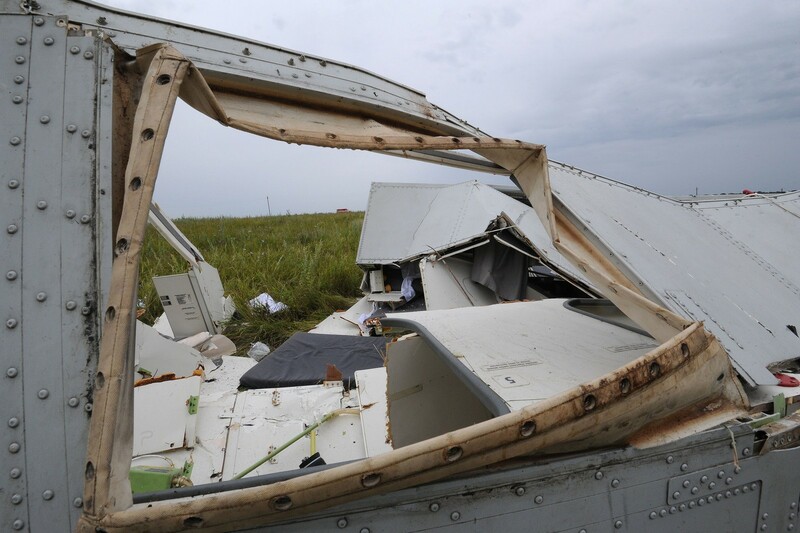 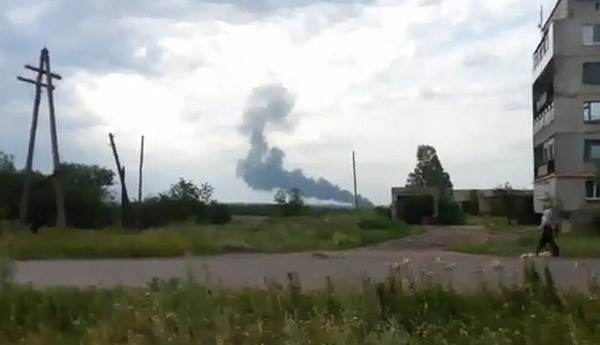 The Boeing passenger liner came down close to town of Shaktarsk in the rebellion-wracked region of Donetsk. 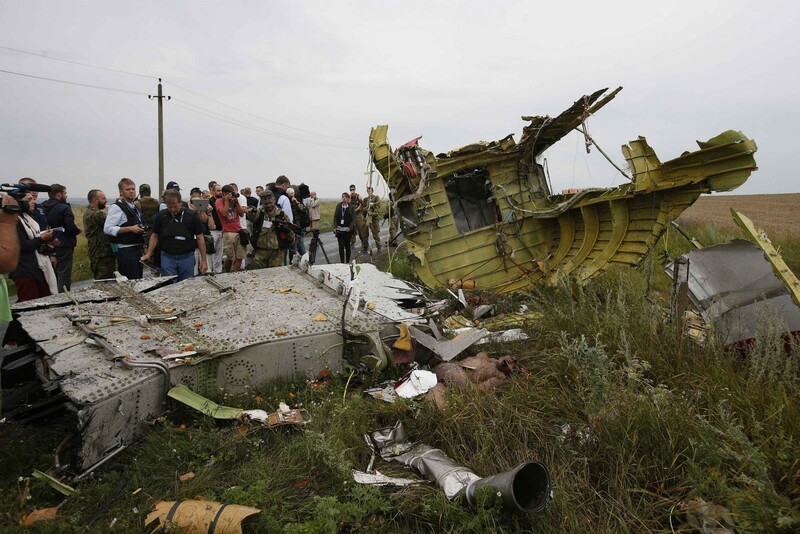 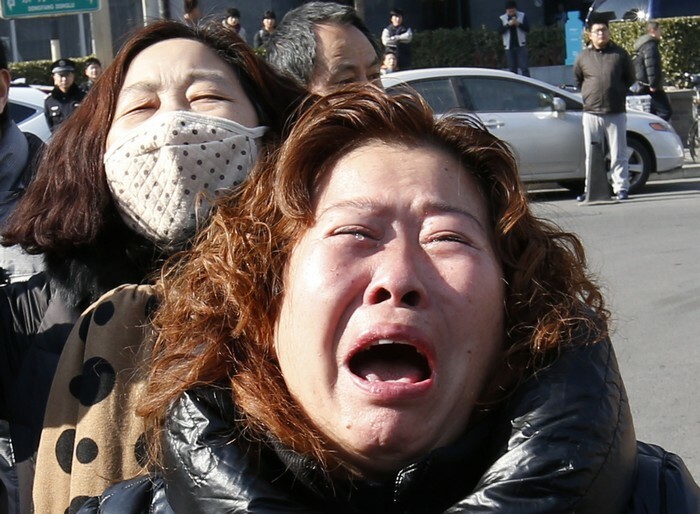 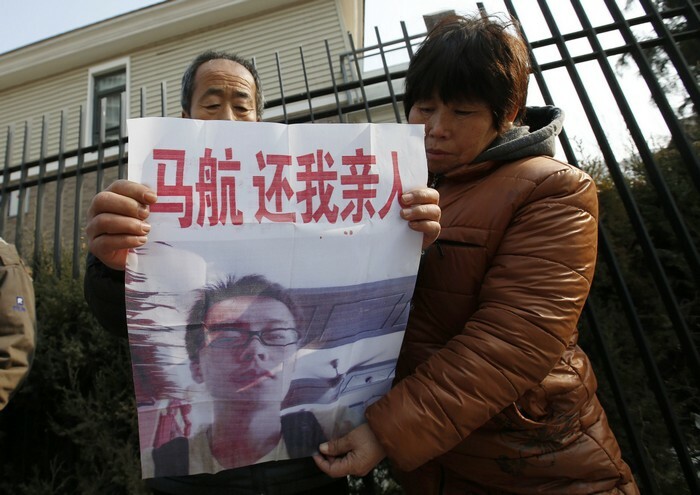 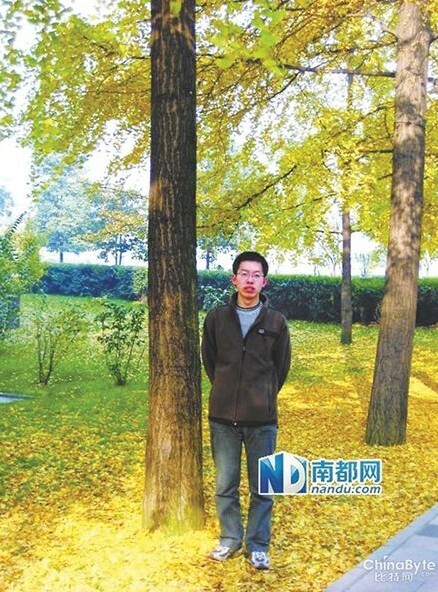 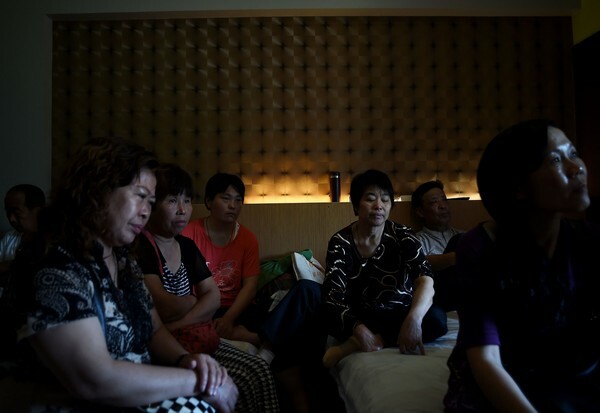 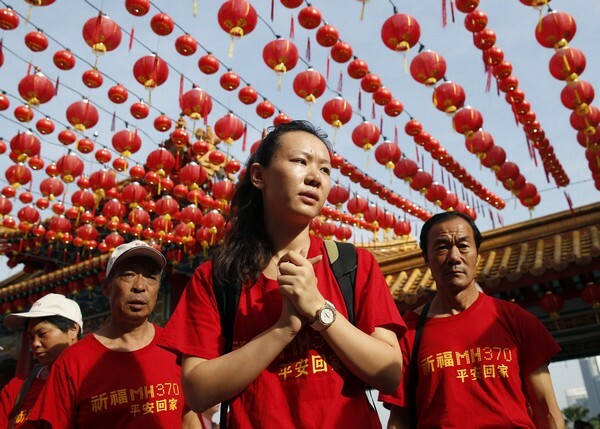 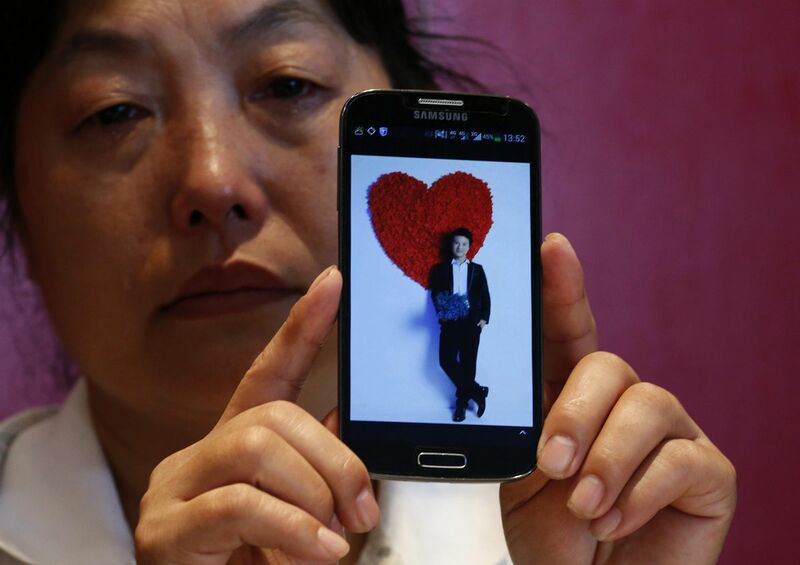 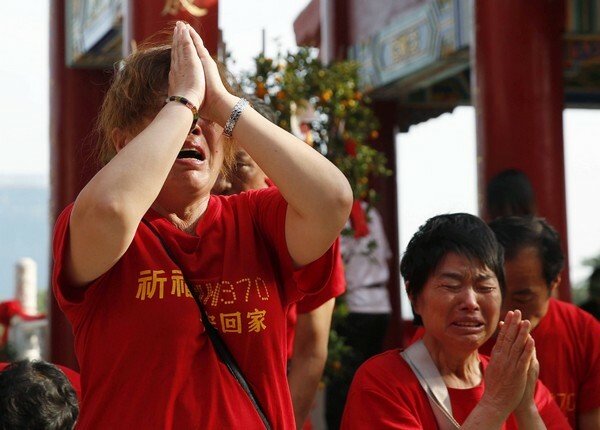 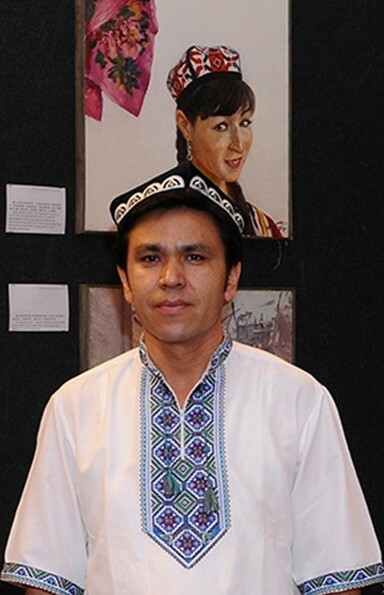 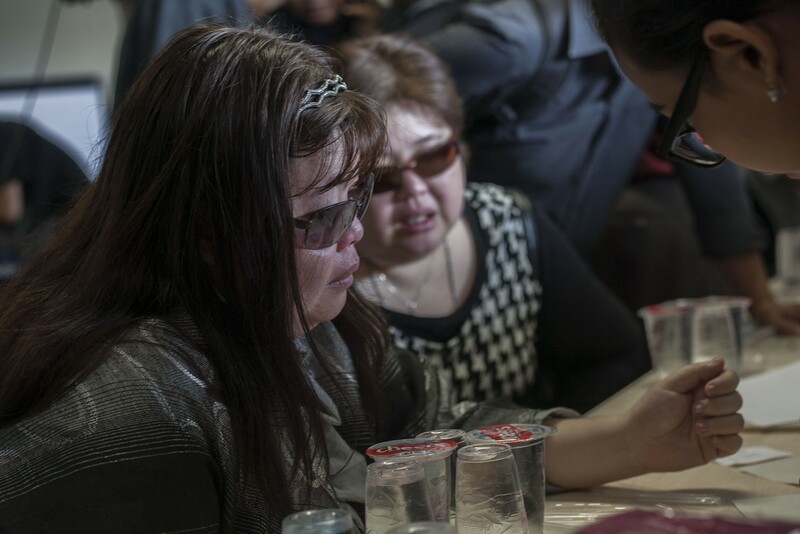 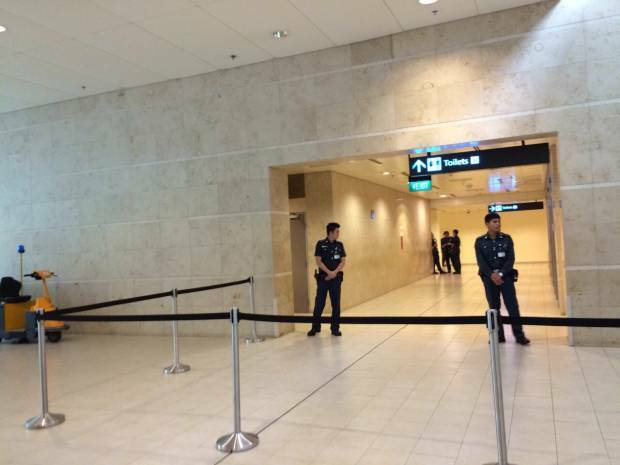 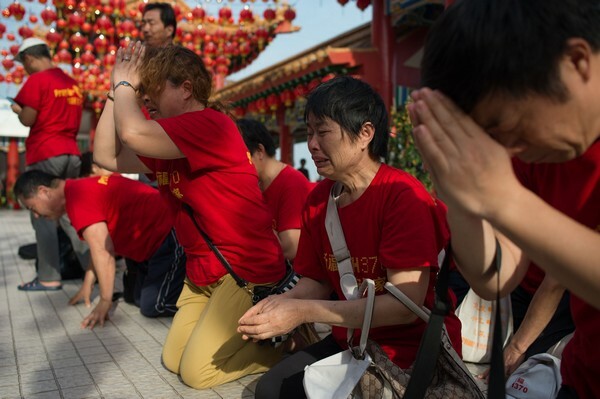 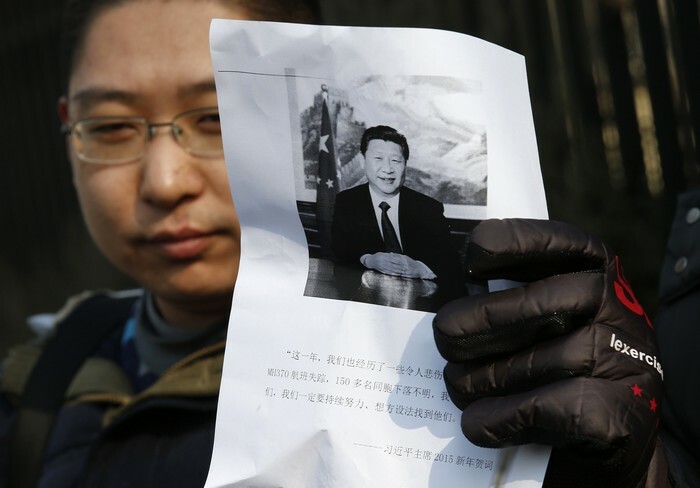 The plane had 295 people on board, Interfax cited an aviation industry source as saying on Thursday. 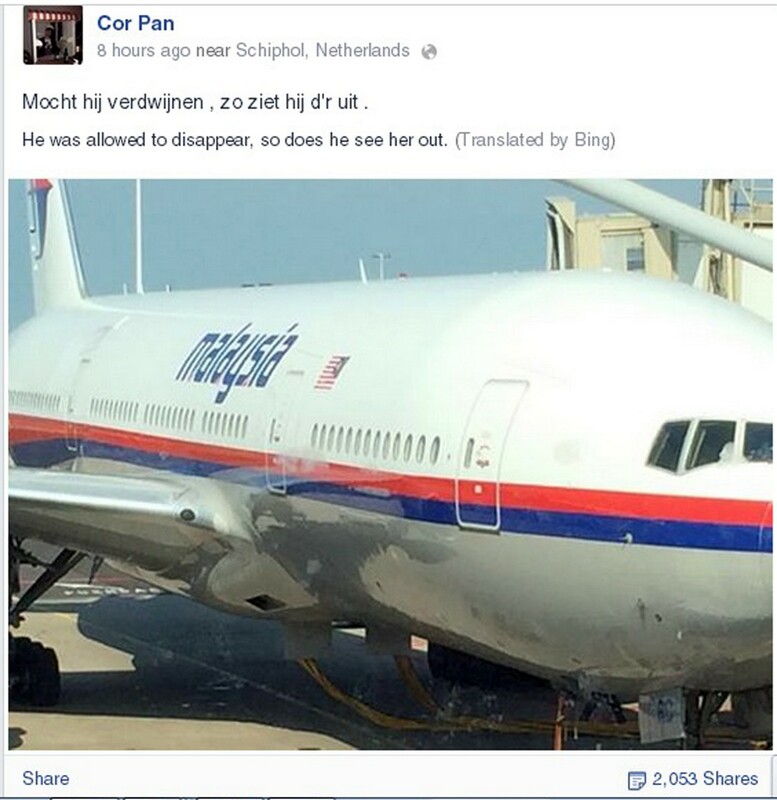 Last Facebook post of Dutch man Cor Pan. 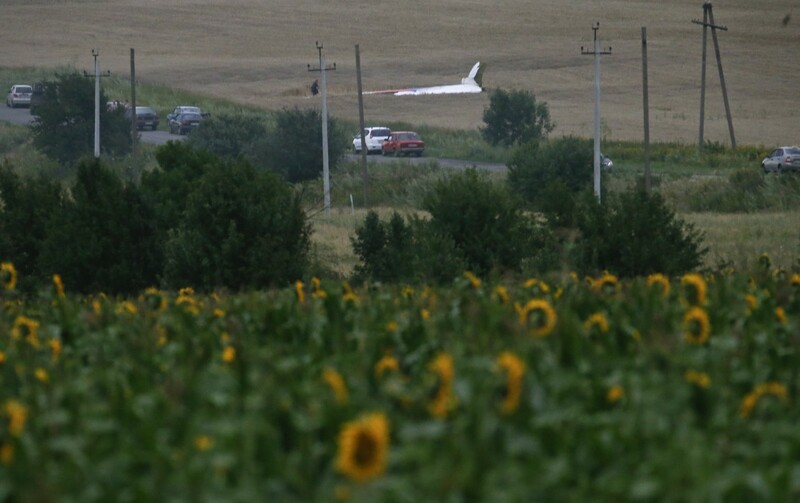 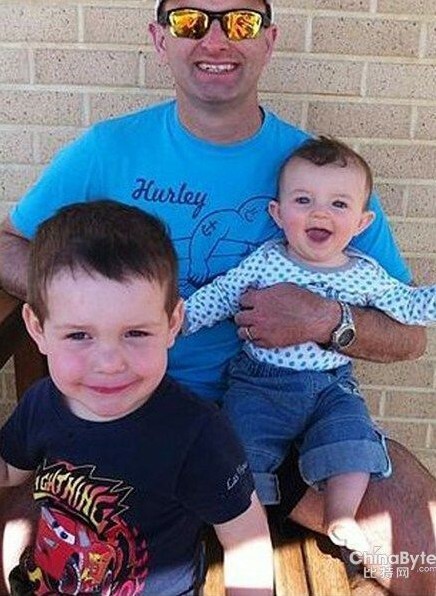 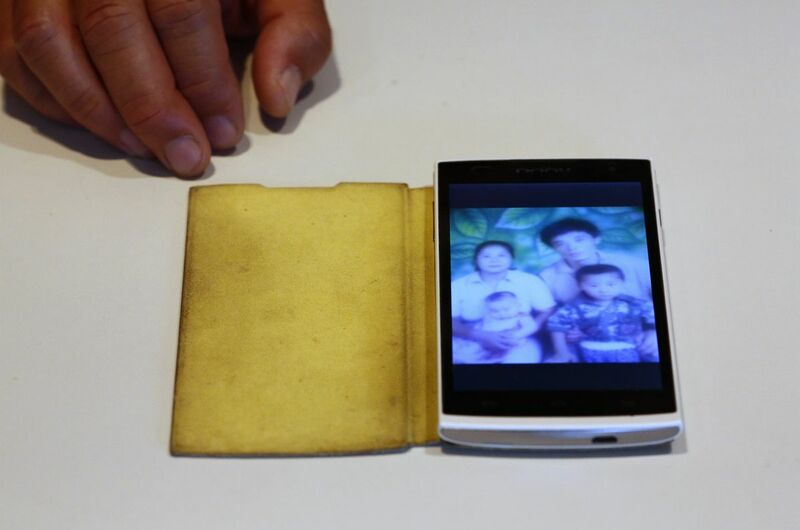 A Dutch man posted a picture of what is believed to be flight MH17 and a caption which roughly translates as "if the plane disappears, this is what it looks like". 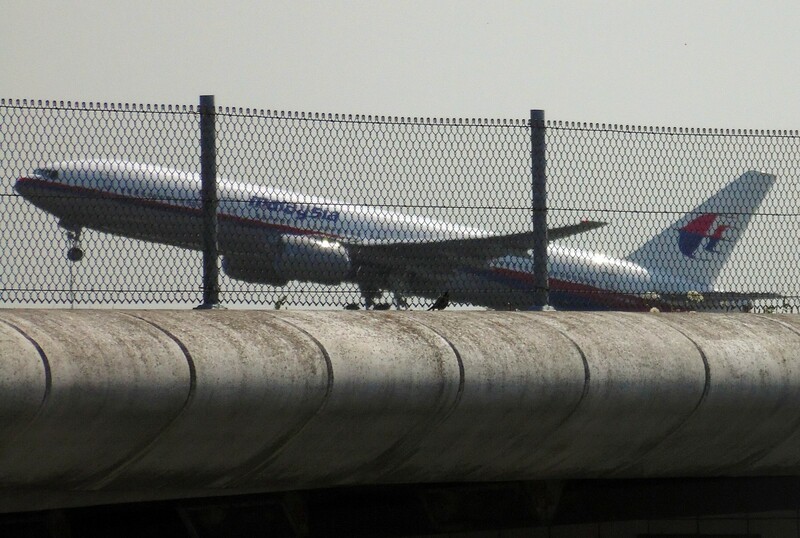 Photo shows Malaysia Airlines flight MH17 leaving Schiphol Airport in Schiphol, the Netherlands, on July 17, 2014. 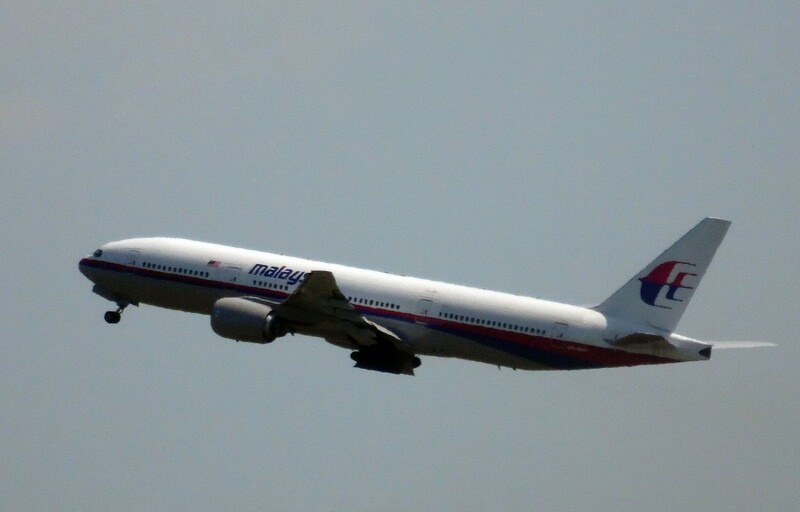 Photo shows Malaysia Airlines flight MH17 taking off from Schiphol Airport in Schiphol, the Netherlands, on July 17, 2014. 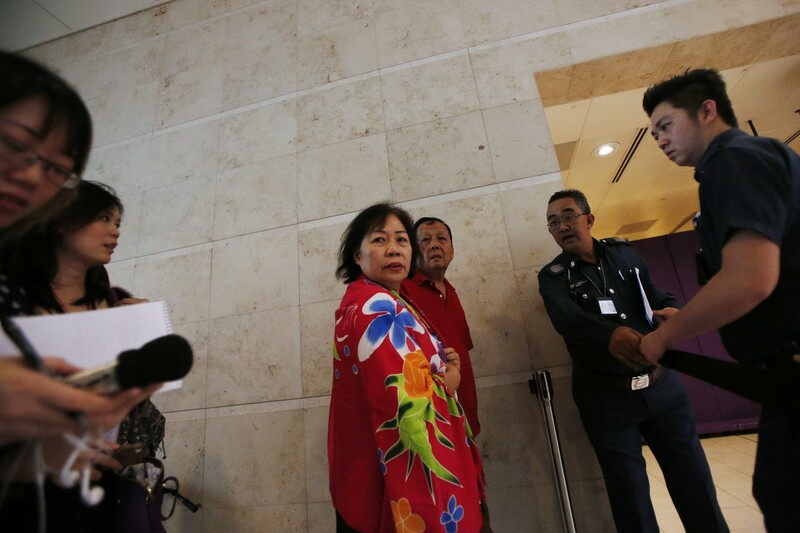 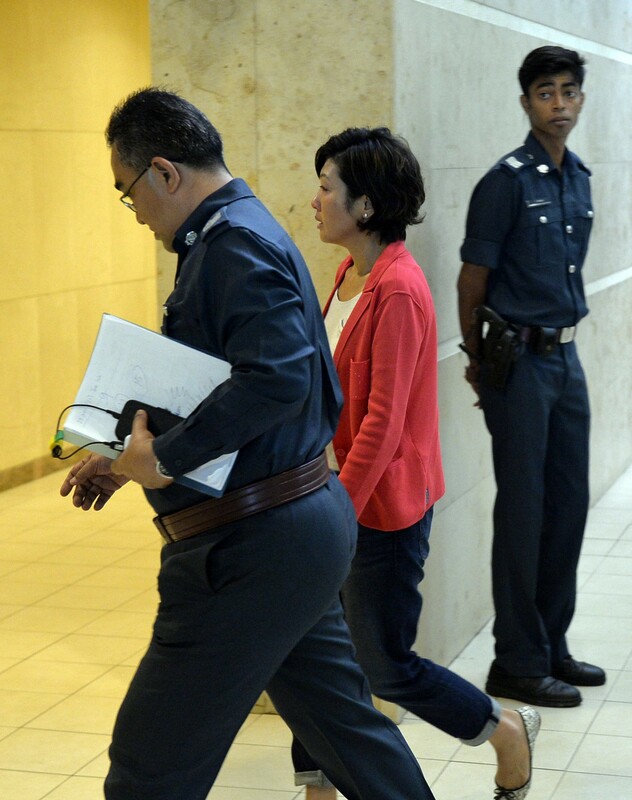 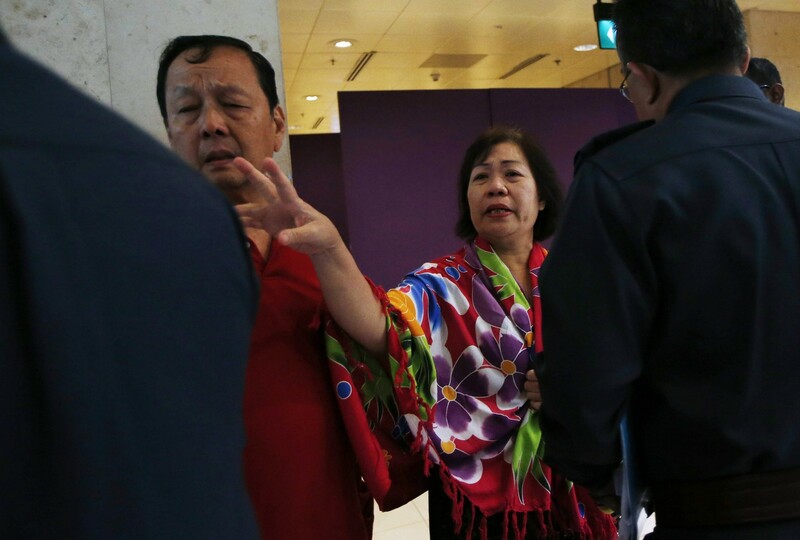 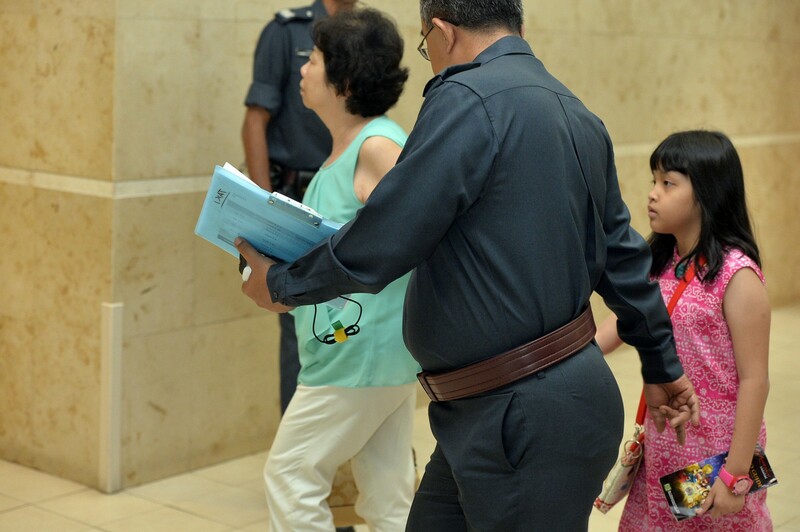 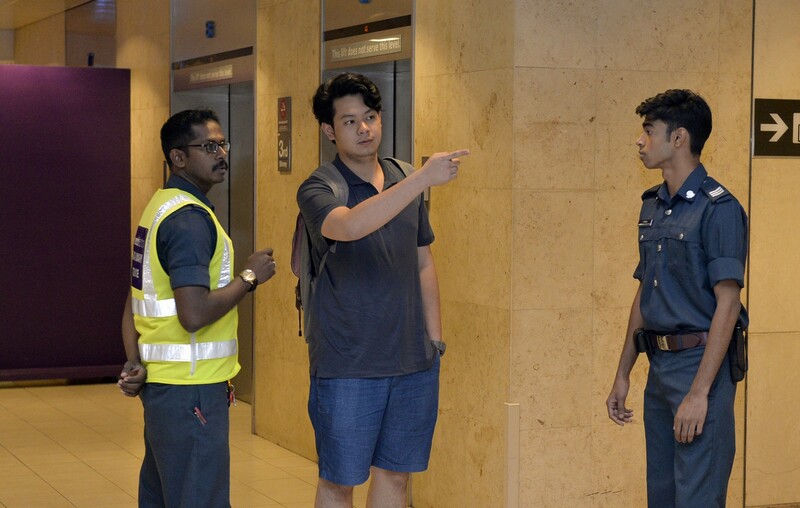 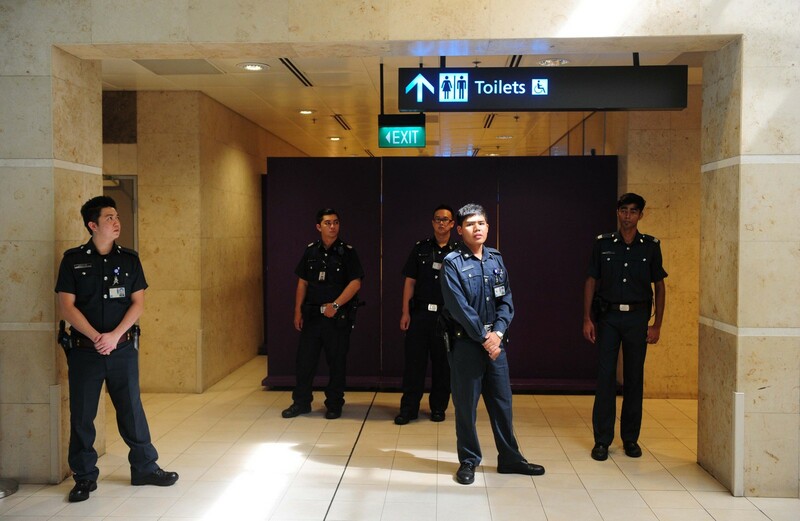 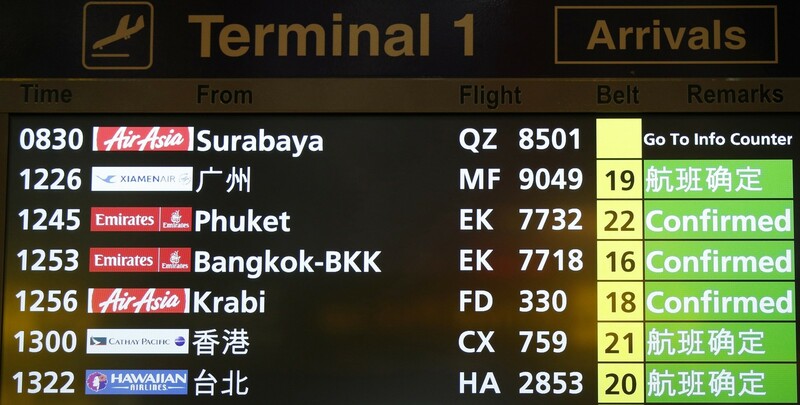 The plane was due to travel from Amsterdam on an overnight flight to Kuala Lumpur, and was expected in the Malaysian capital at around 6:00 am on Friday (2200 GMT Thursday). 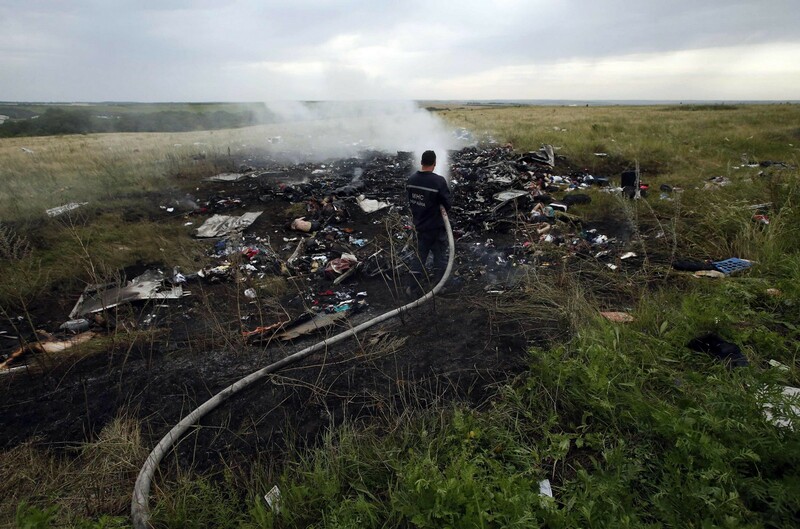 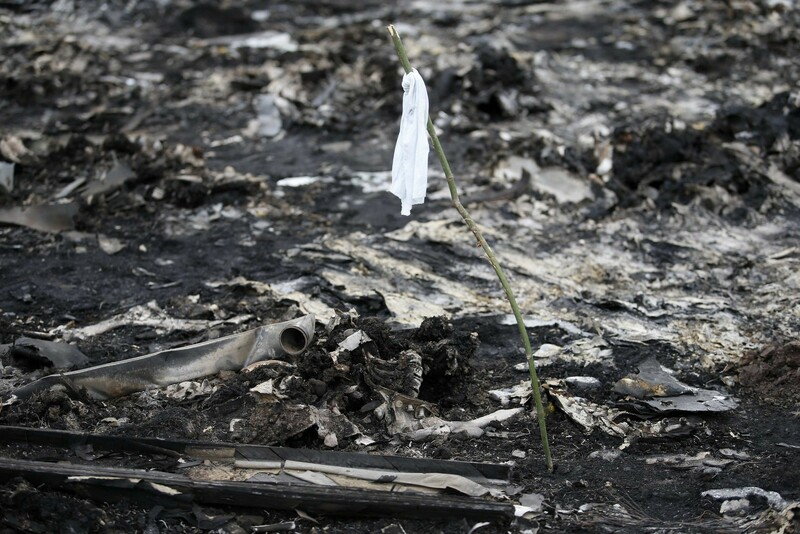 An Emergencies Ministry member works at the site of a Malaysia Airlines Boeing 777 plane crash in the settlement of Grabovo in the Donetsk region, July 17, 2014. 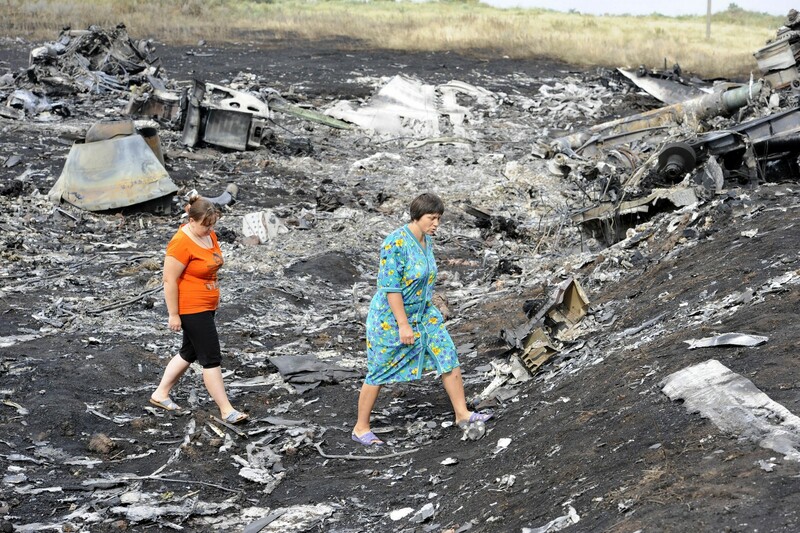 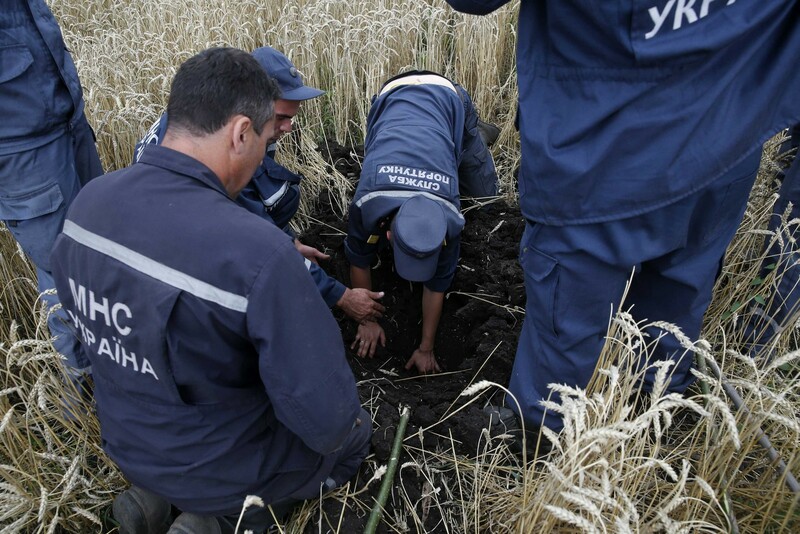 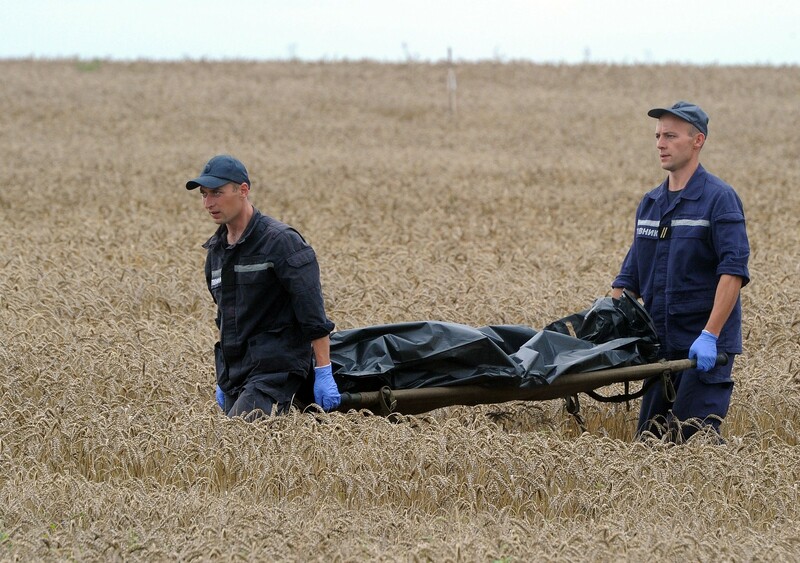 Emergencies Ministry members work at the site of a Malaysia Airlines Boeing 777 plane crash in the settlement of Grabovo in the Donetsk region, July 17, 2014. 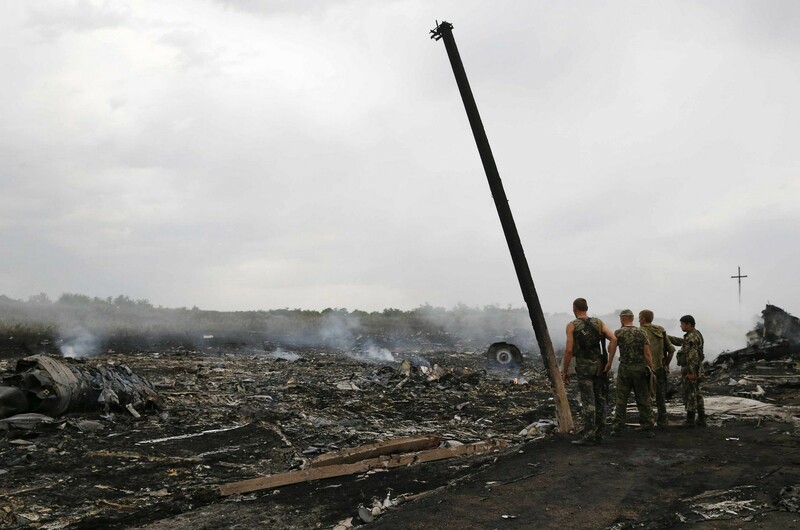 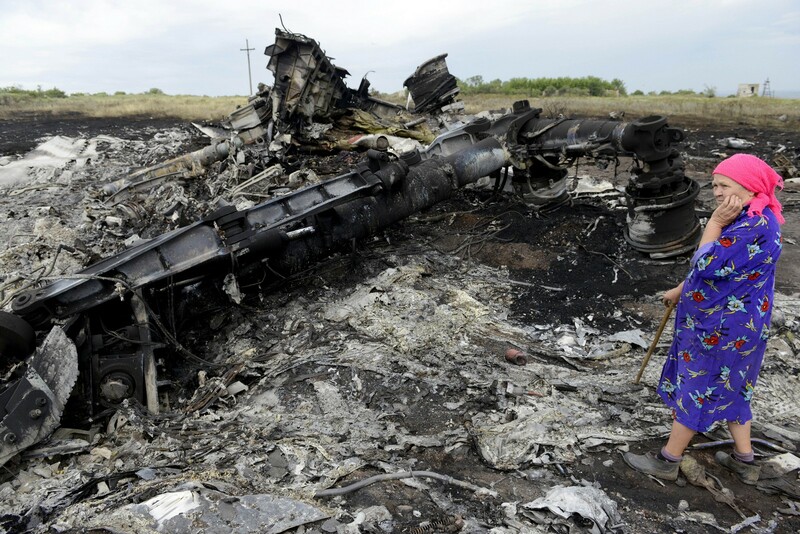 A picture taken on July 17, 2014 shows wreckages of the malaysian airliner carrying 295 people from Amsterdam to Kuala Lumpur after it crashed, in rebel-held east Ukraine. 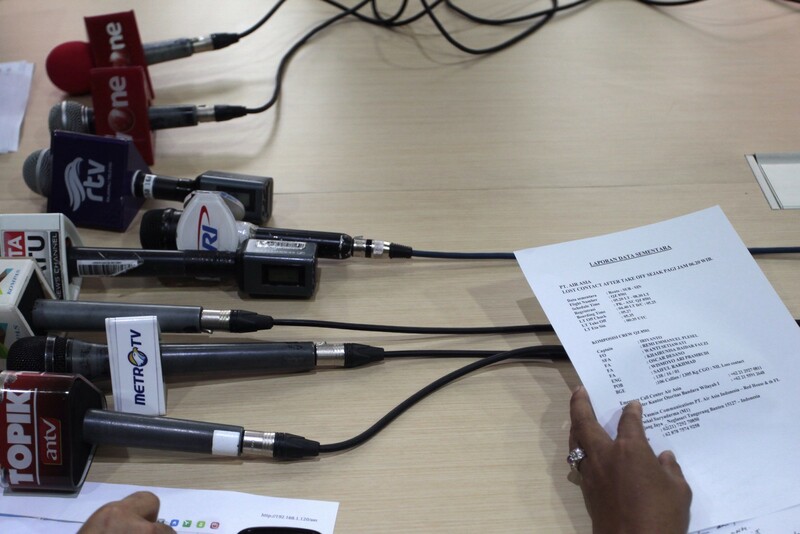 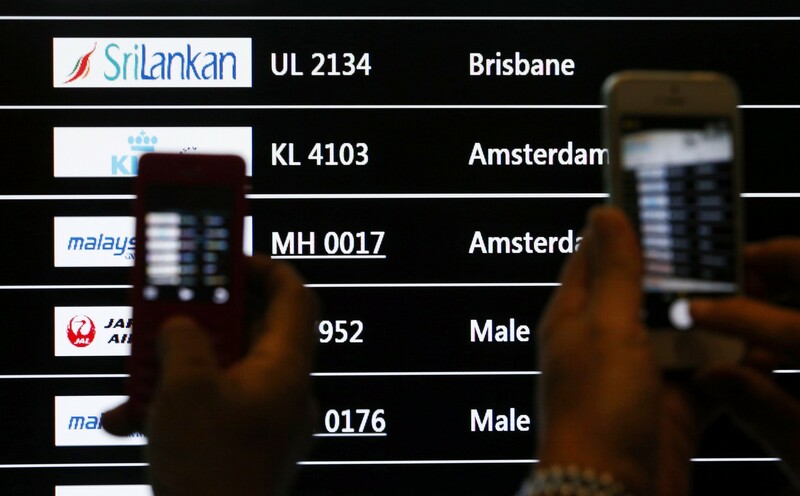 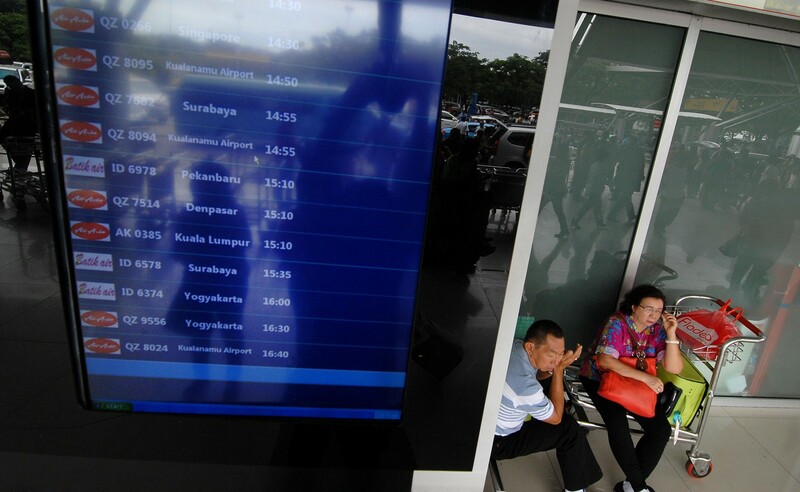 People take photos of a screen showing arrival details of Malaysia Airlines flight MH17 (C) at Kuala Lumpur International Airport in Sepang July 18, 2014. 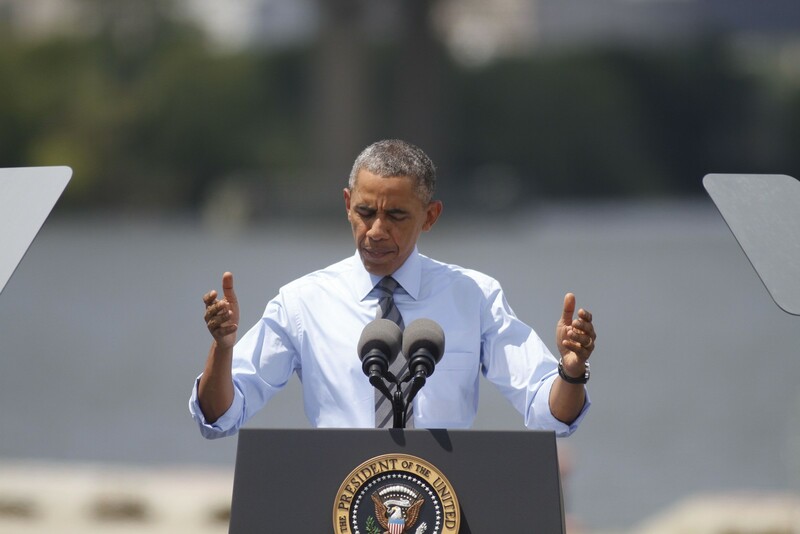 President Barack Obama addresses the plane crash of Air Malaysia flight MH17 in Ukraine earlier today before announcing new national infrastructure initiative at the Port of Wilmington, Delaware, in front of the I-495 Bridge. 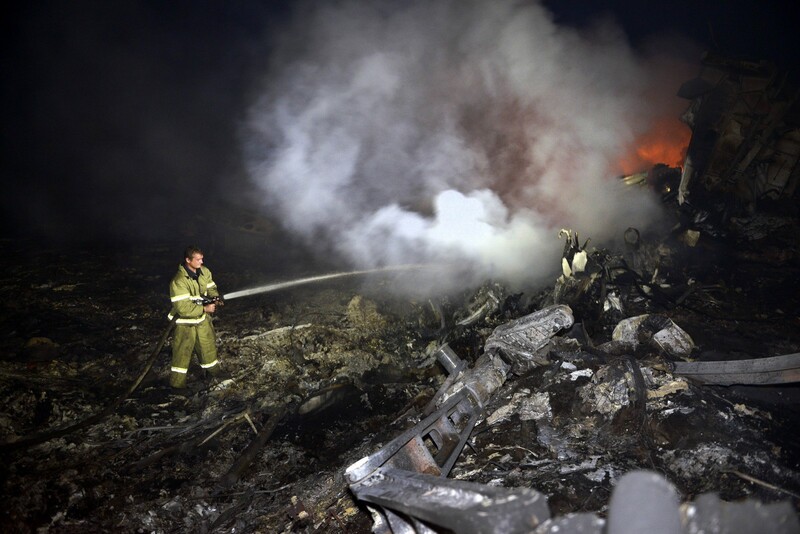 A firefighter sprays water to extinguish a fire, on July 17, 2014, amongst the wreckages of the malaysian airliner carrying 295 people from Amsterdam to Kuala Lumpur after it crashed, near the town of Shaktarsk, in rebel-held east Ukraine. 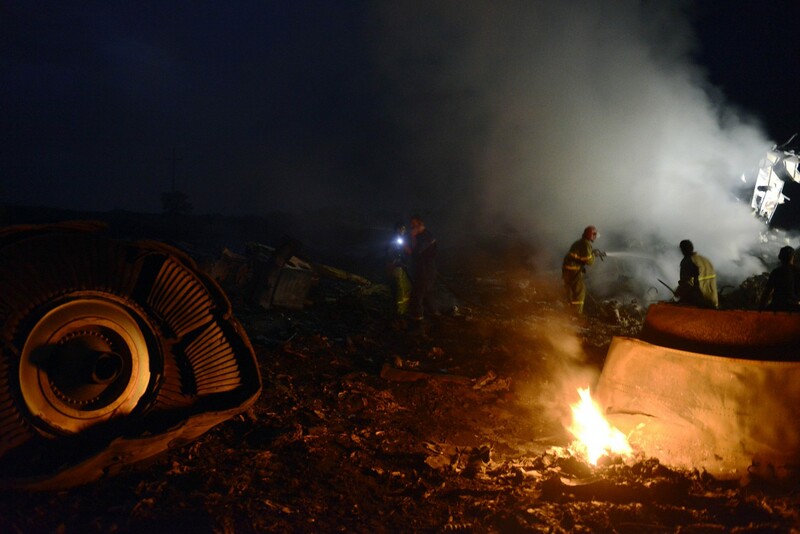 Firefighters extinguish a fire, on July 17, 2014, amongst the wreckages of the malaysian airliner carrying 295 people from Amsterdam to Kuala Lumpur after it crashed, near the town of Shaktarsk, in rebel-held east Ukraine. 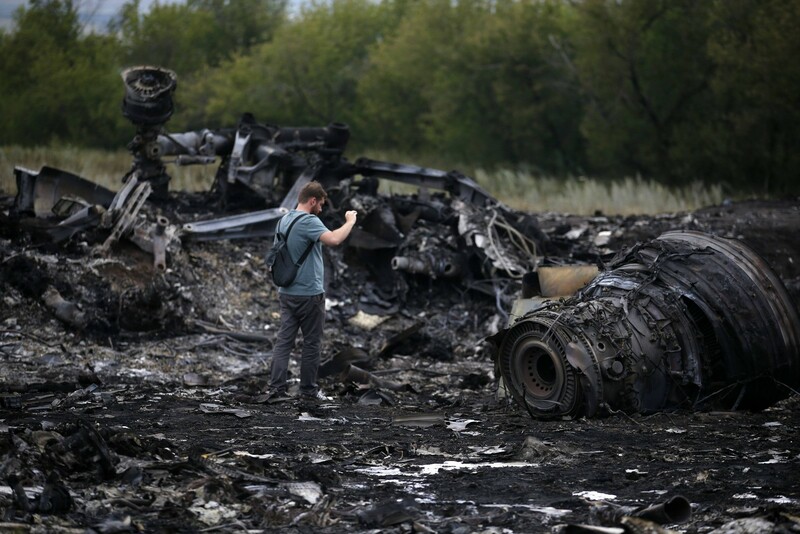 An Emergencies Ministry member walks at the site of a Malaysia Airlines Boeing 777 plane crash near the settlement of Grabovo in the Donetsk region, July 17, 2014. 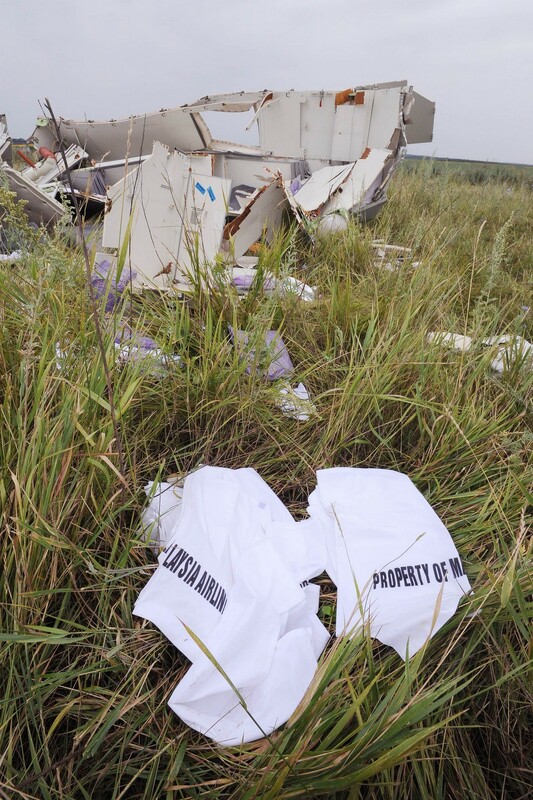 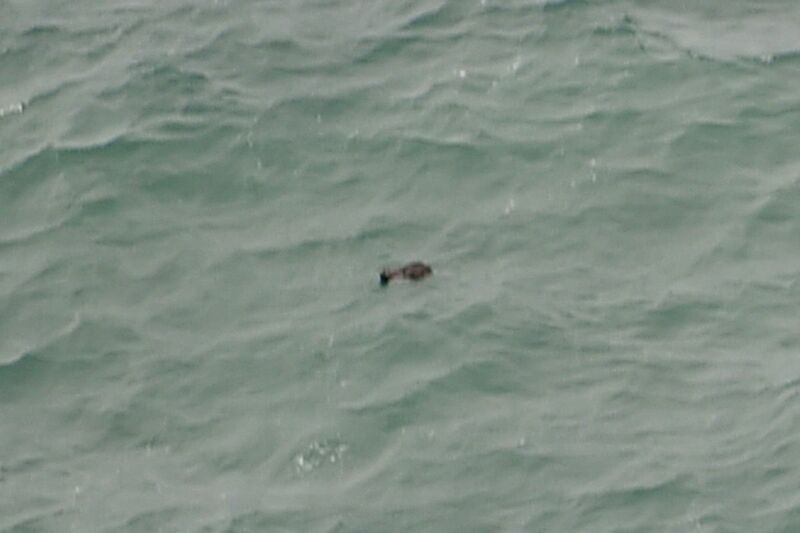 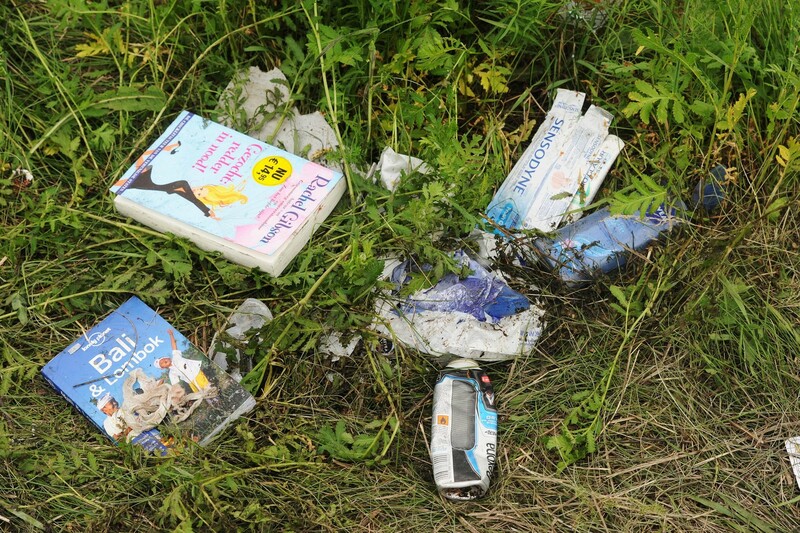 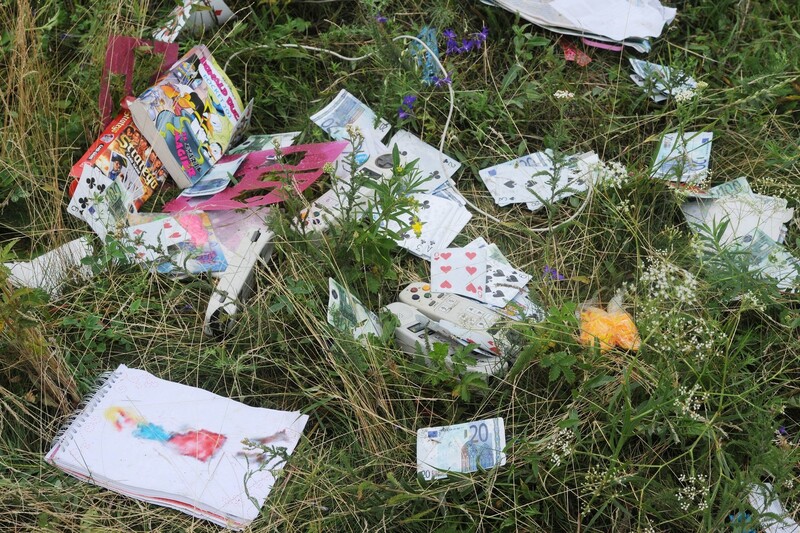 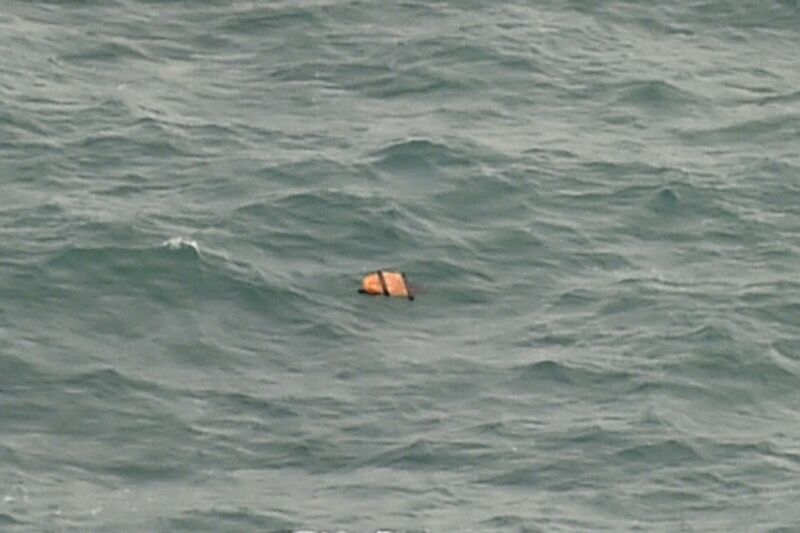 Debris pictured at the crash site. 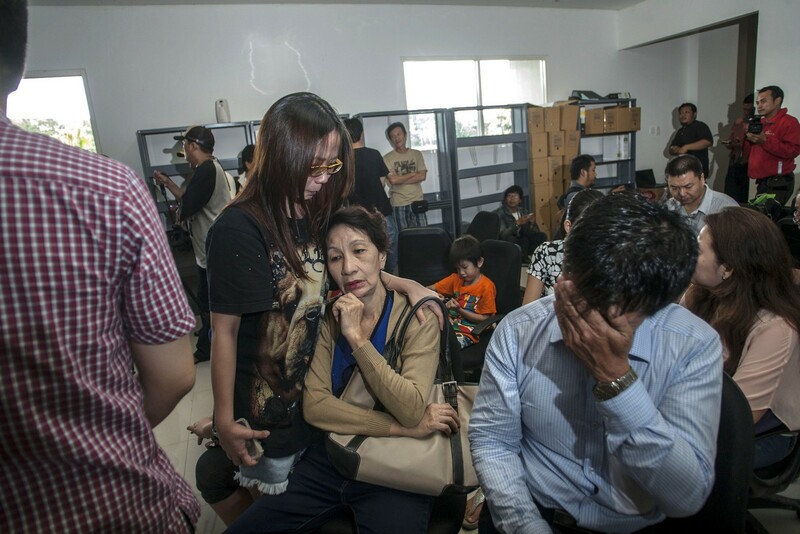 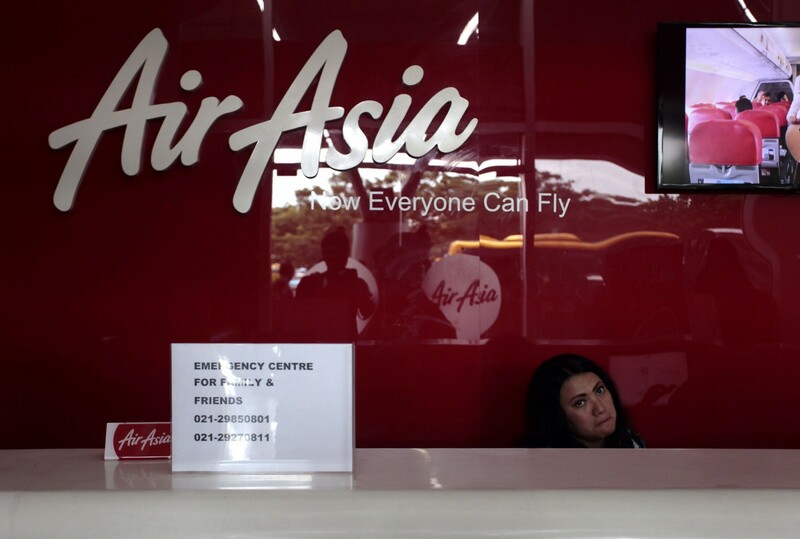 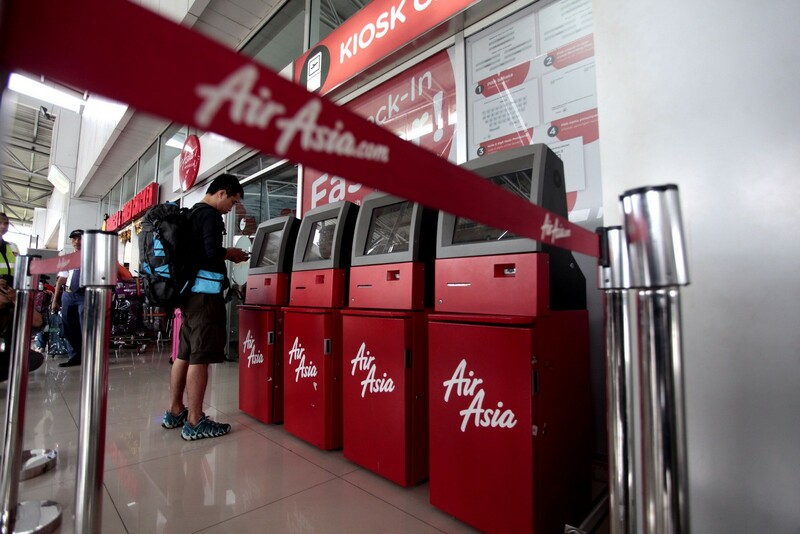 Capping off the disastrous year, an AirAsia jet carrying 162 people apparently crashed on Sunday en route from Surabaya in Indonesia's east Java to Singapore. 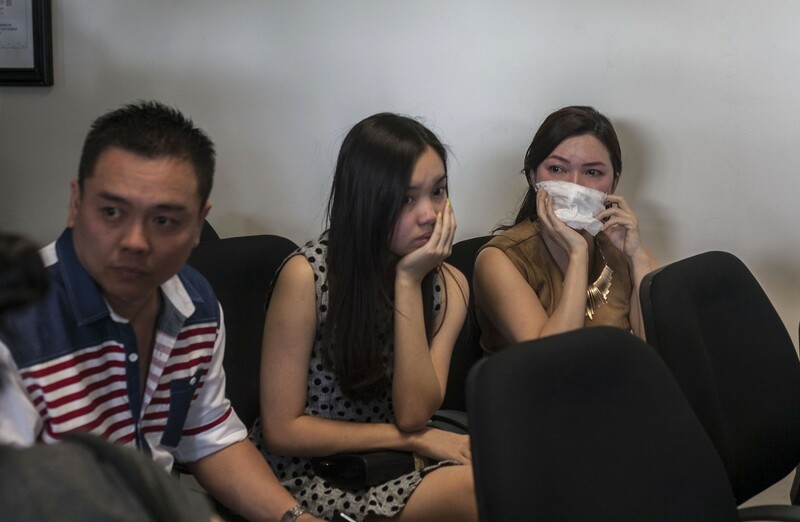 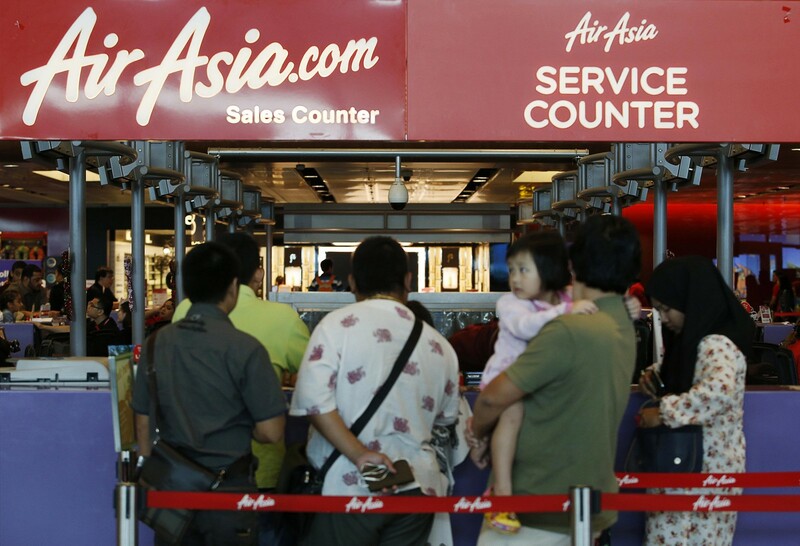 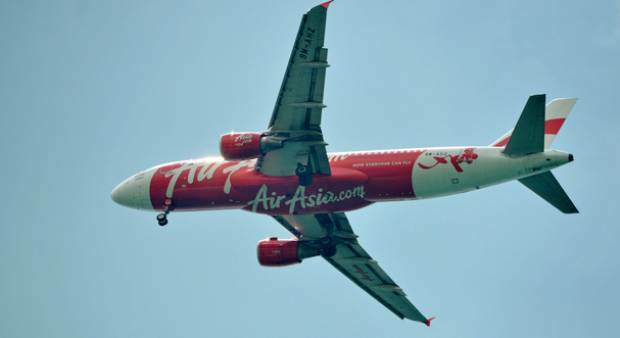 A record low of seven fatal commercial passenger incidents - not including AirAsia - occurred this year, according to the Netherlands-based Aviation Safety Network, an infinitesimal figure amid the several million flights and billions of passengers each year. 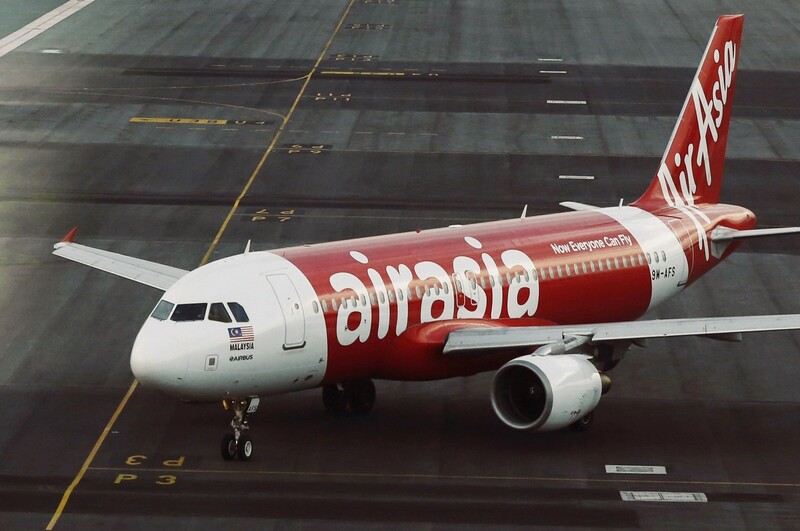 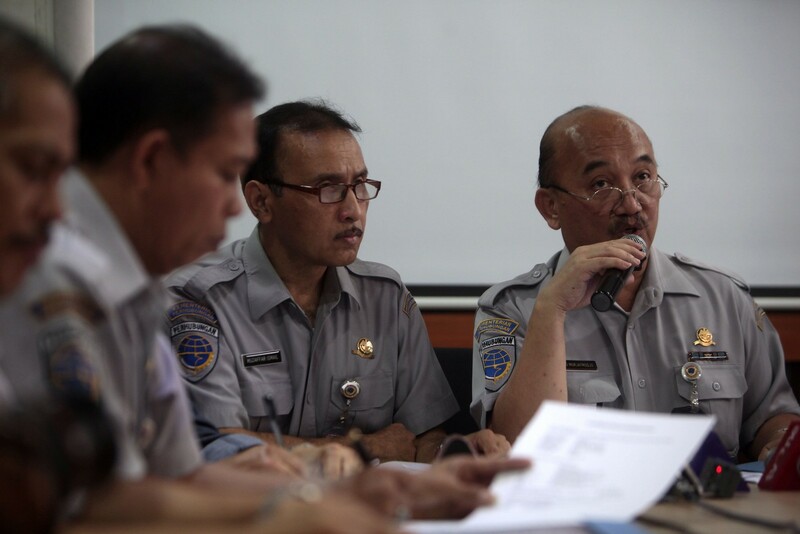 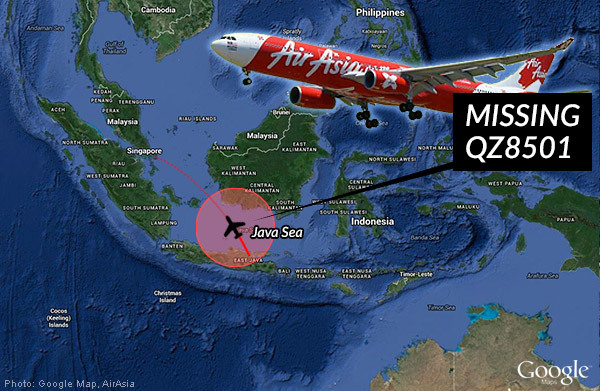 "It's so safe now that incidents tend to be more mysterious and striking because crashes only happen in extremely rare circumstances," Gerry Soejatman, a Jakarta-based aviation consultant, said in comments made prior to the AirAsia incident. 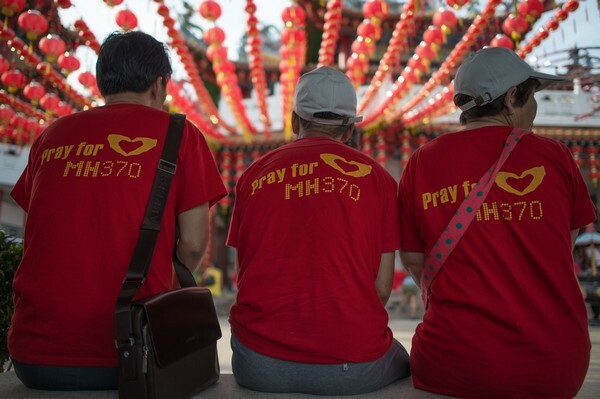 "That's why this year had such an impact. 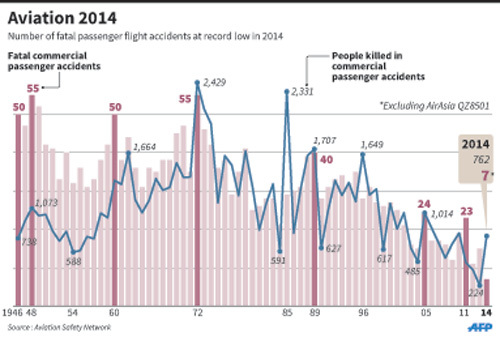 Accidents are so rare that we magnify those that occur." 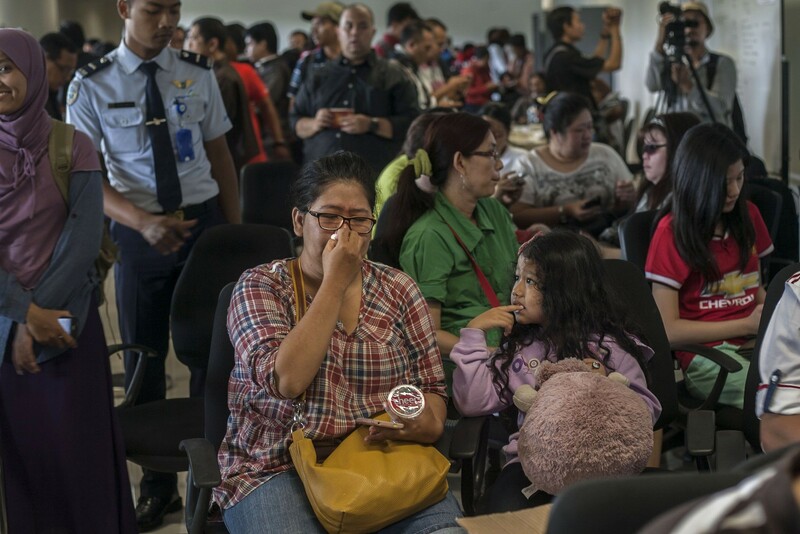 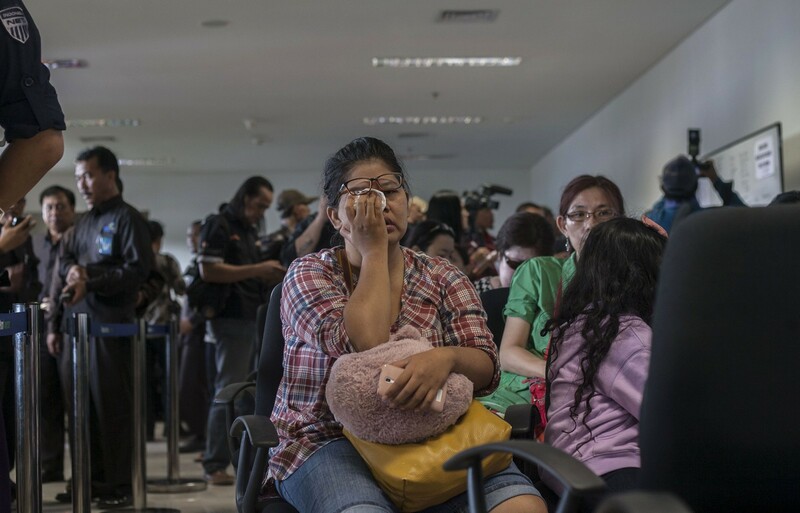 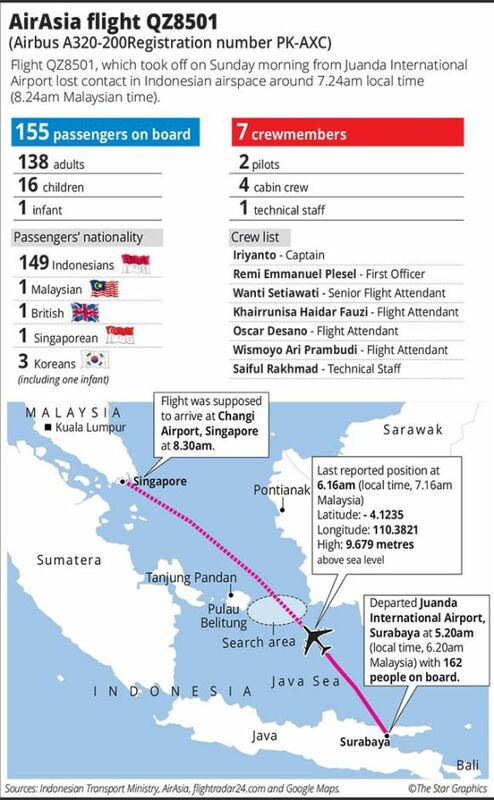 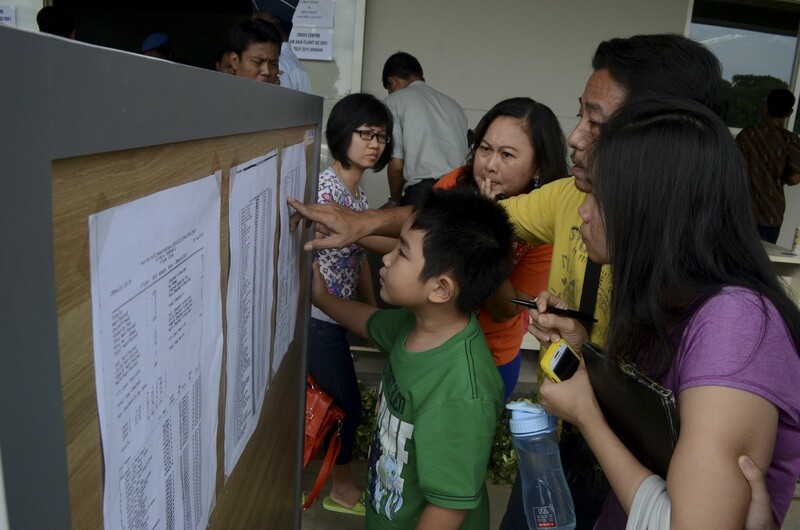 However, fatalities were up sharply to 762 - the highest in four years - and could rise to 924 if all the AirAsia passengers are declared dead. 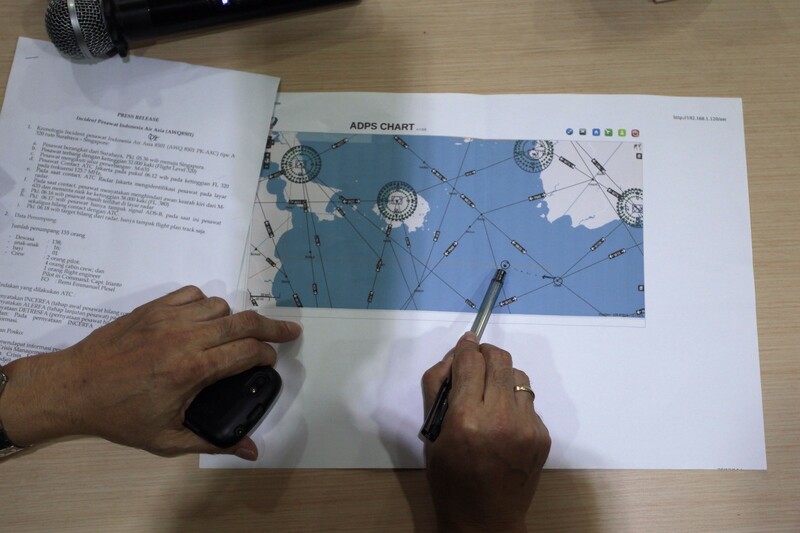 These could include reporting an aircraft's position every minute after an unexpected route change, and possibly every 15 minutes during normal flight. 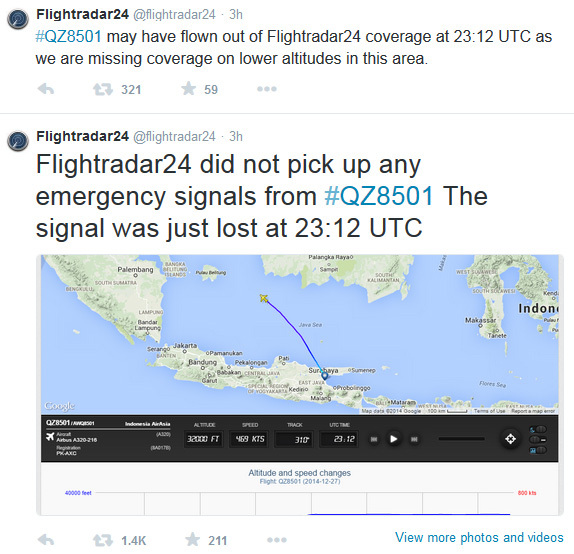 Positions are now typically reported every half-hour. 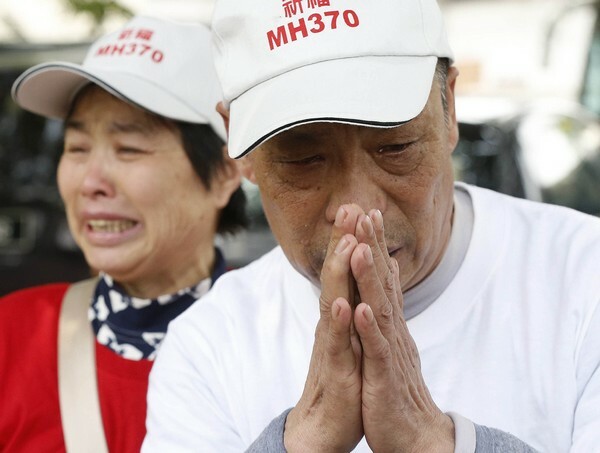 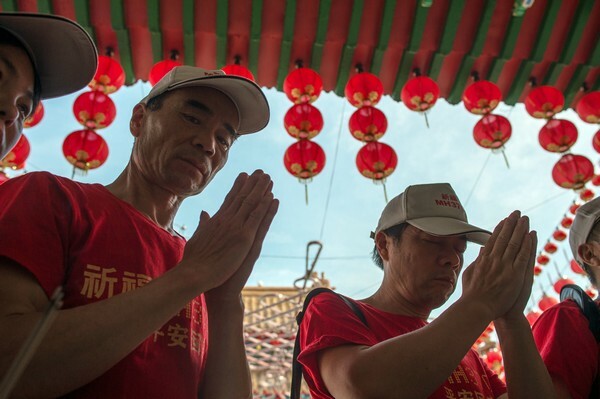 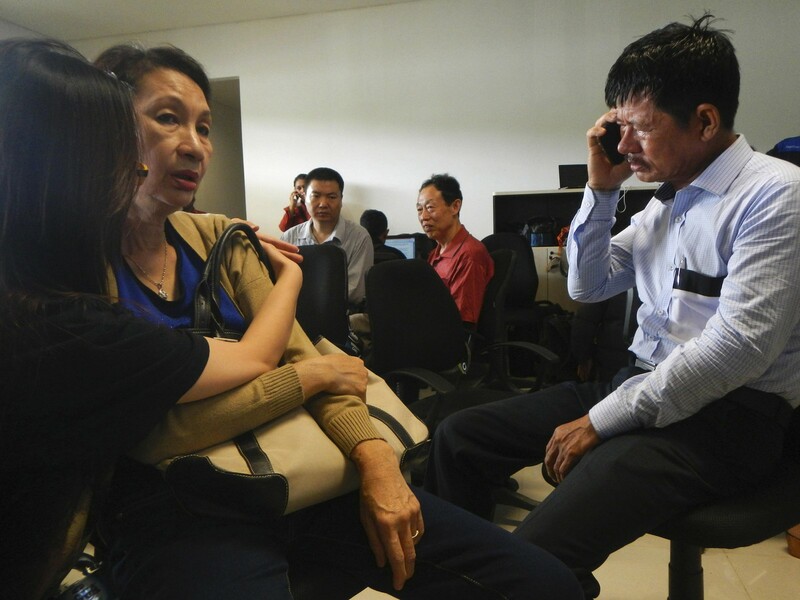 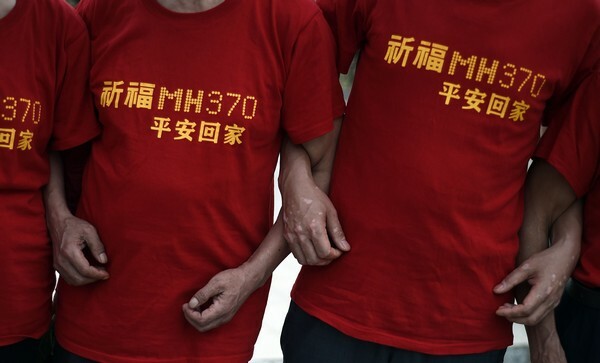 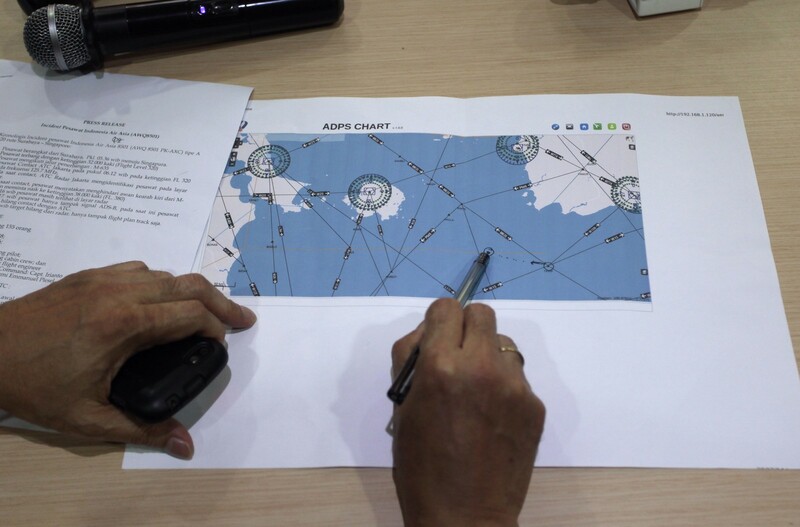 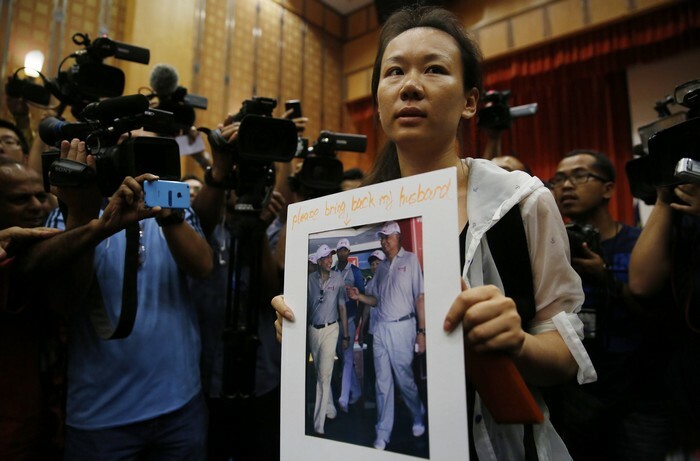 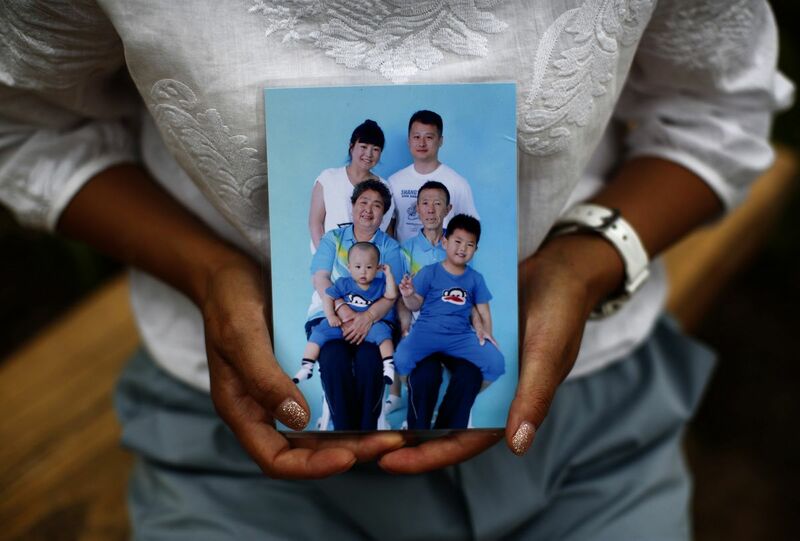 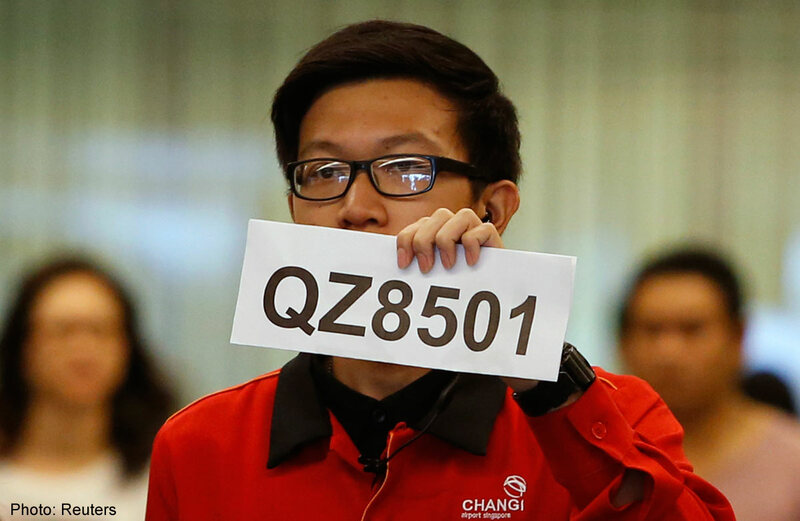 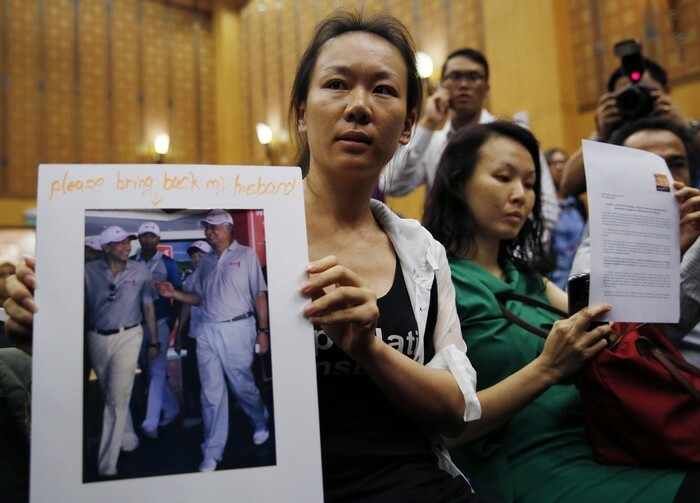 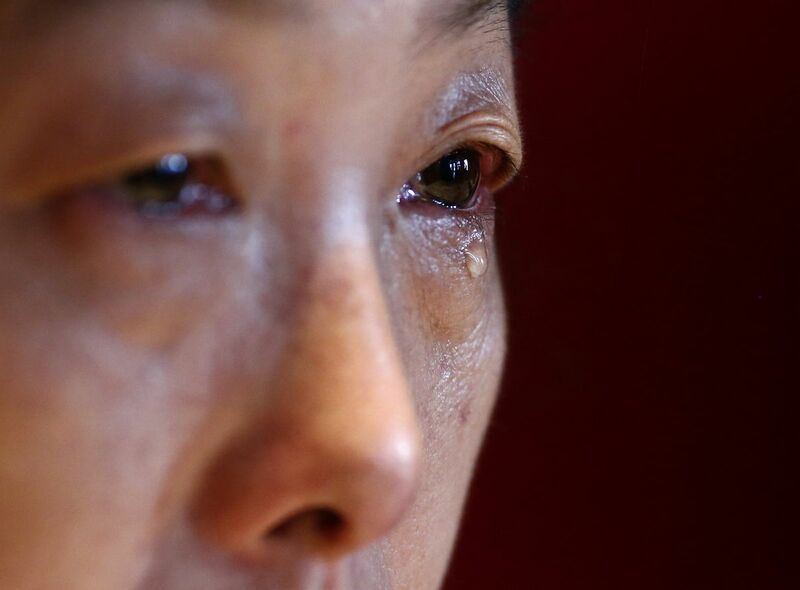 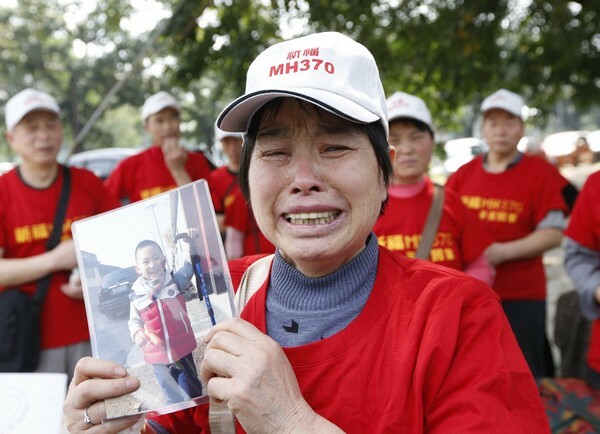 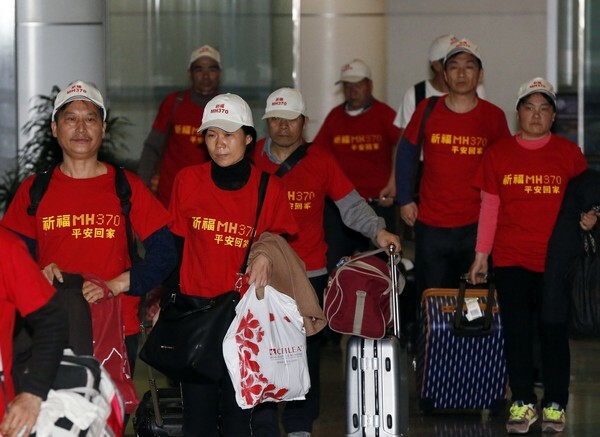 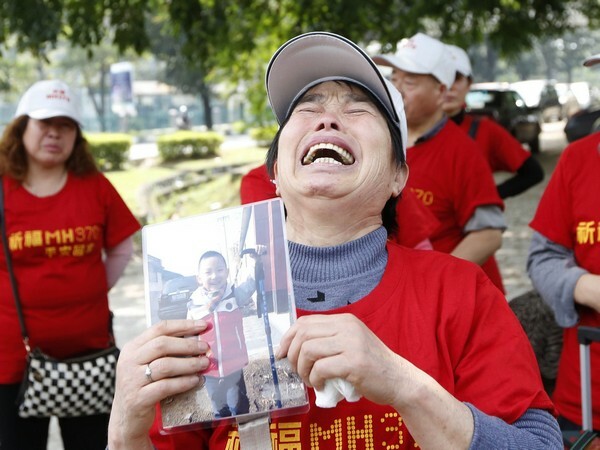 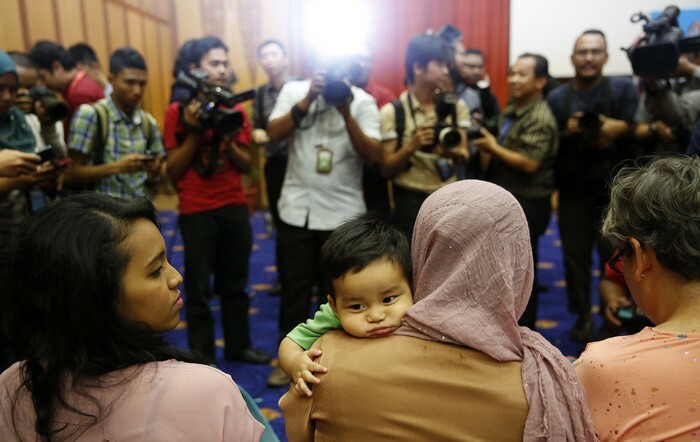 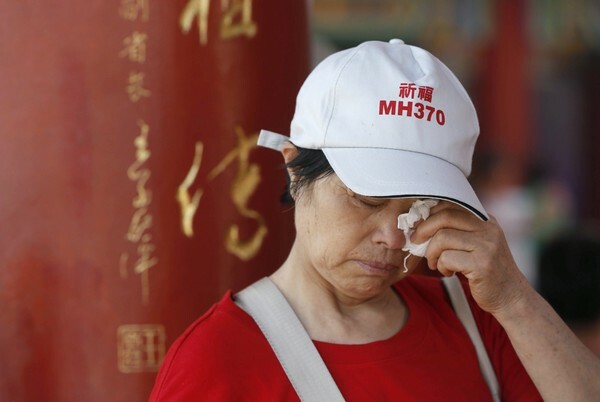 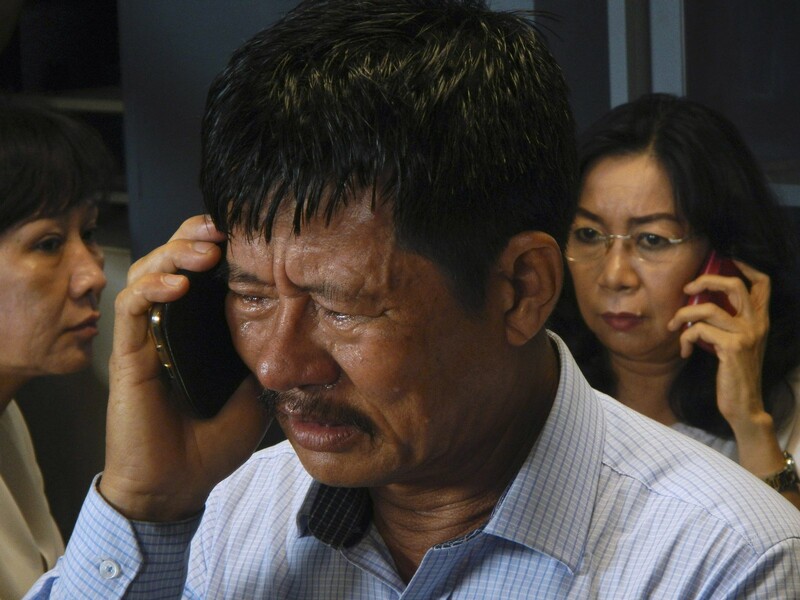 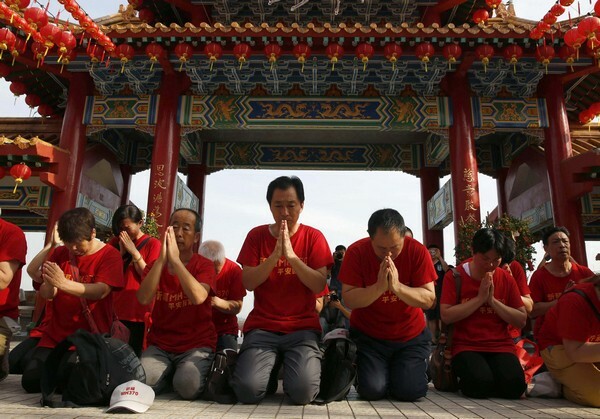 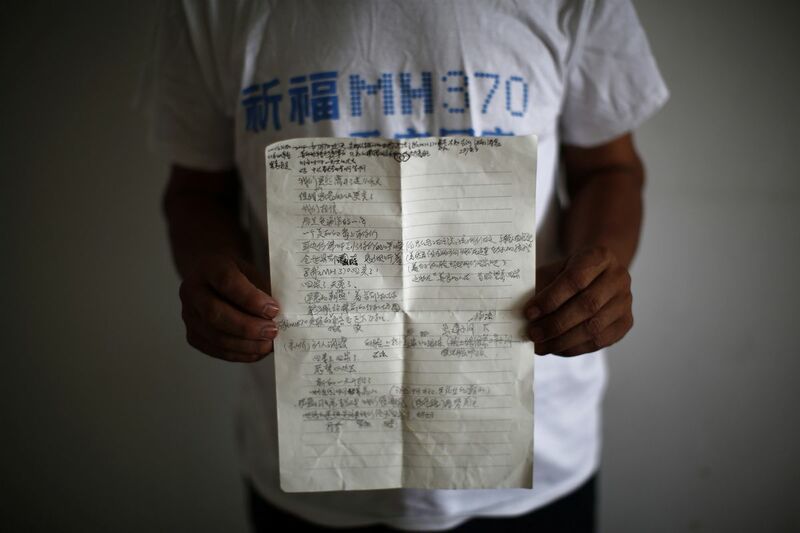 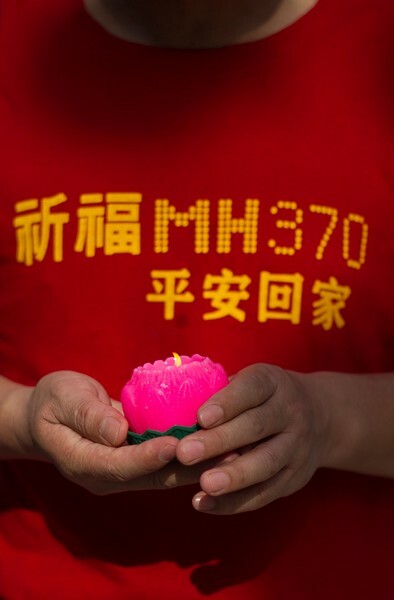 The revelation after MH370's disappearance that flights are not continuously tracked "was a surprise for many", said Raymond Benjamin, head of the International Civil Aviation Organization (ICAO). 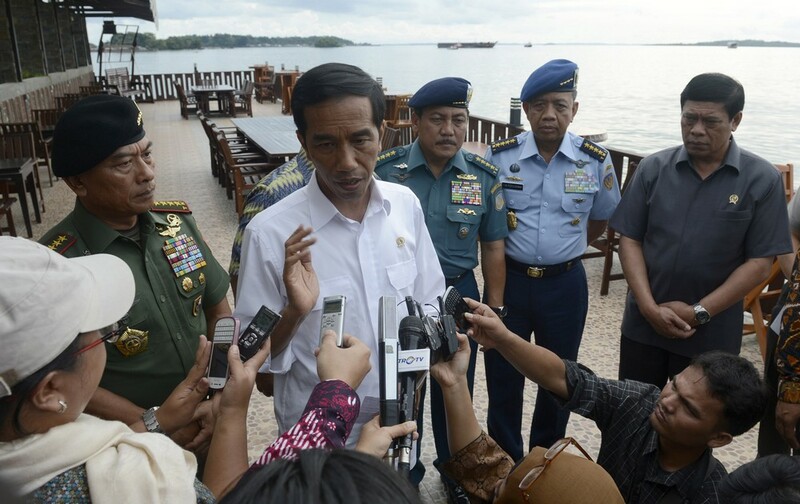 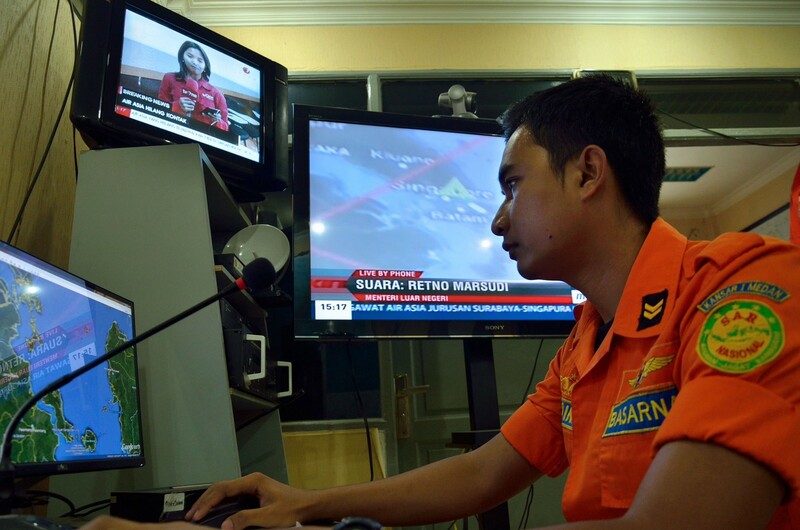 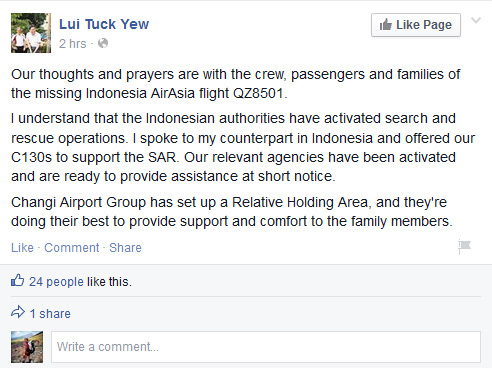 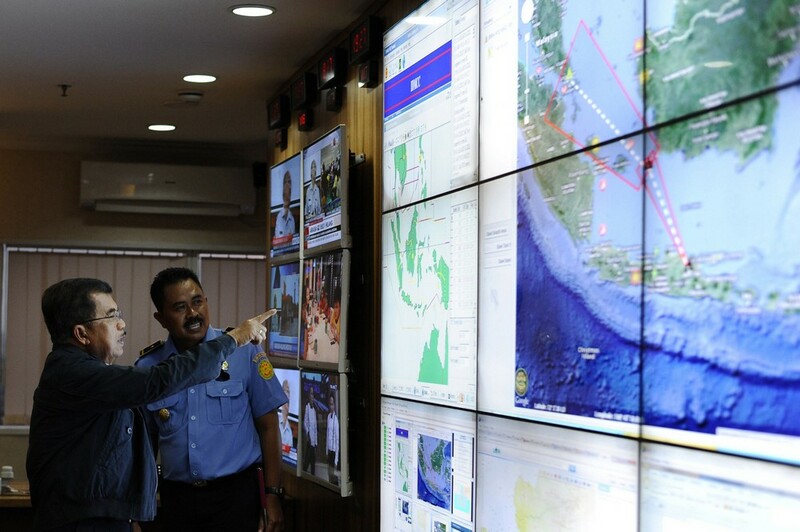 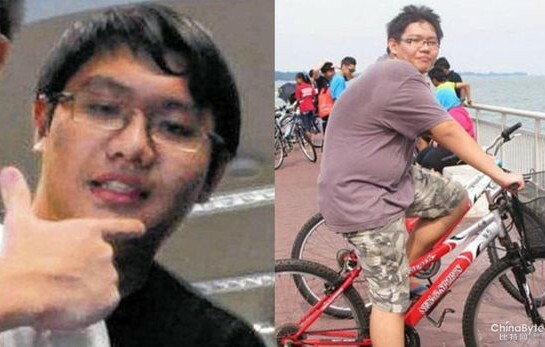 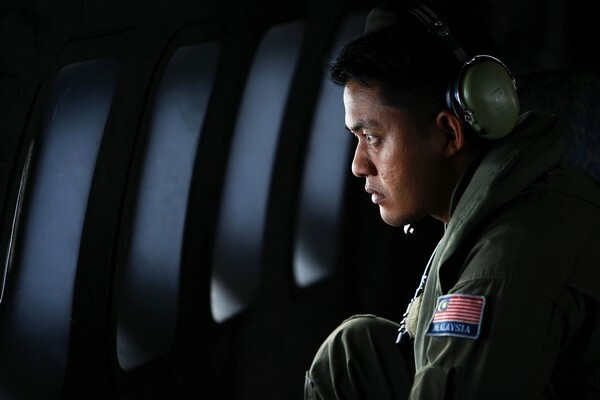 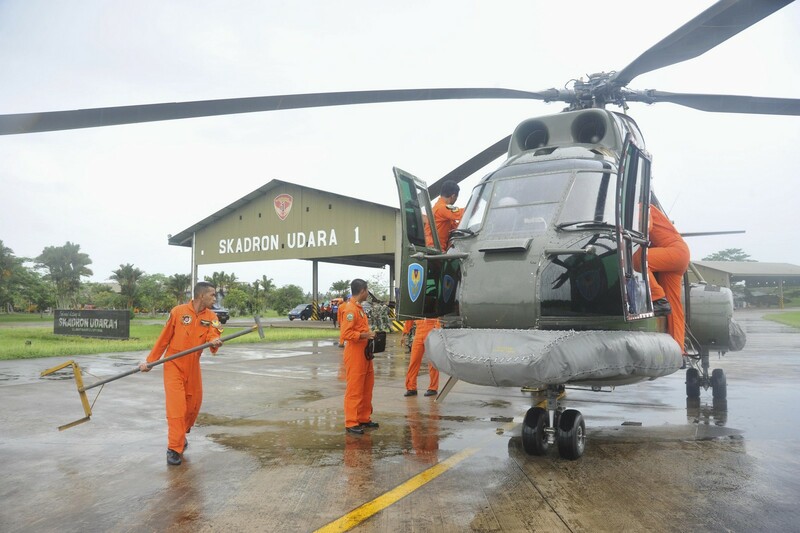 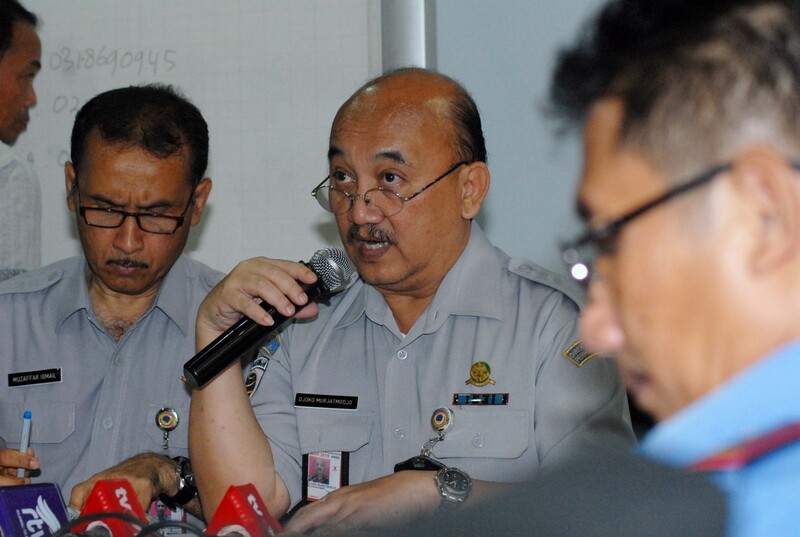 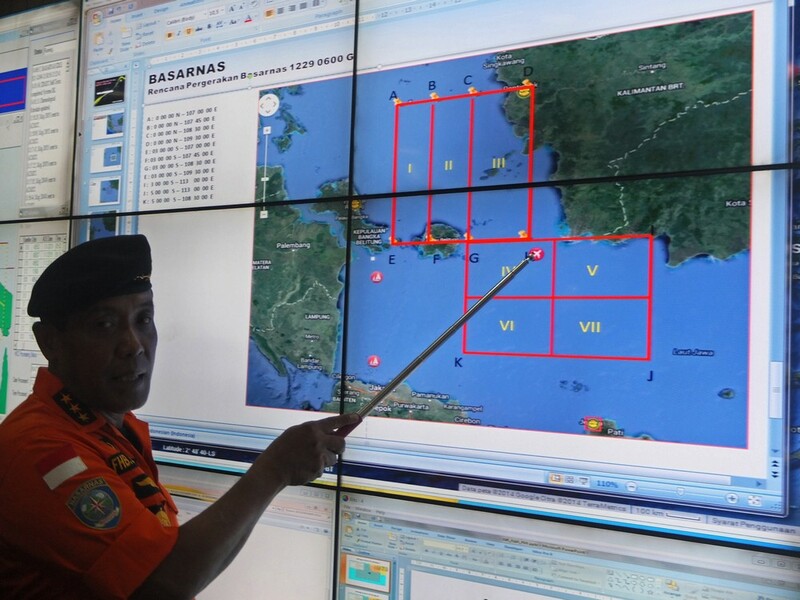 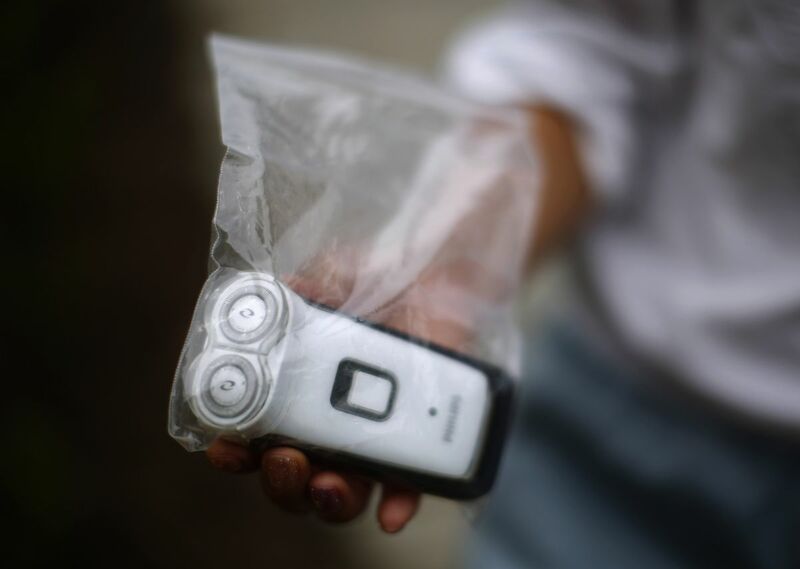 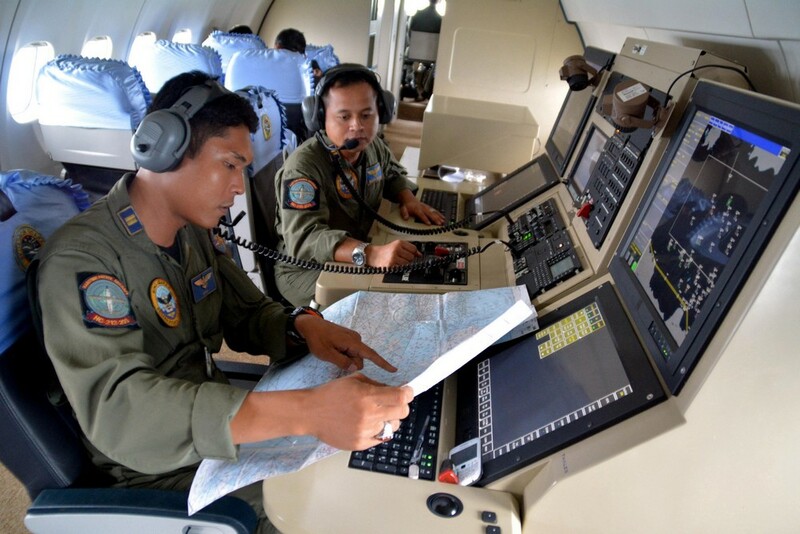 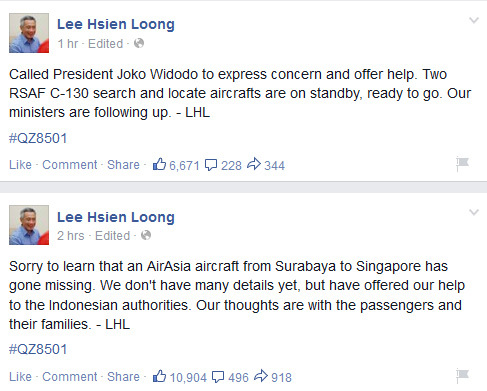 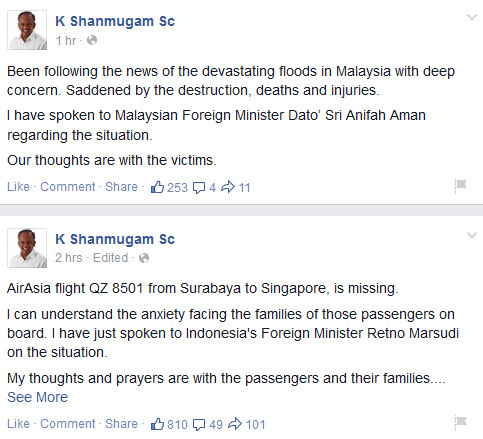 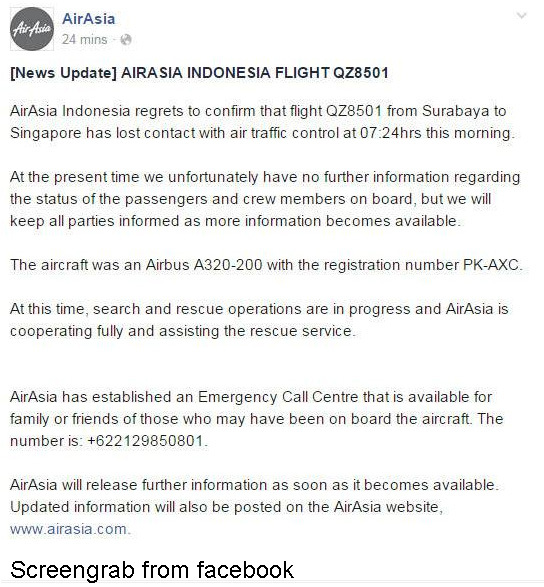 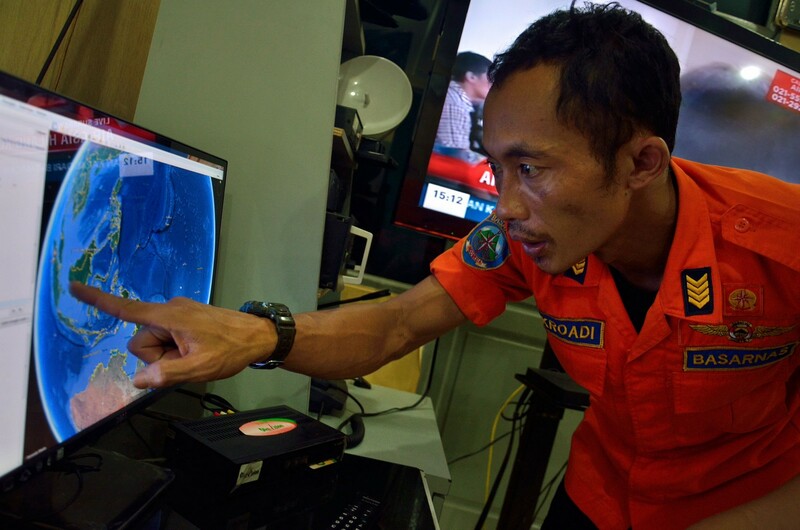 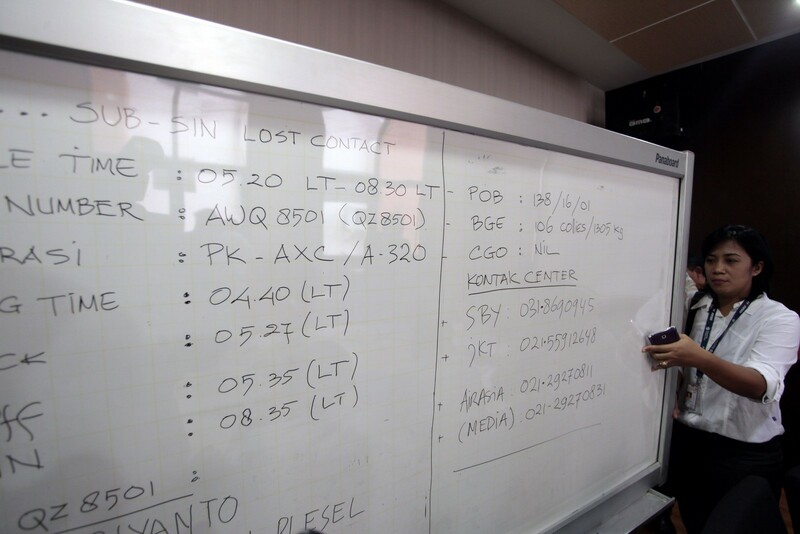 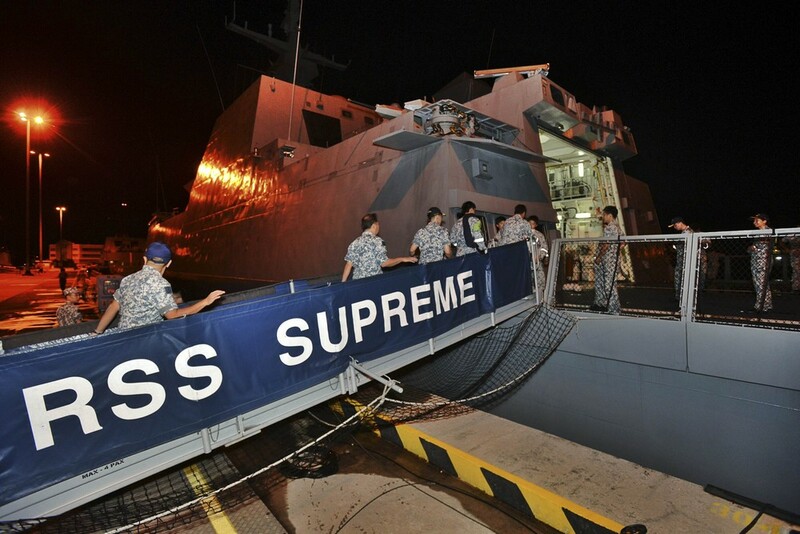 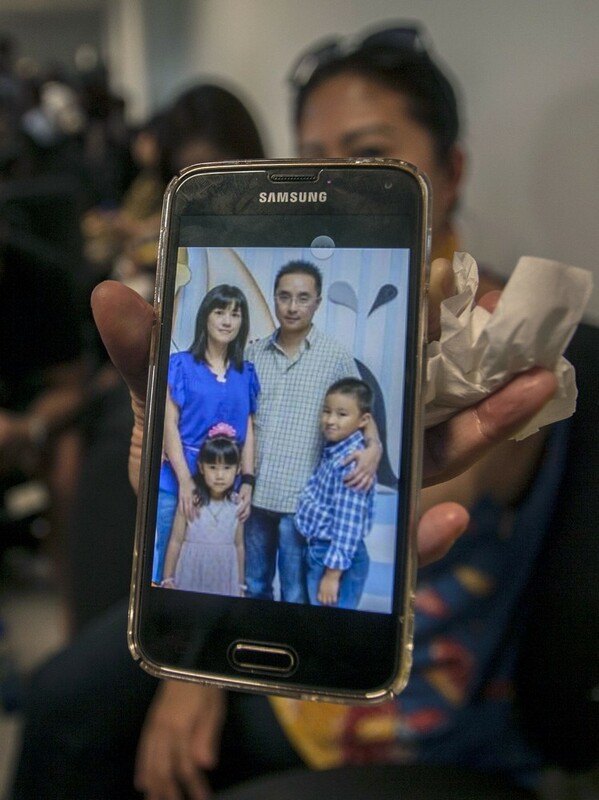 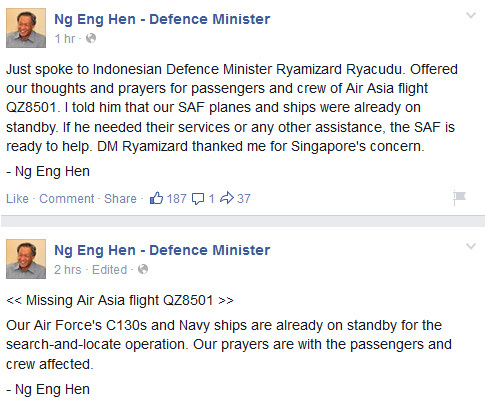 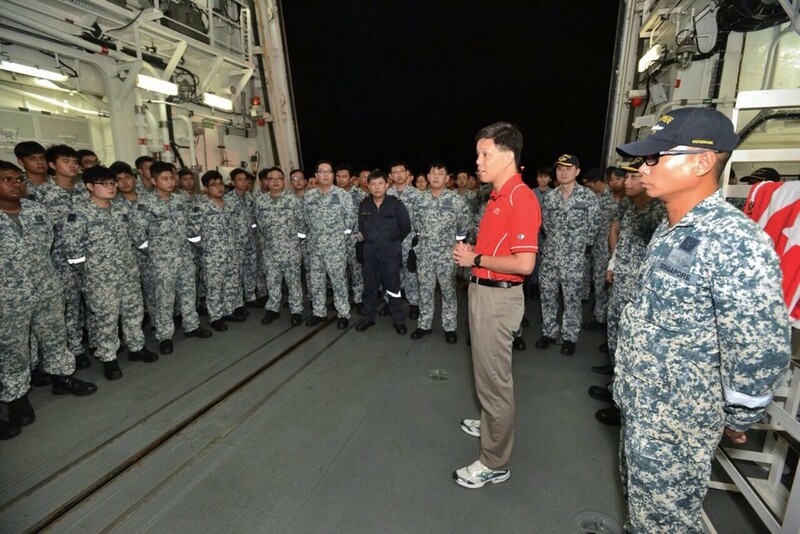 "But we now have a consensus with the industry to develop global monitoring of all traffic to improve the response in similar cases, in particular for organising search and rescue in case of an accident," he said in comments before the apparent AirAsia crash. 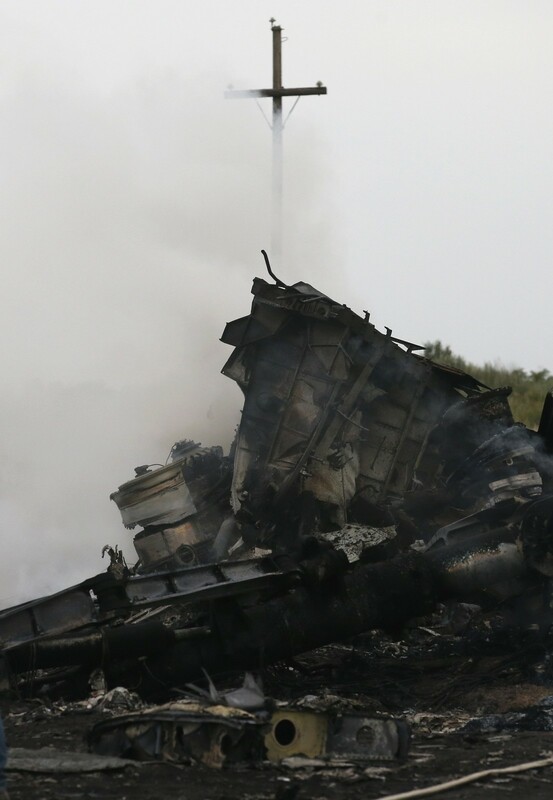 David Learmount, safety editor of Flightglobal magazine, called proposed changes "peripheral" and sees no lasting industry impact from 2014. 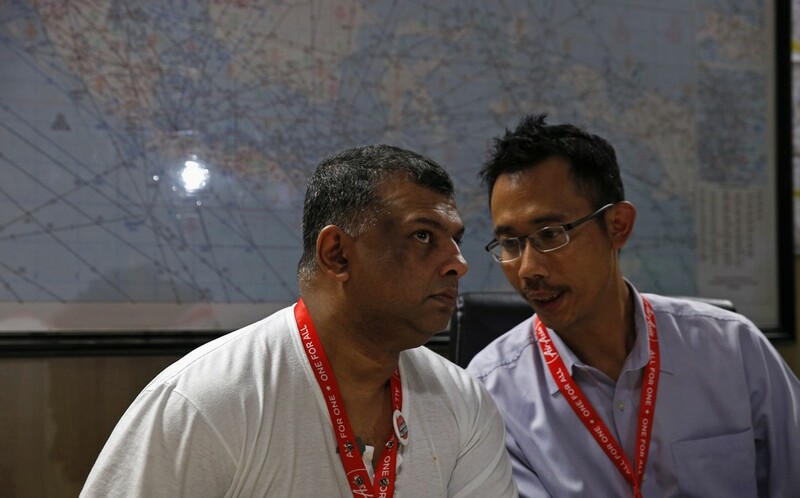 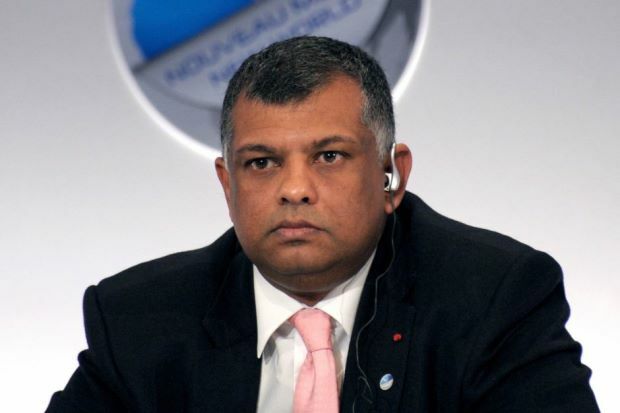 "The rest of the world has already mentally consigned (2014's) events to the dustbin of history, and attitudes toward flying for business or leisure have not changed because statistically it is still safer than it has ever been," he said, speaking before the AirAsia incident. 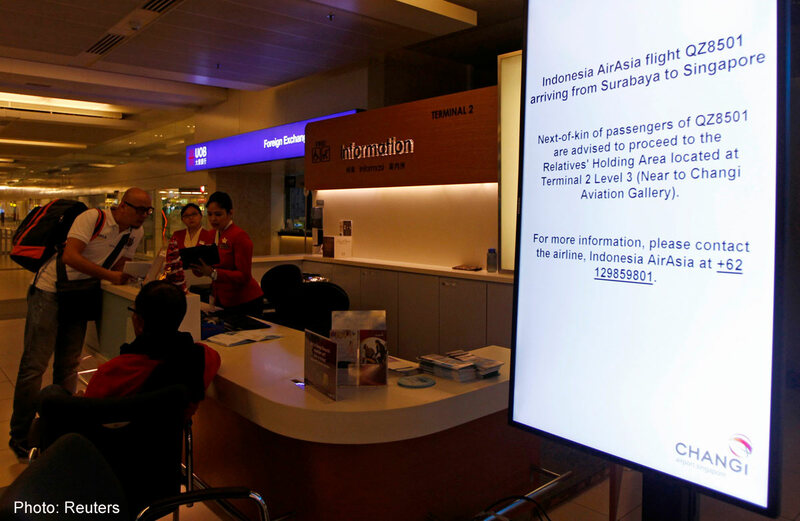 But Tom Bunn, who runs SOAR - a US-based firm that offers fear-of-flying counselling - disagrees, saying dark thoughts will lurk in travellers' minds. 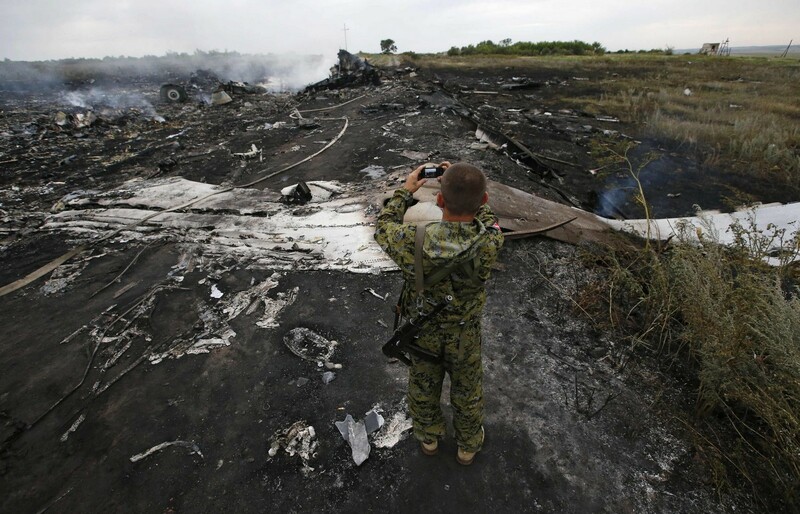 "The distrust (of aviation) is so profound that I think it will have some lasting impact. 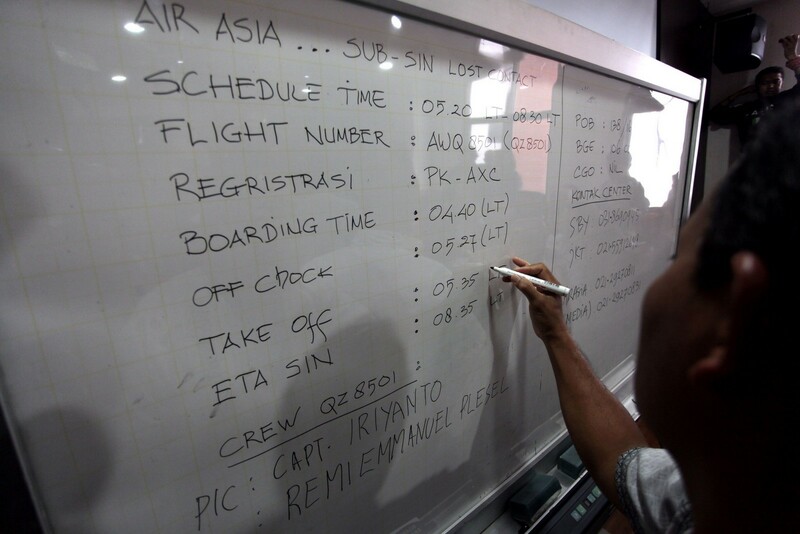 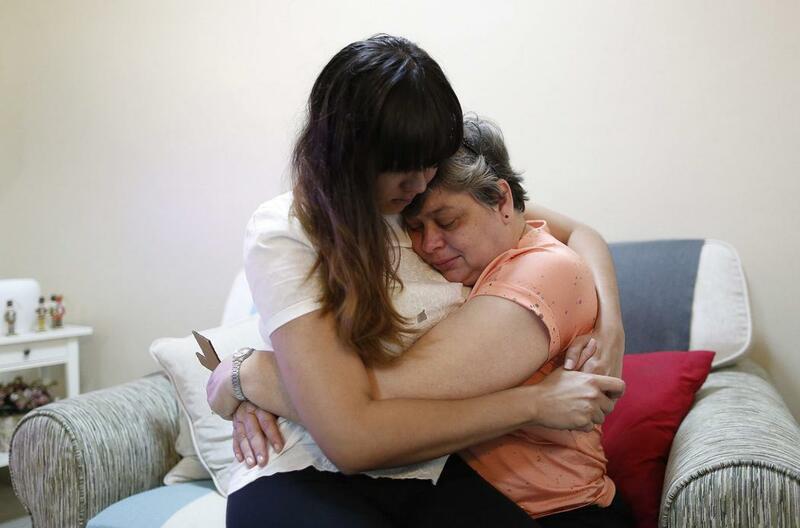 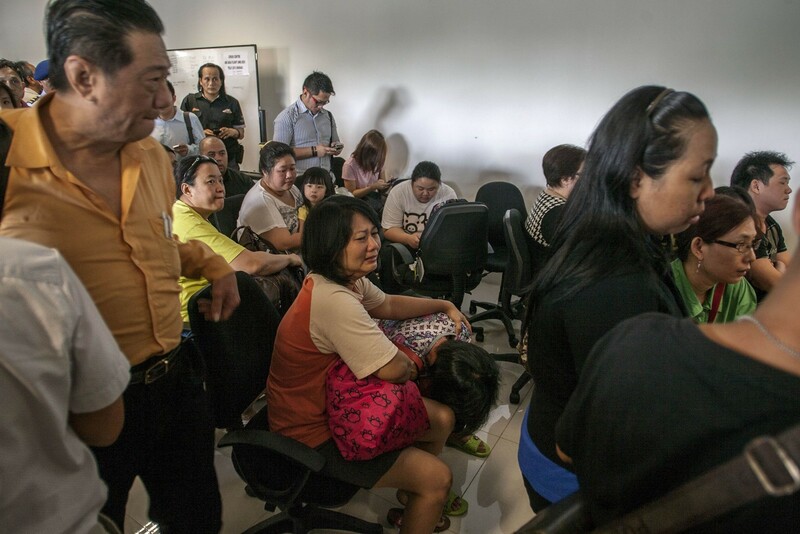 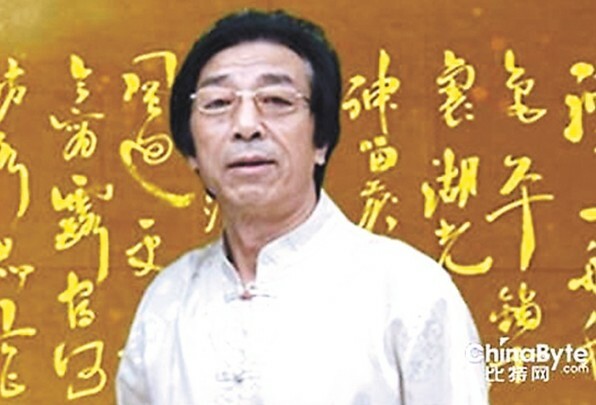 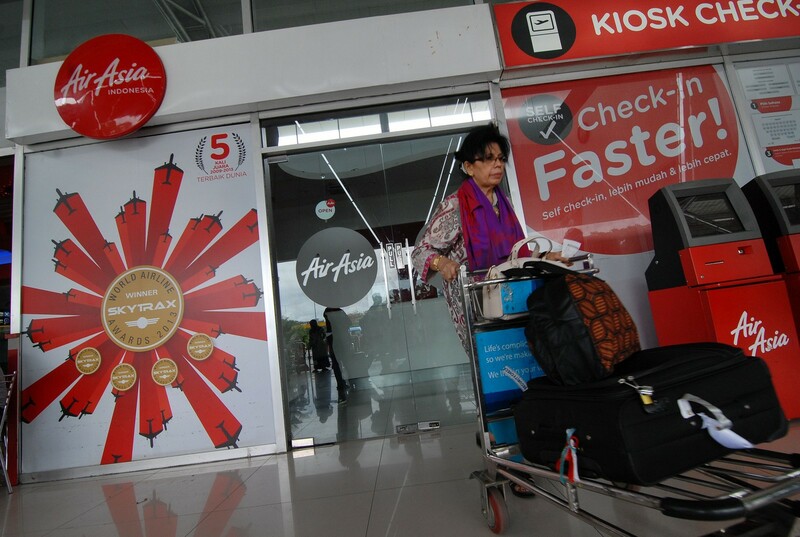 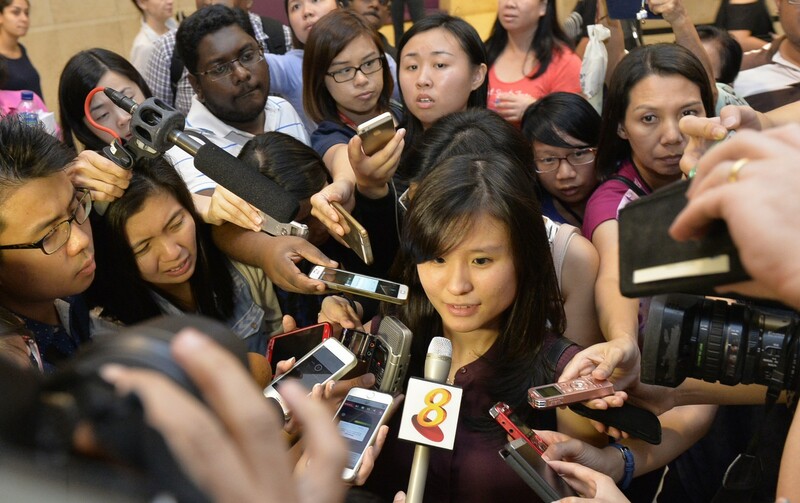 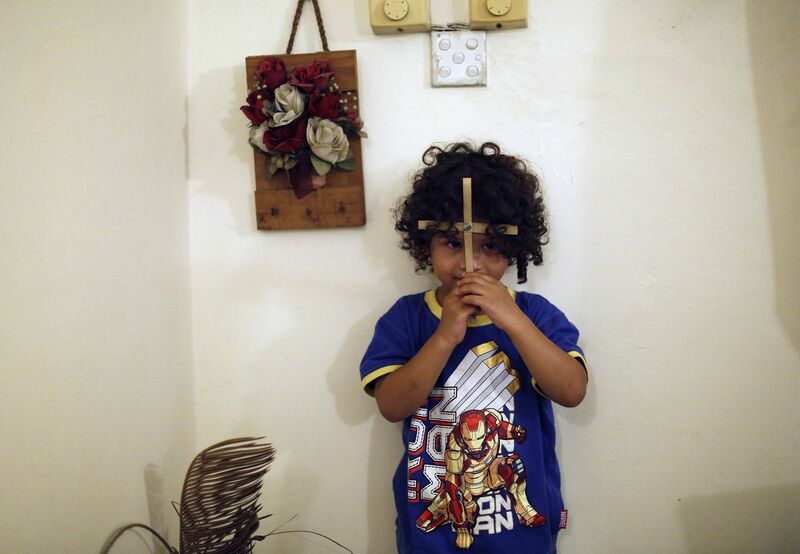 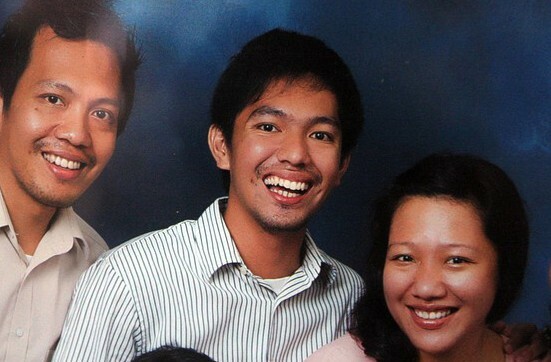 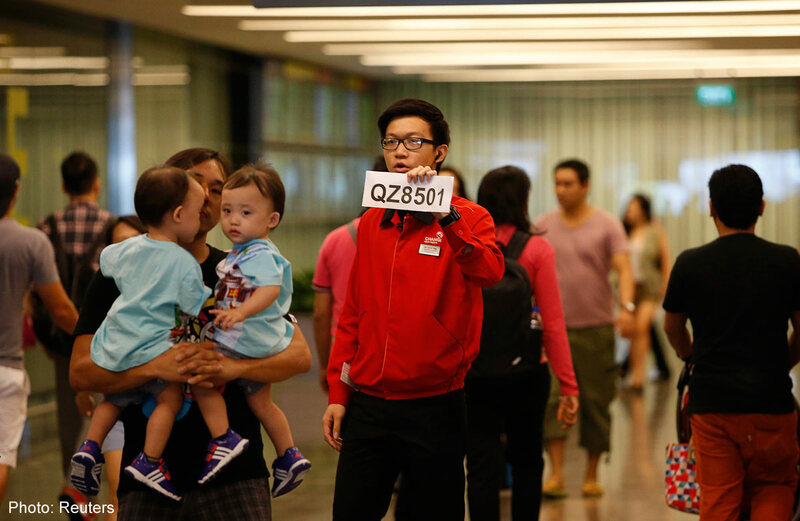 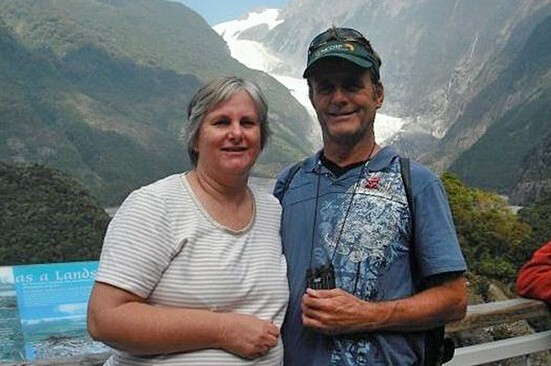 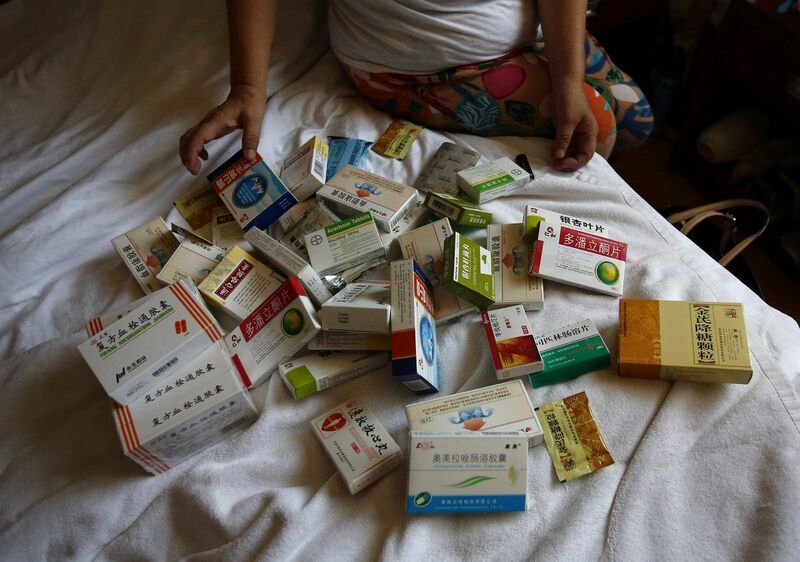 Anxious fliers describe (MH-style disasters) as their worst nightmare," he said.